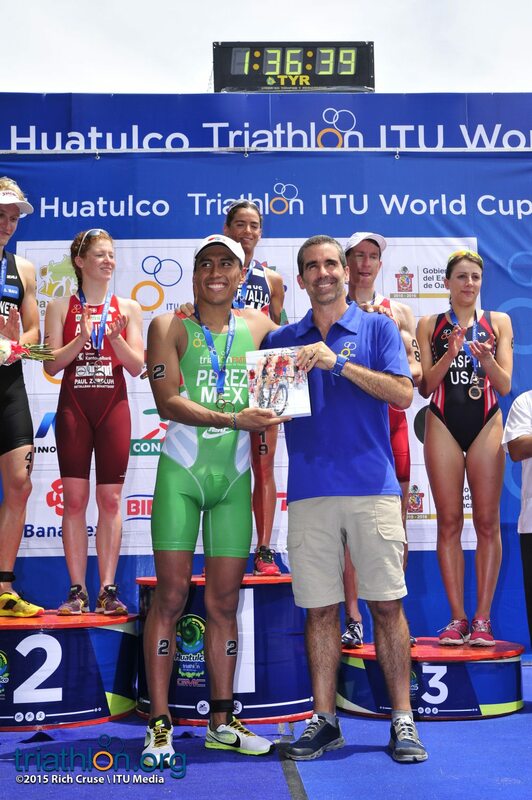 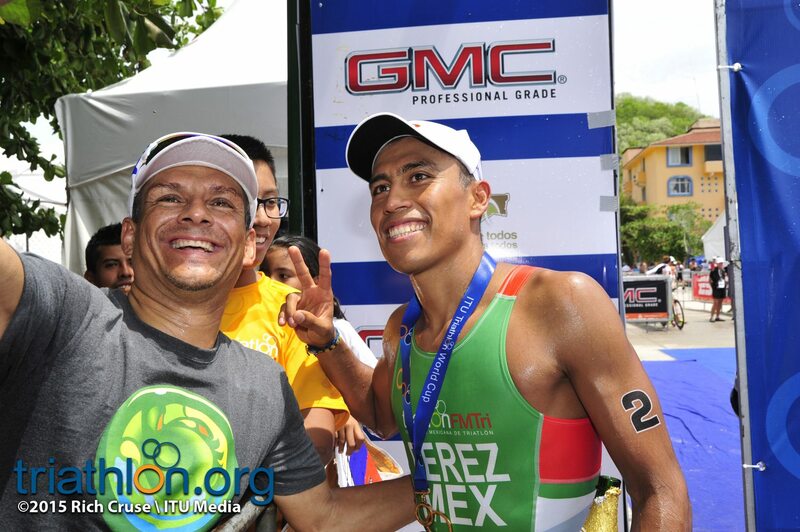 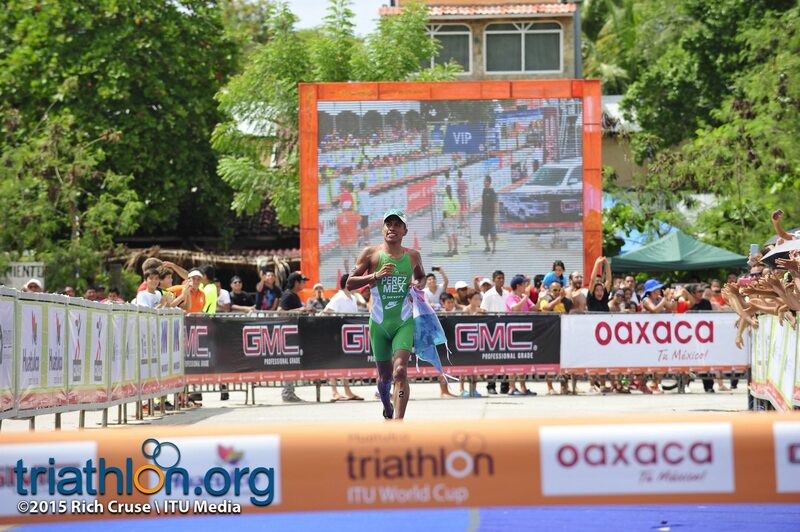 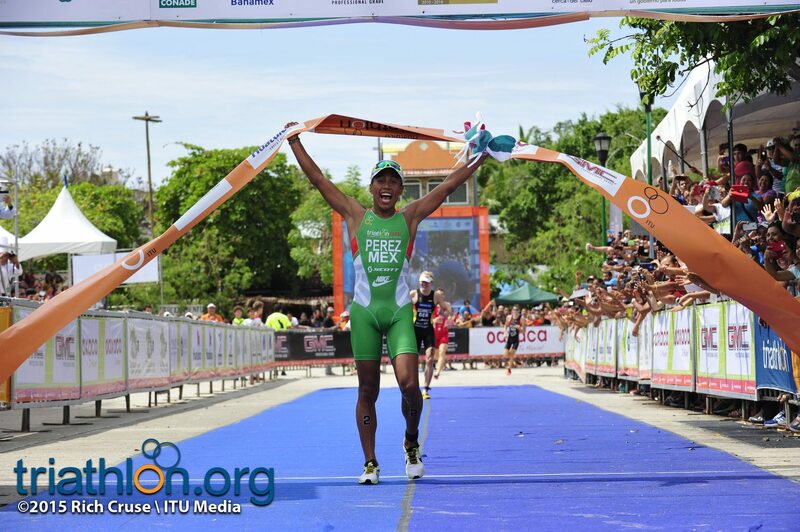 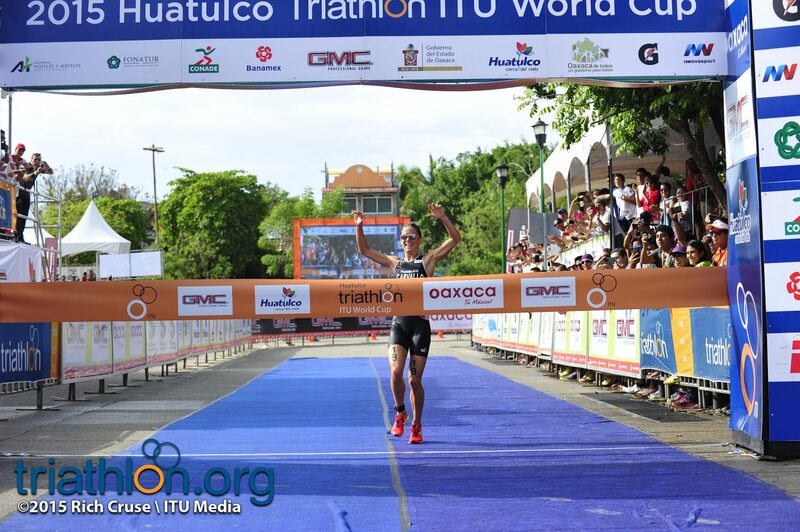 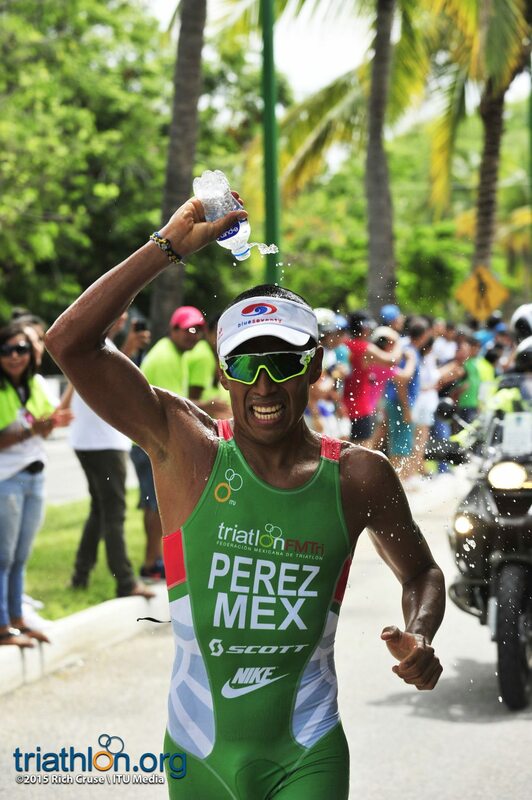 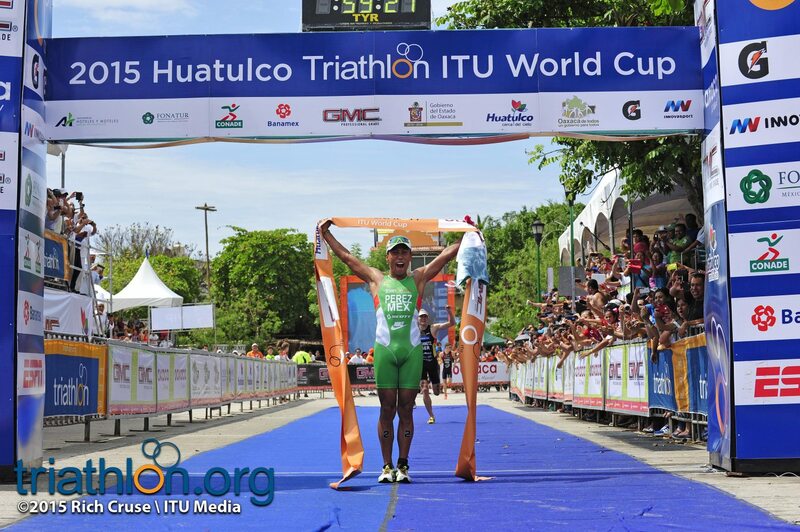 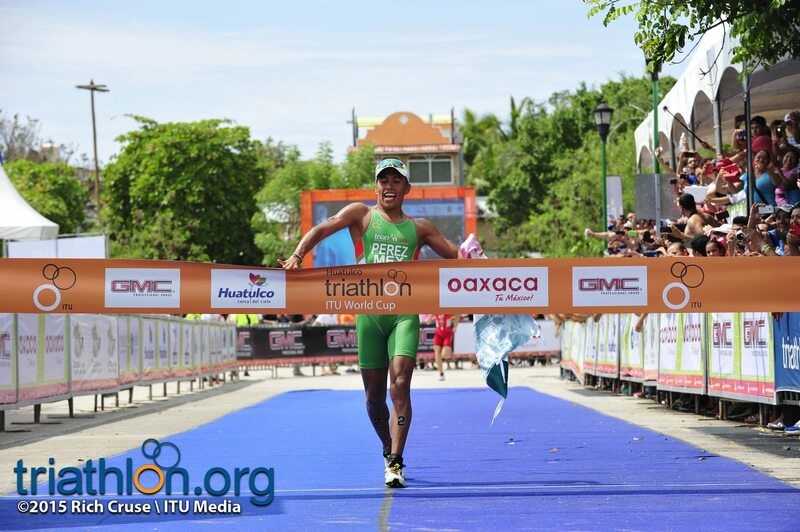 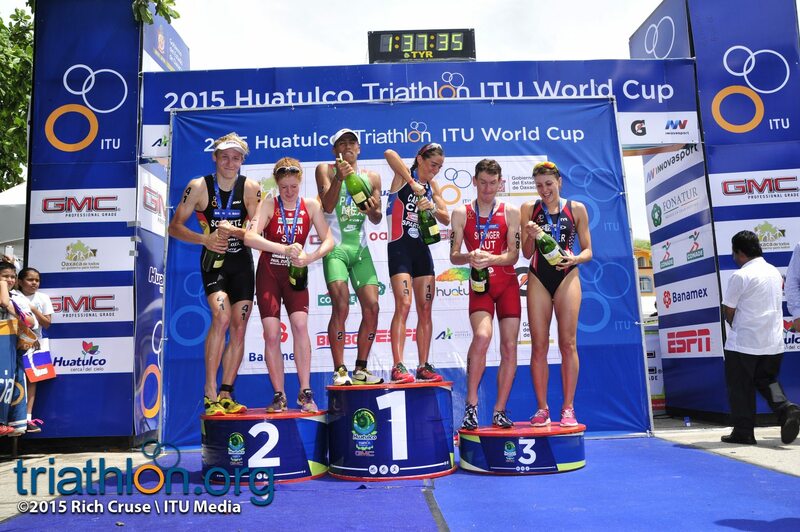 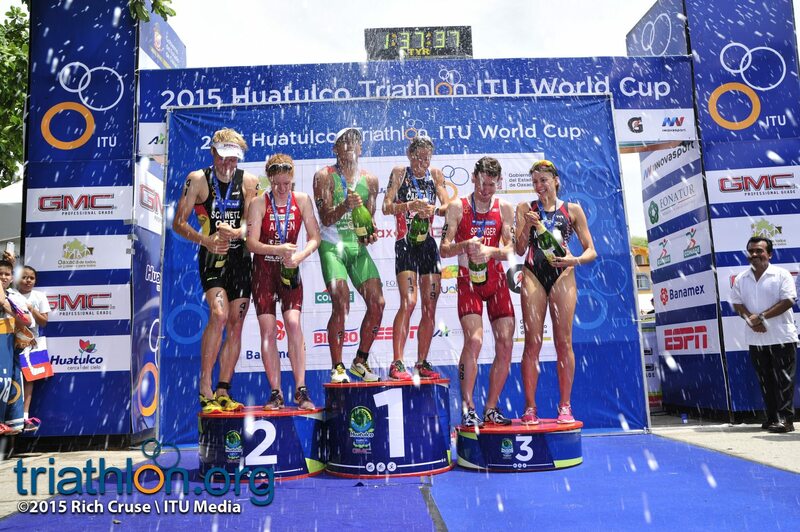 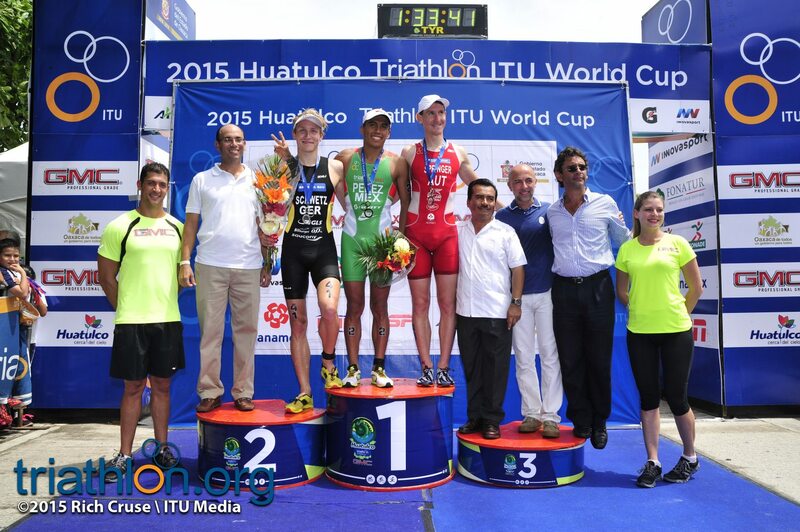 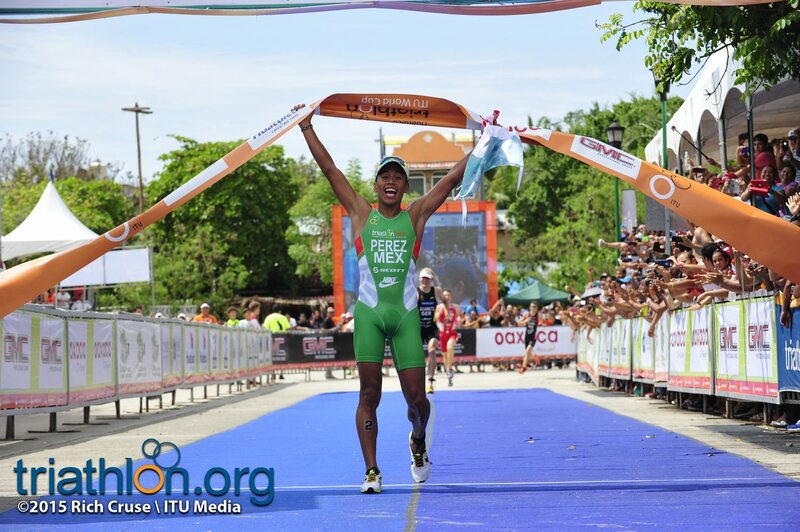 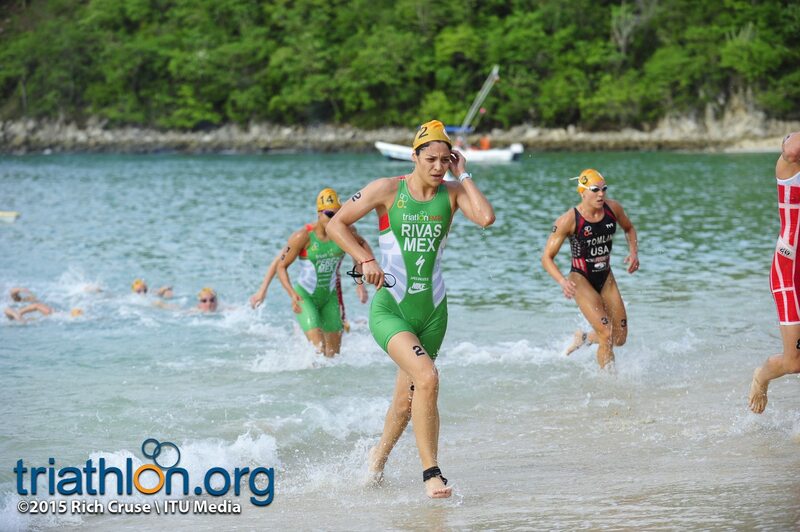 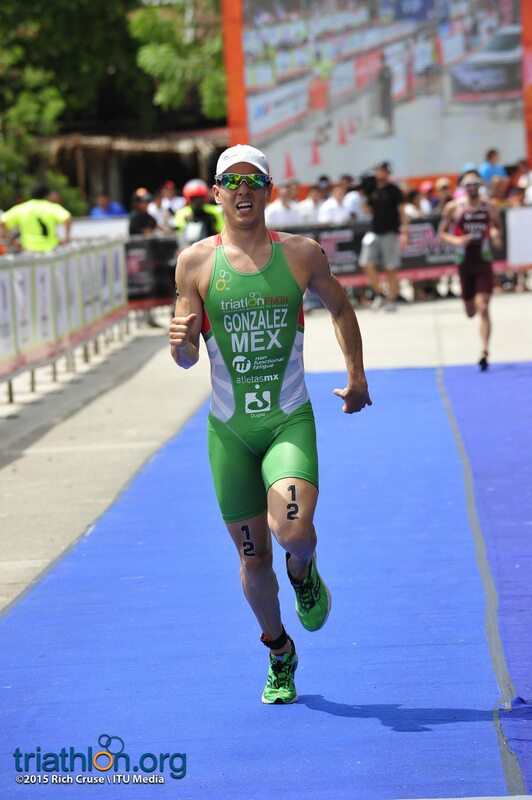 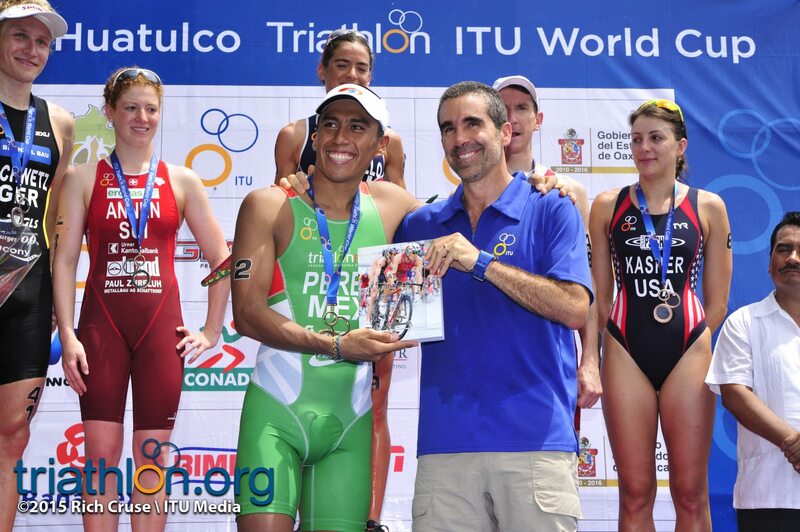 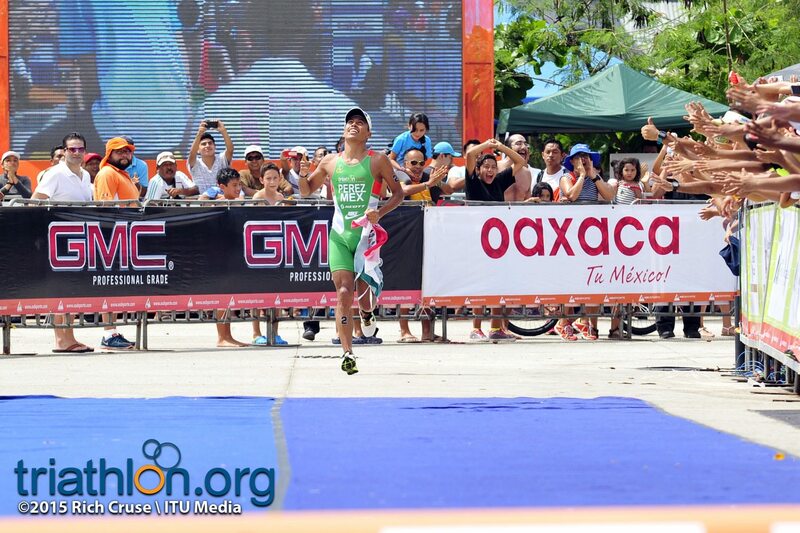 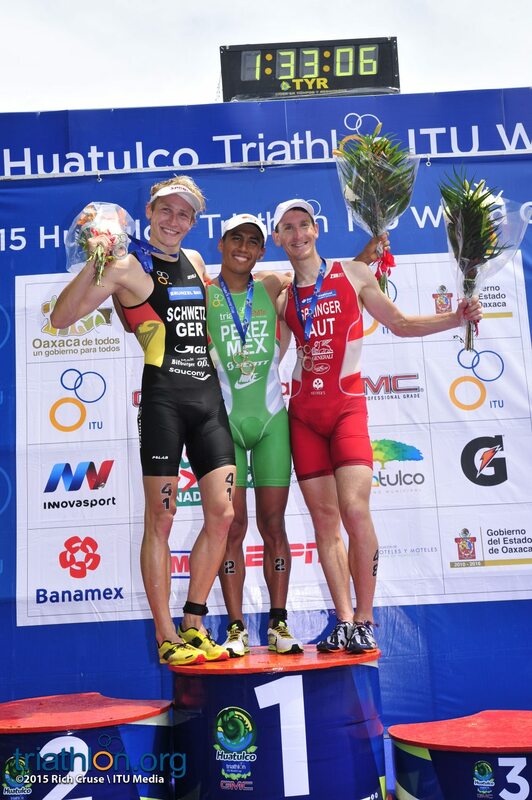 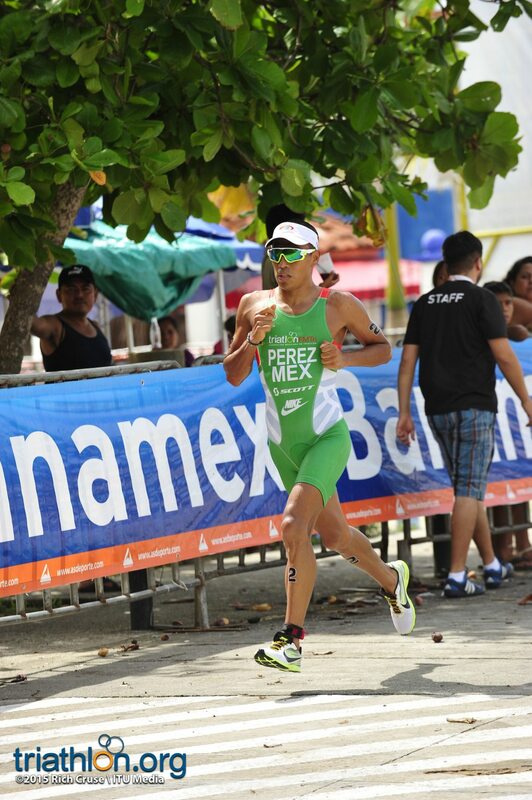 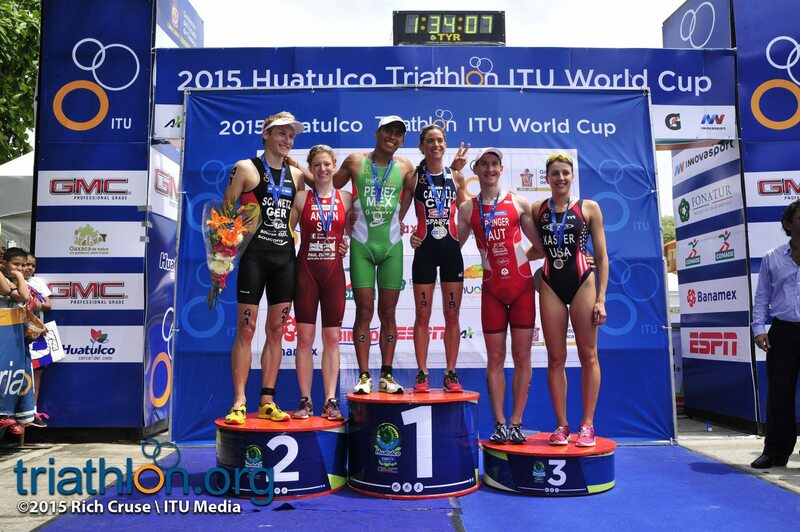 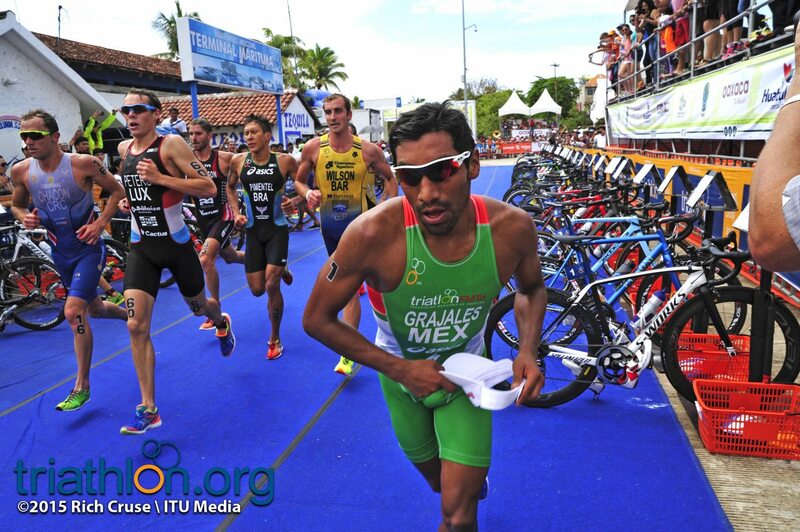 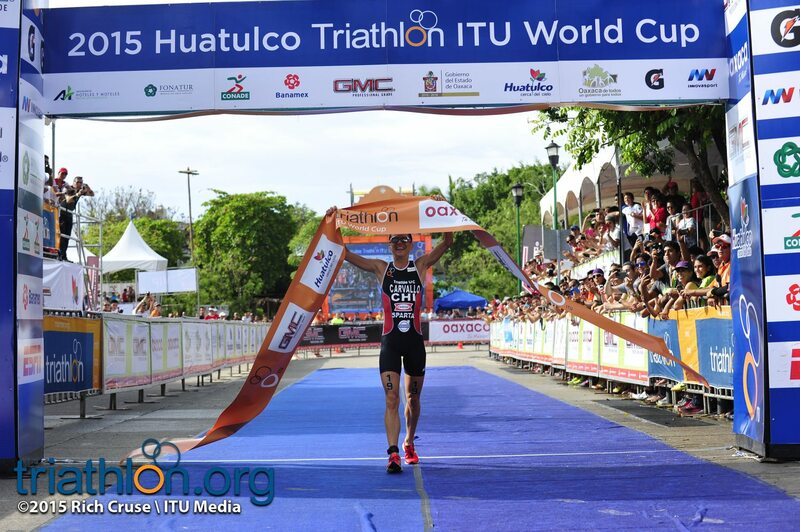 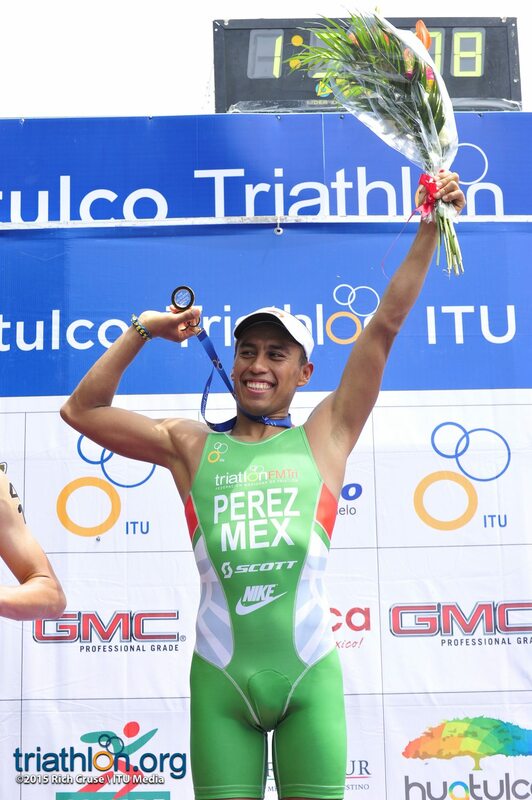 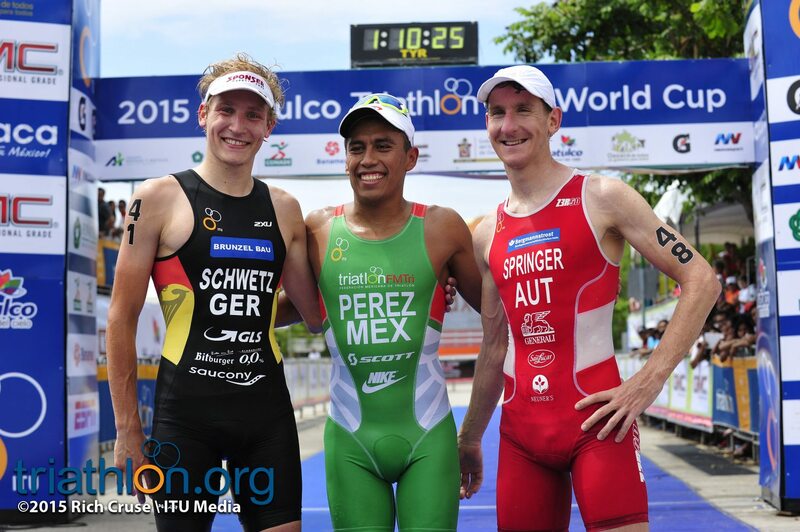 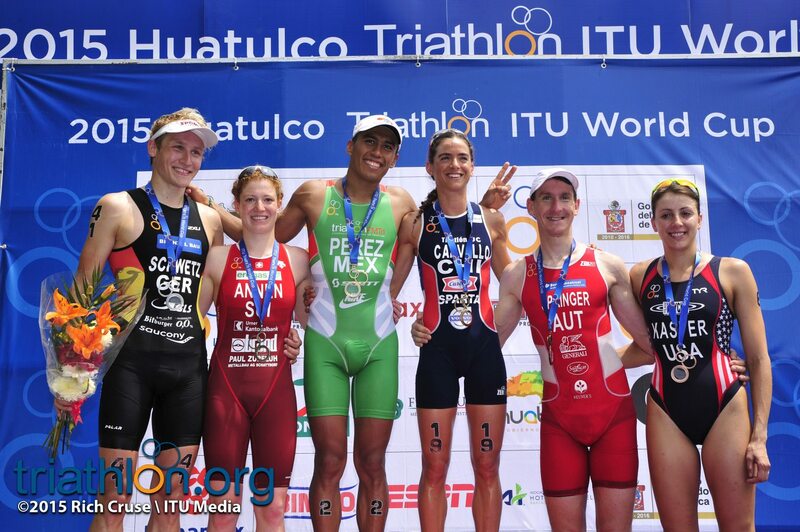 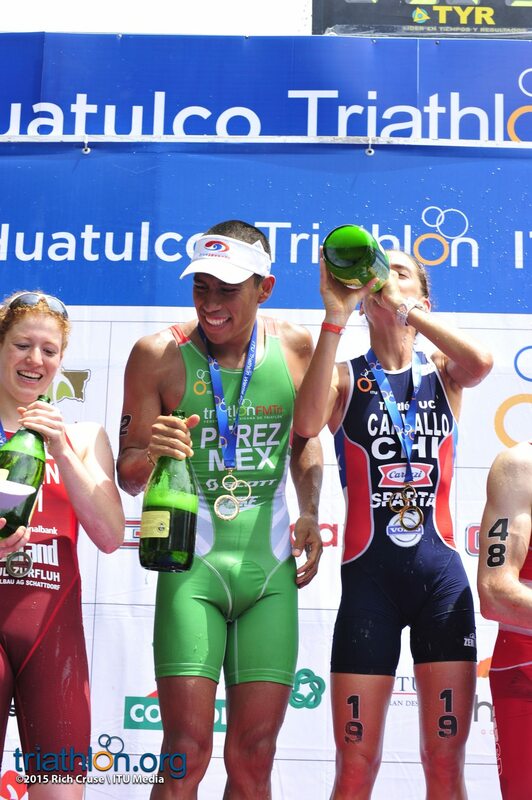 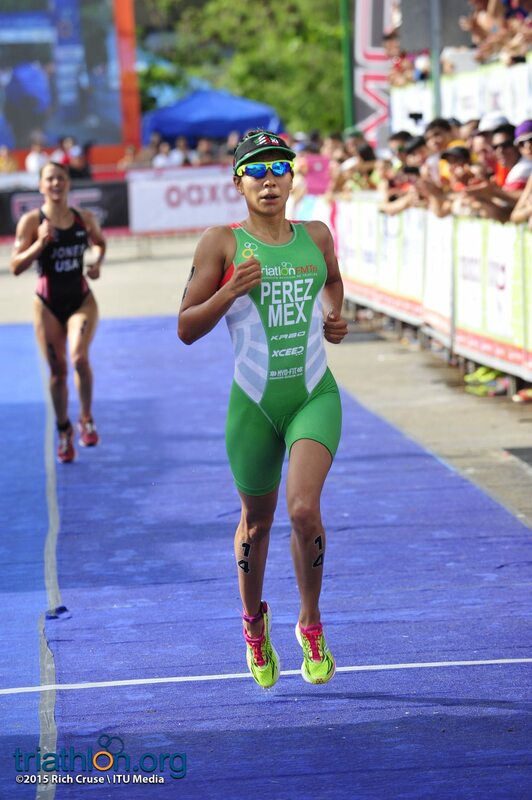 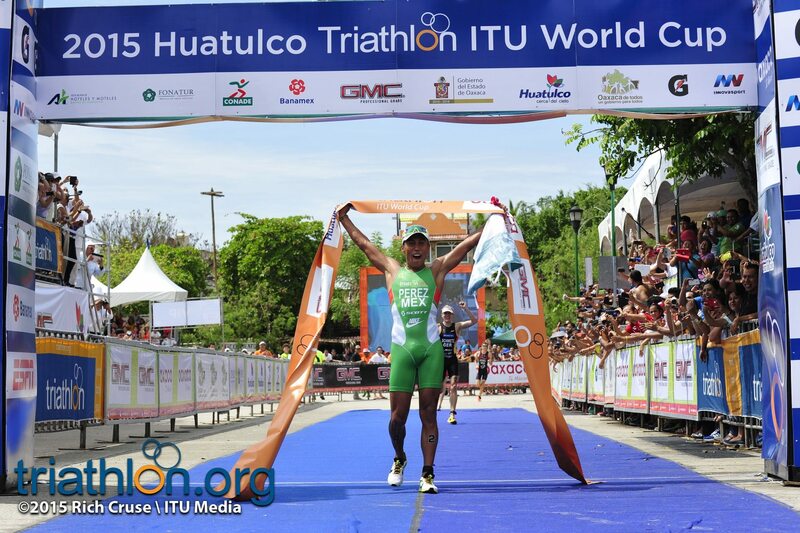 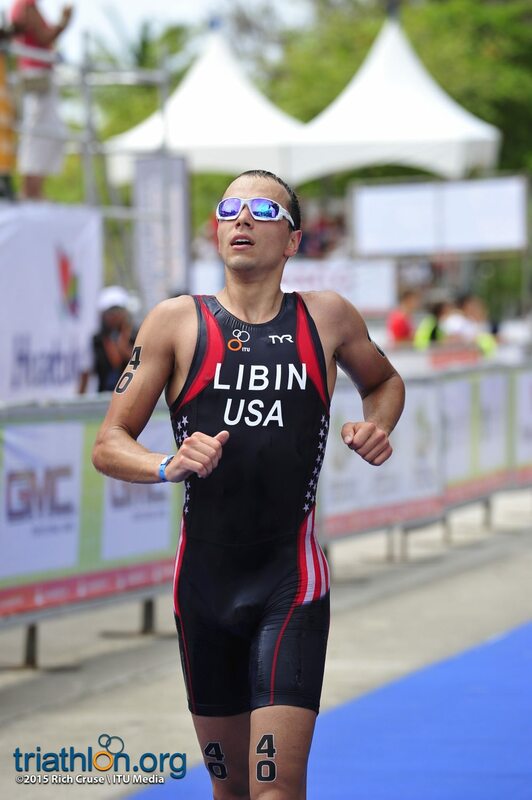 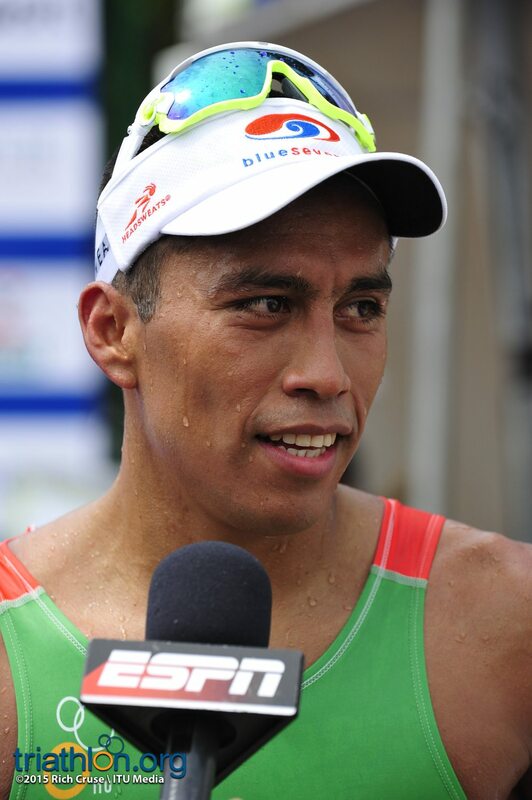 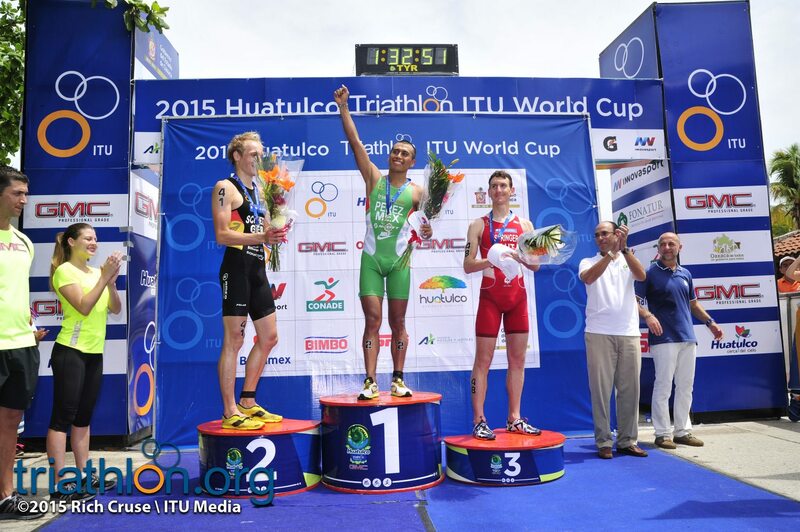 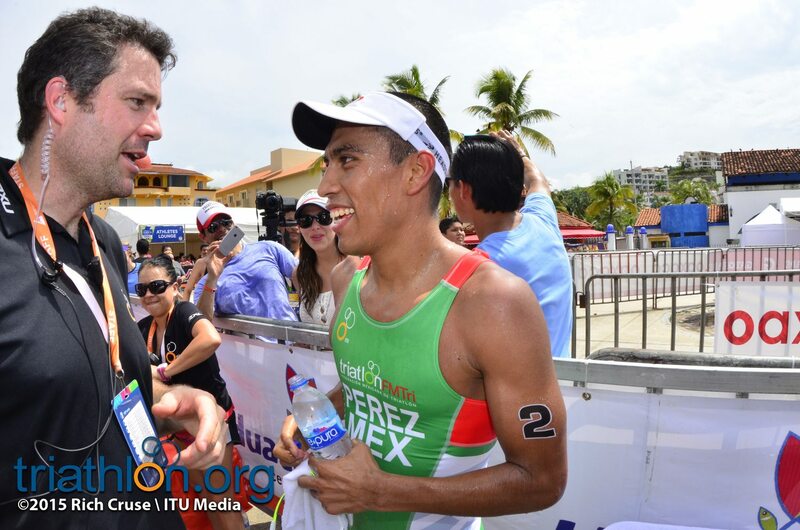 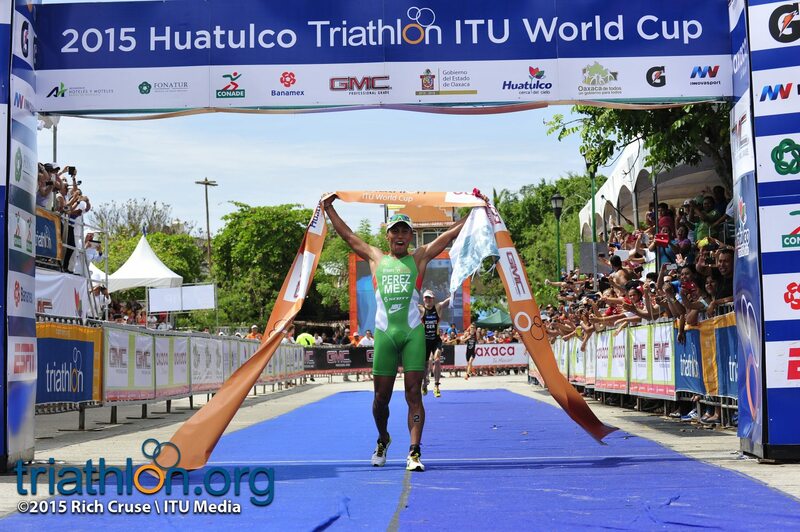 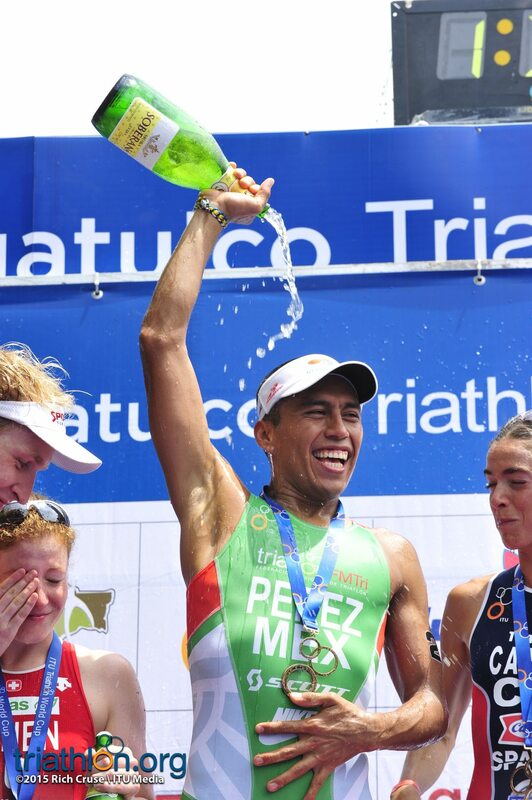 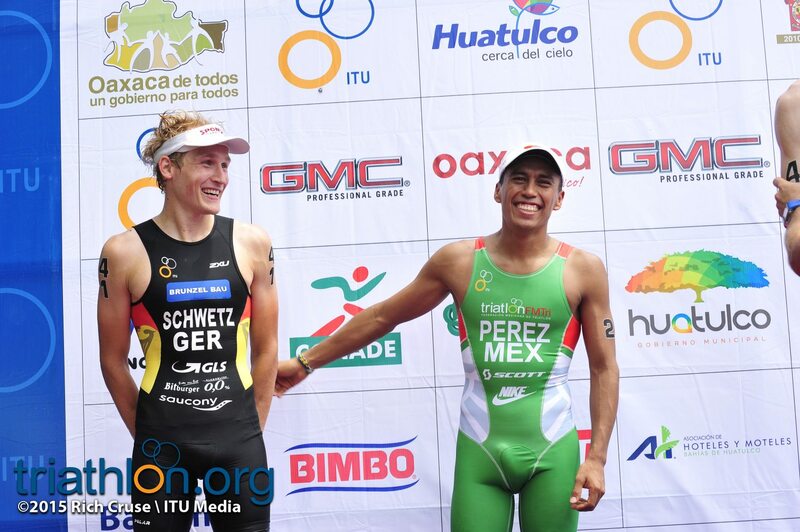 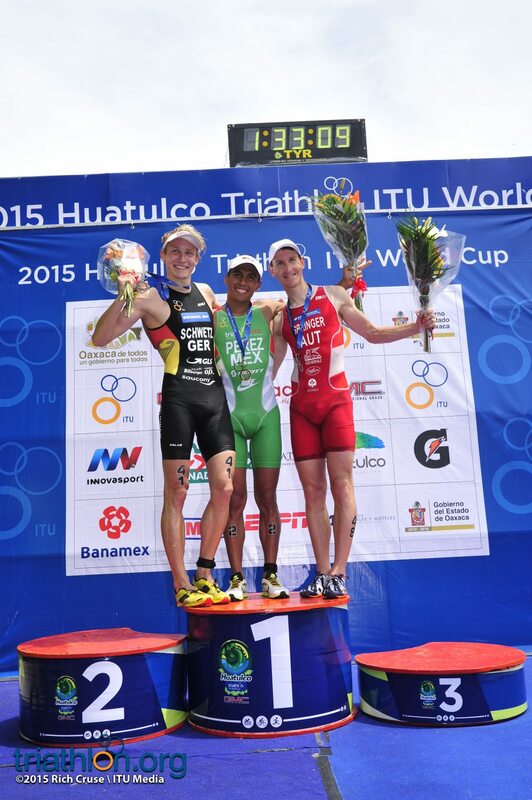 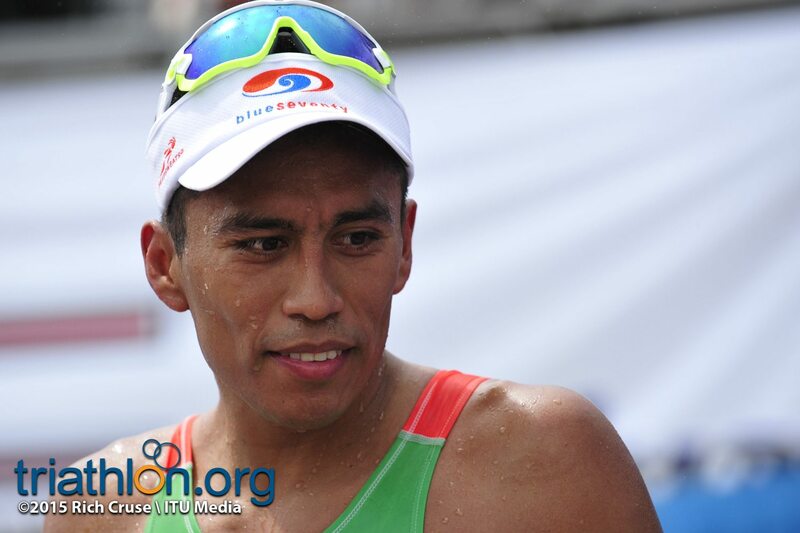 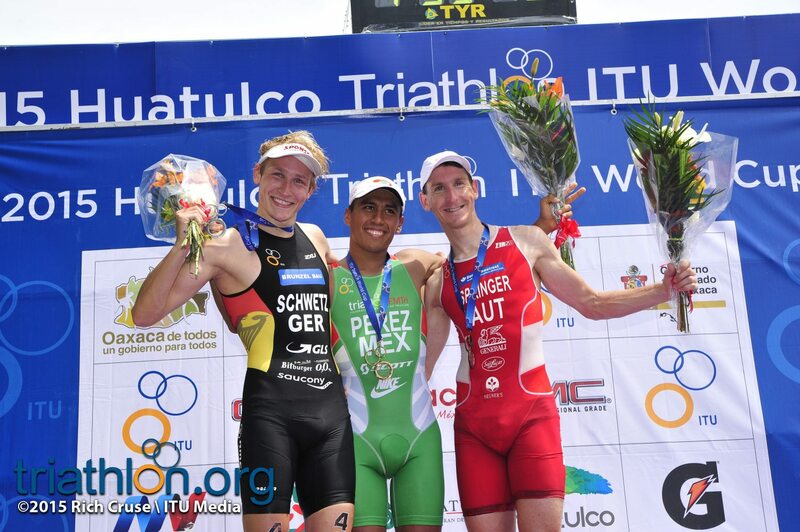 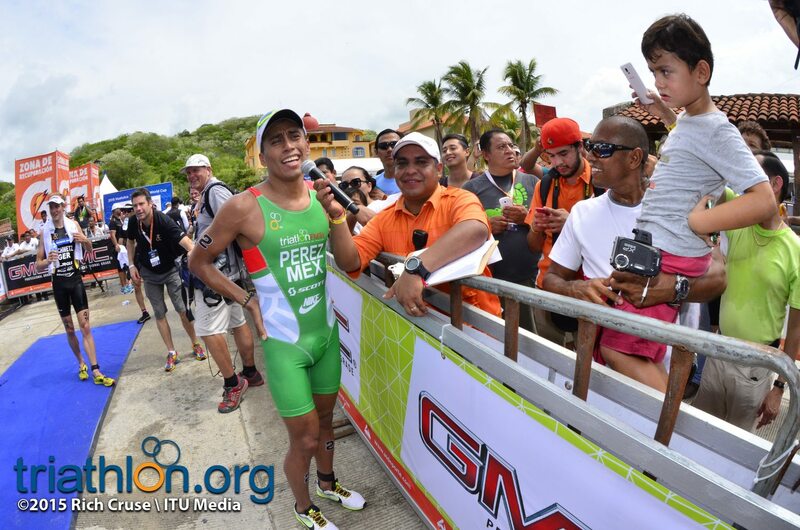 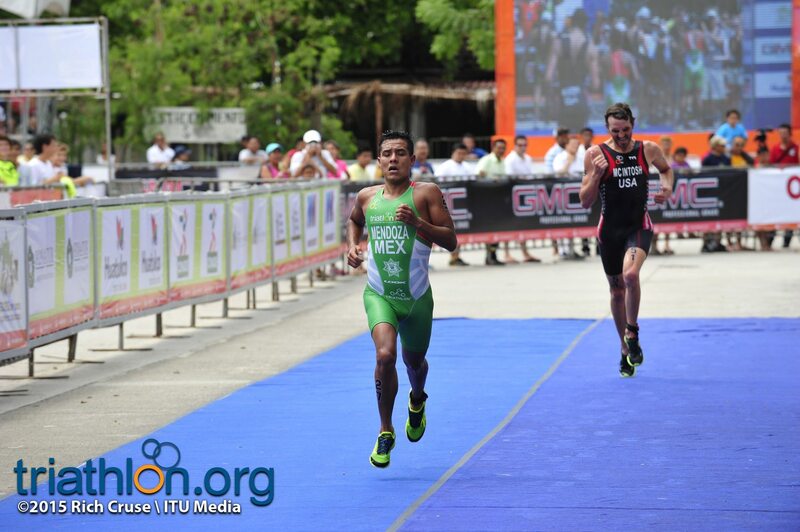 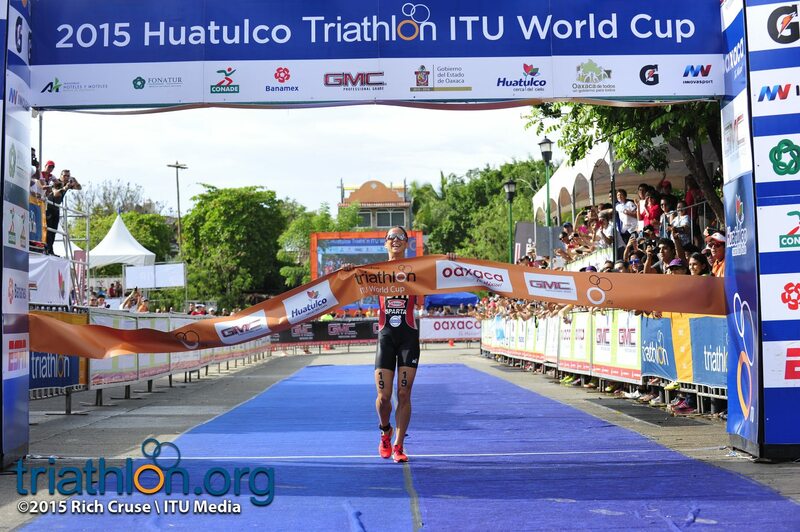 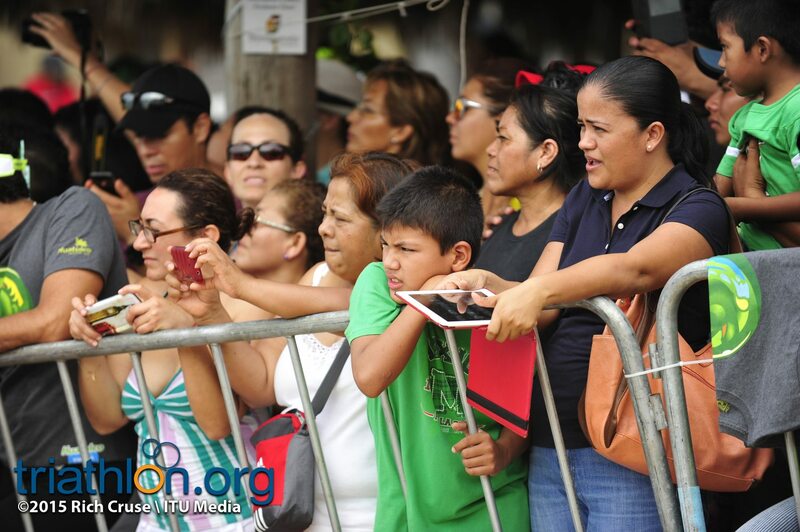 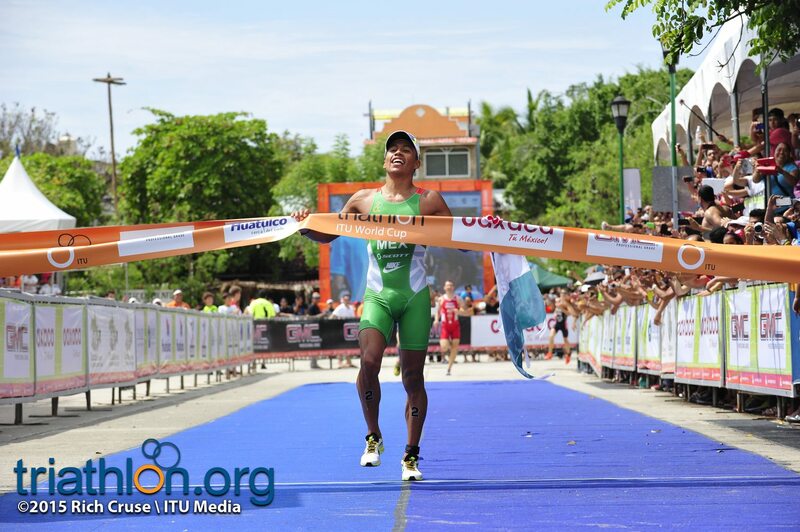 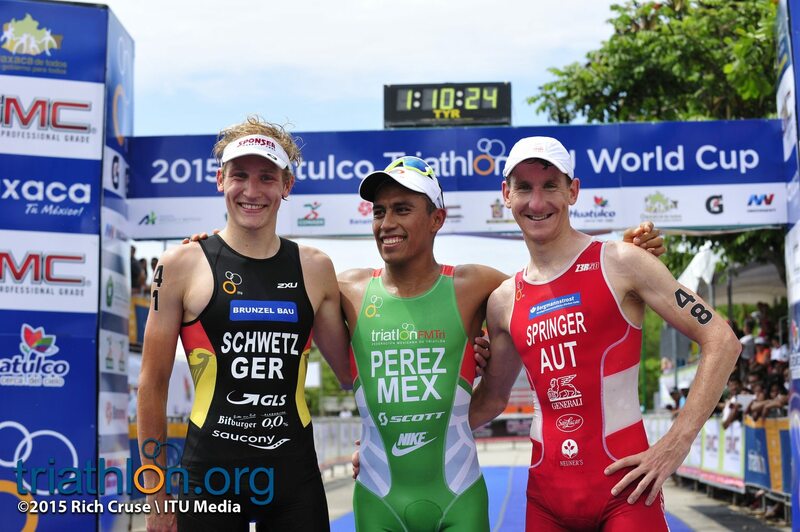 It was a day of firsts for Mexico’s own Irving Perez as he became the first Mexican athlete to win the Huatulco World Cup on Sunday when he ran away from a massive field, with it clenching his first World Cup title. 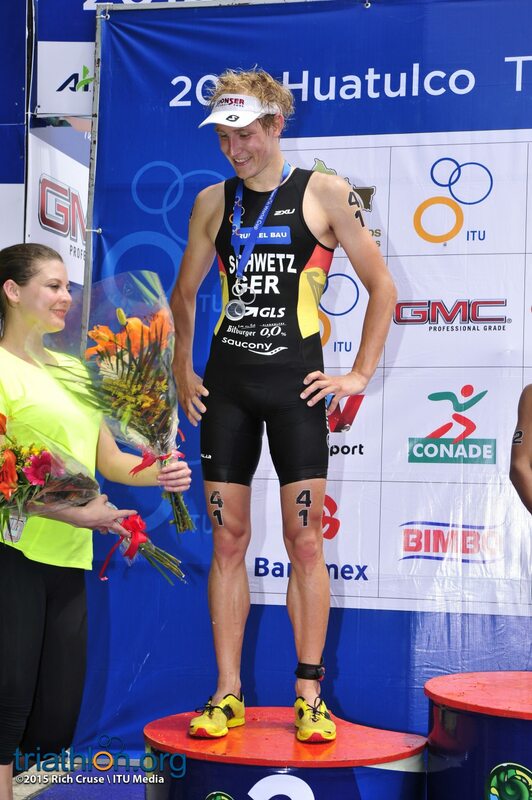 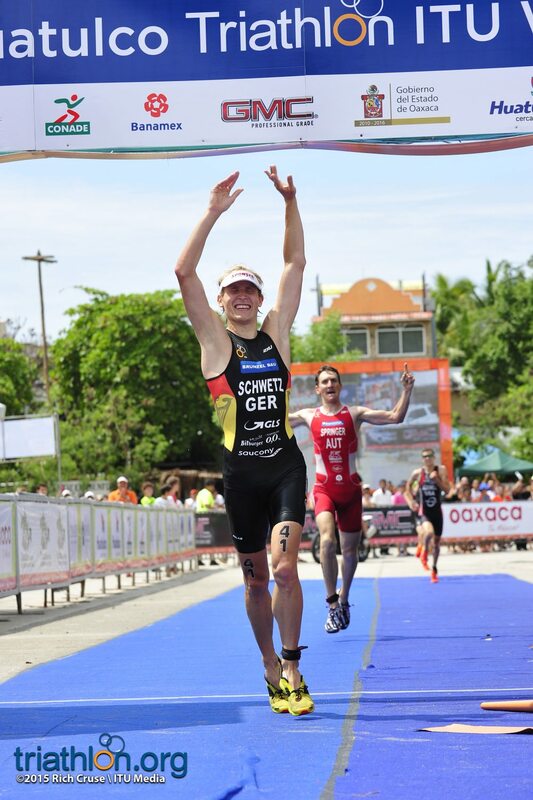 The day of breakthroughs didn’t stop there, as Germany’s Maximilian Schwetz and Thomas Springer picked up their first World cup podiums with silver and bronze, respectively. 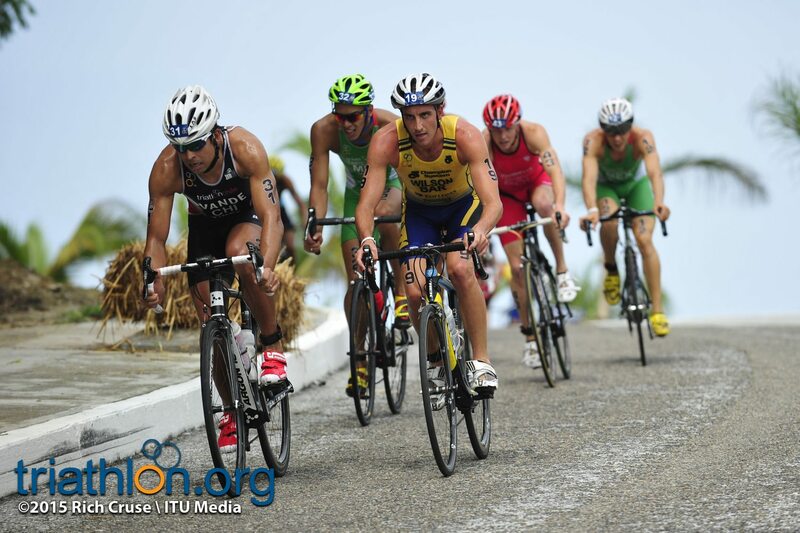 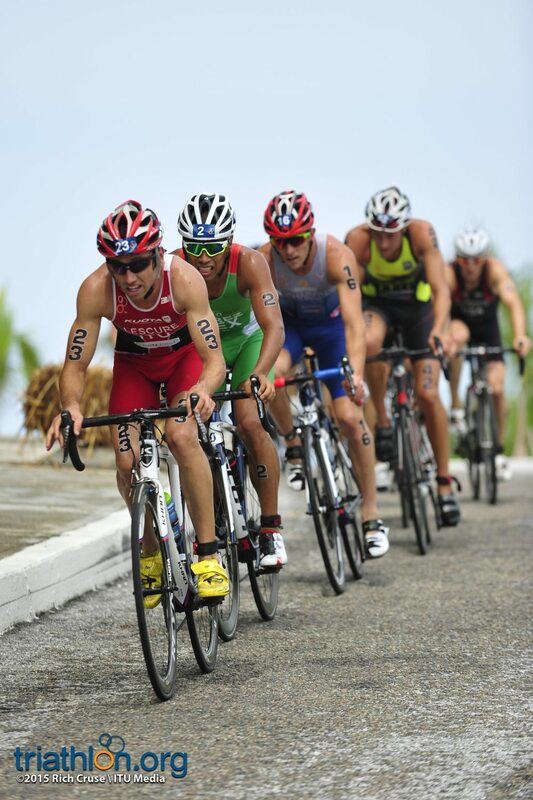 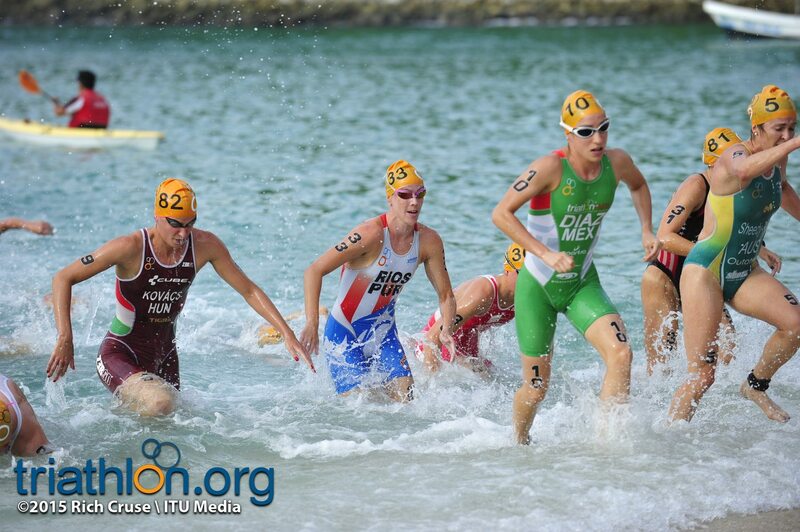 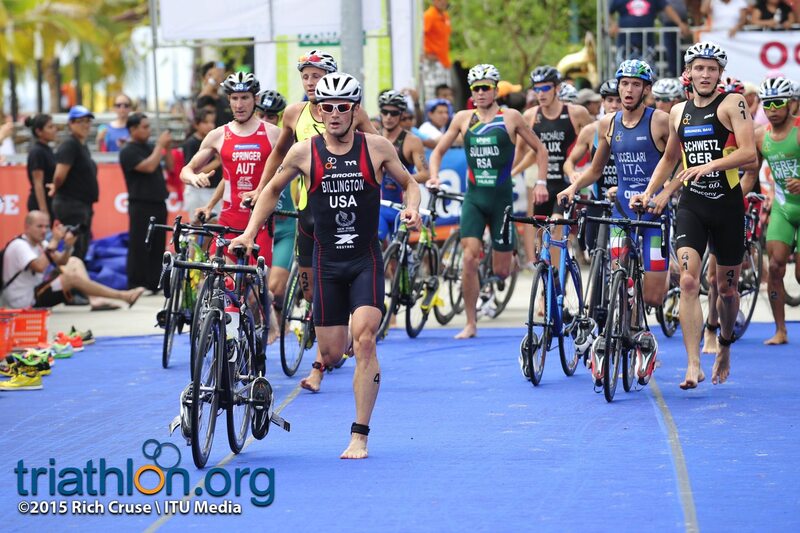 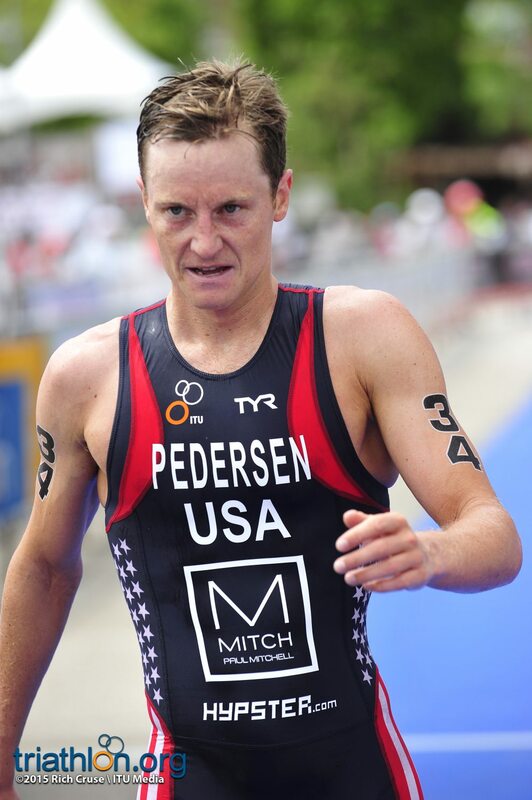 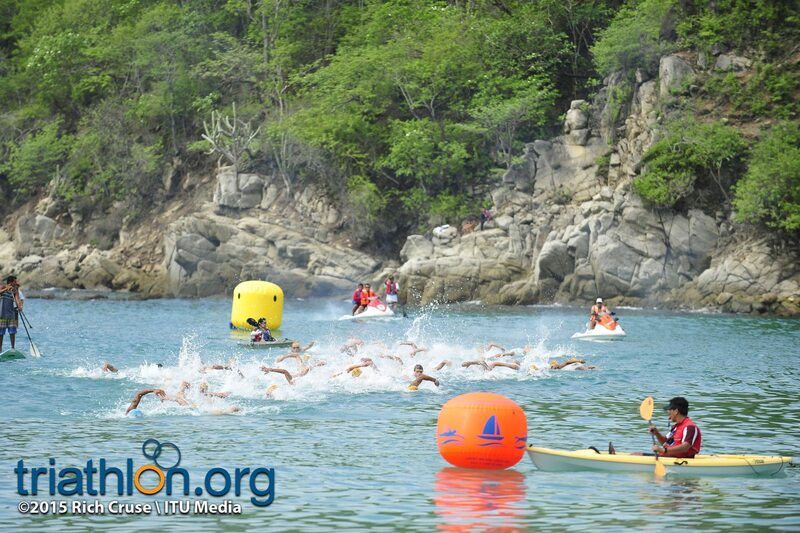 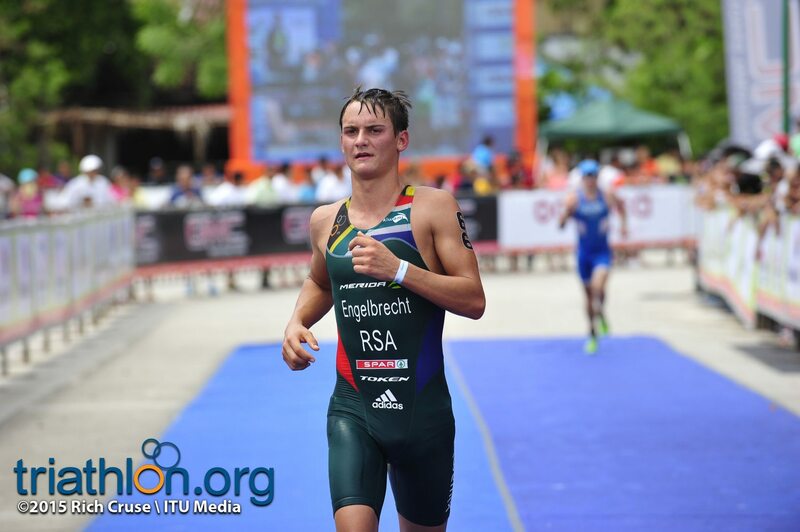 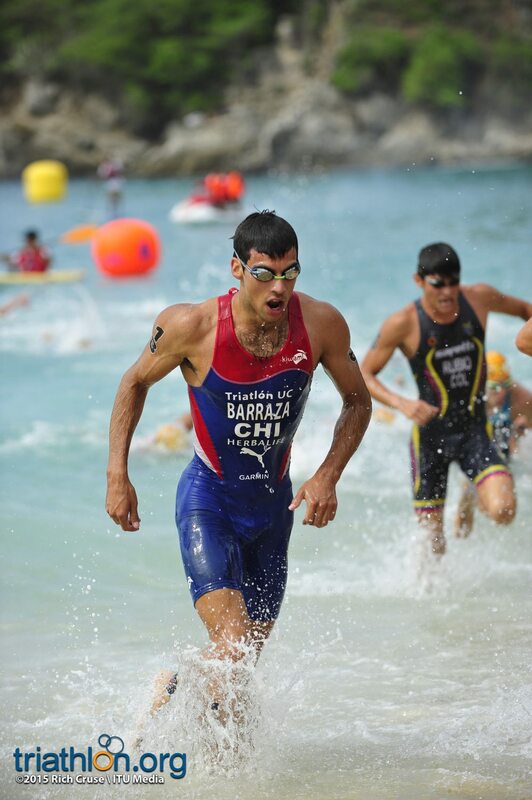 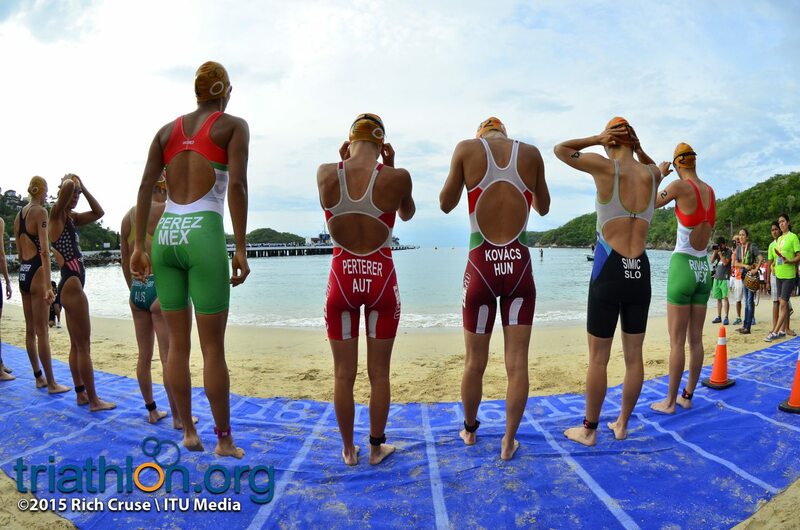 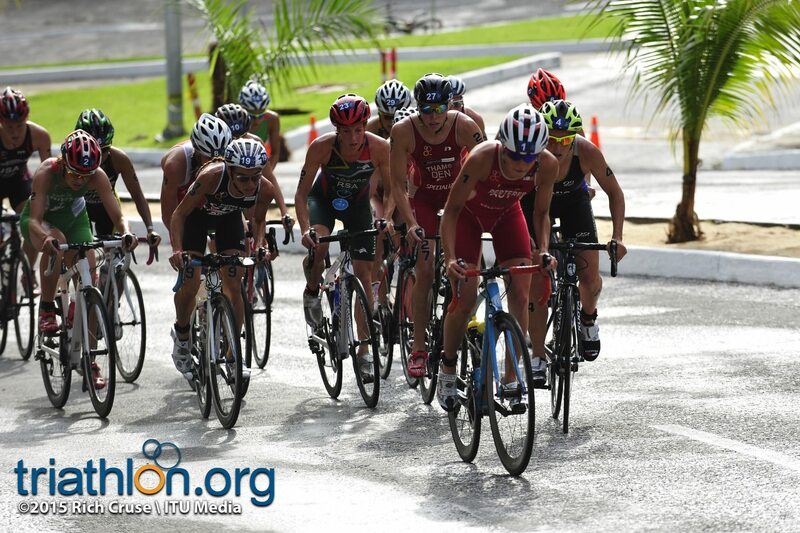 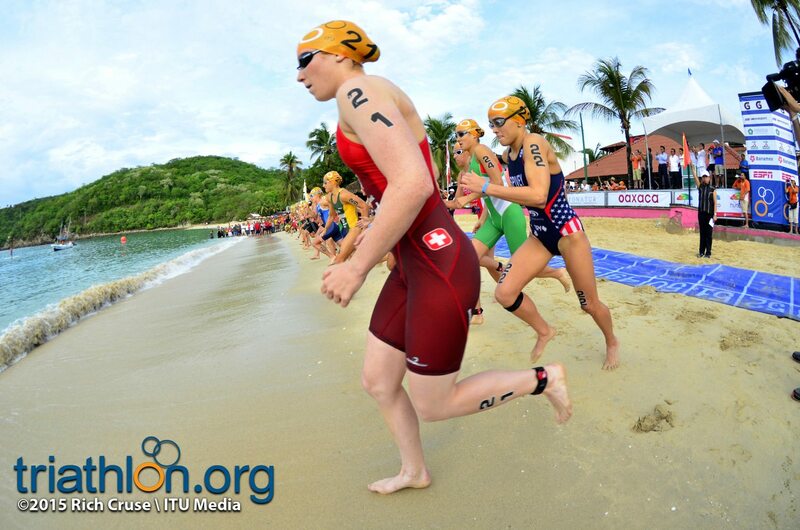 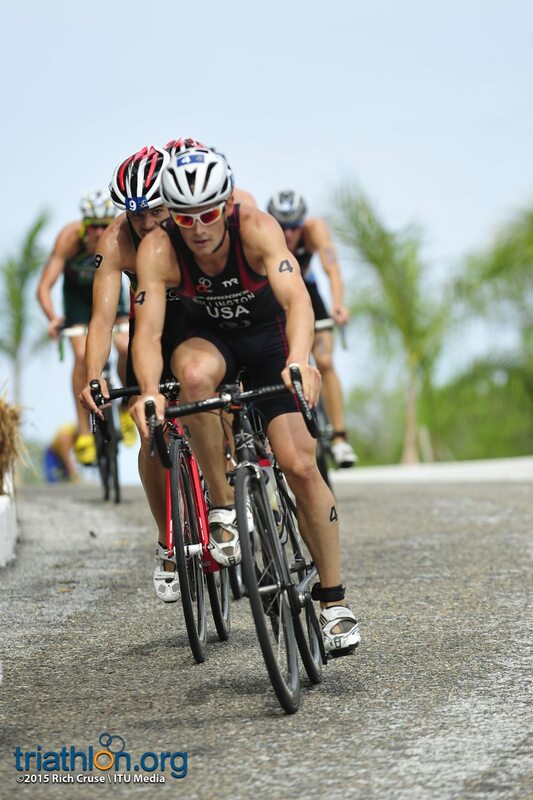 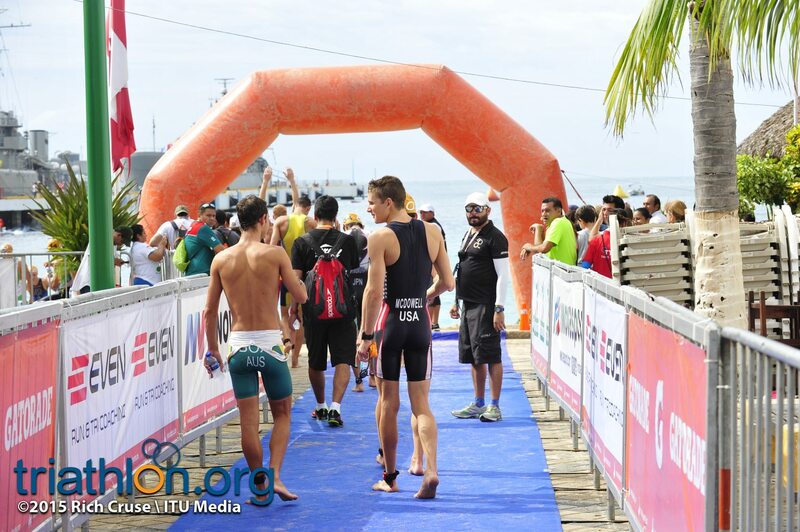 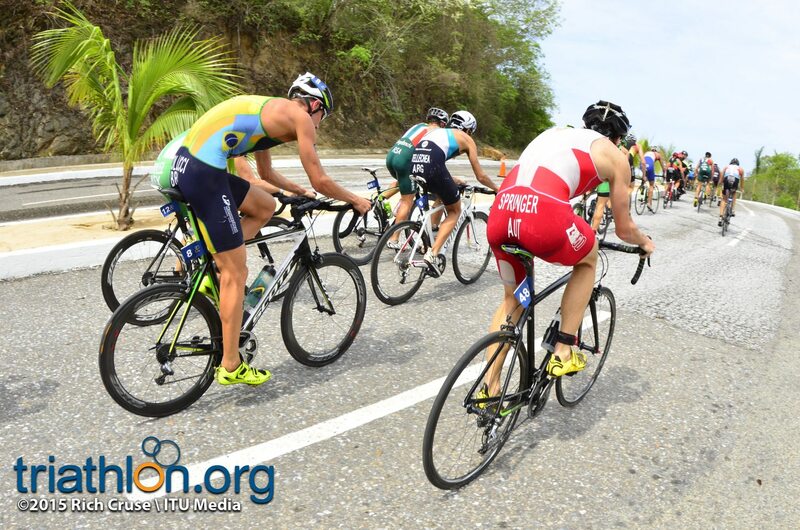 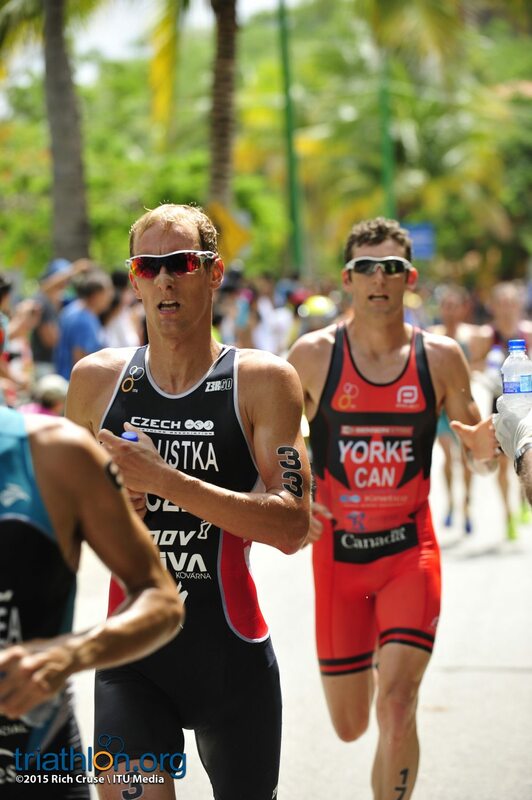 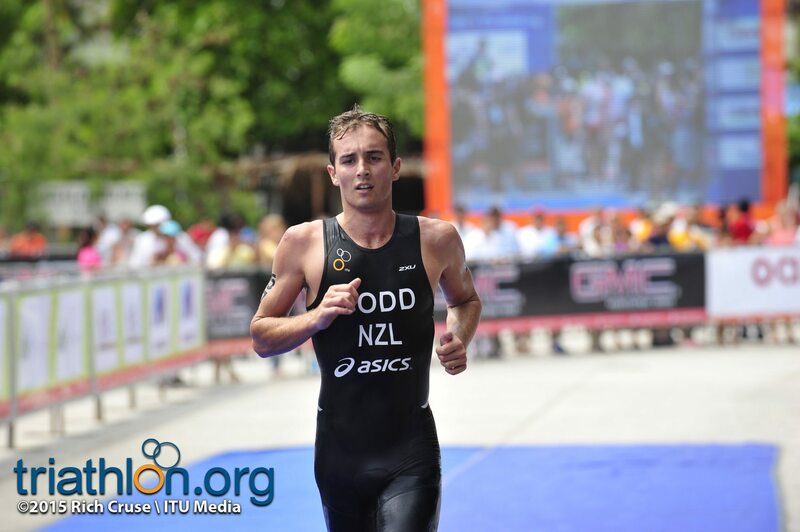 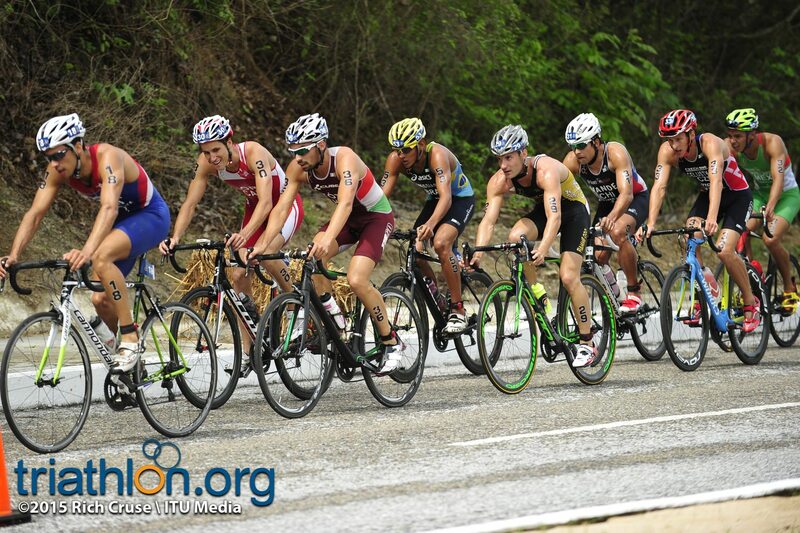 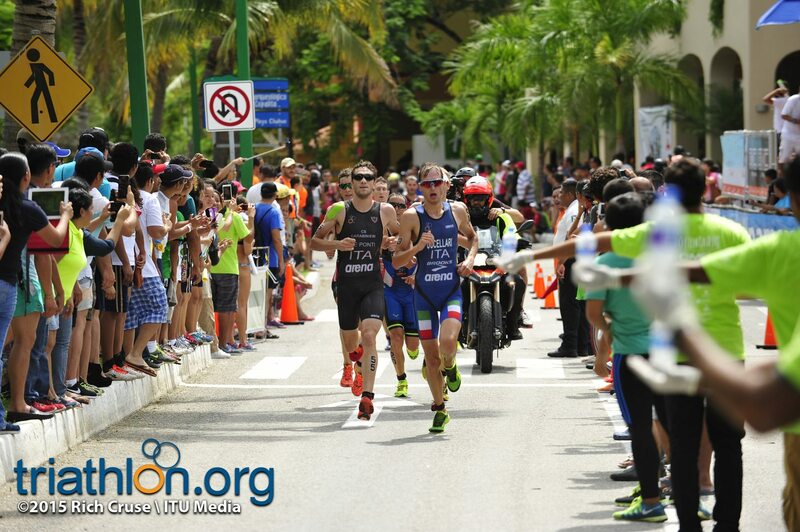 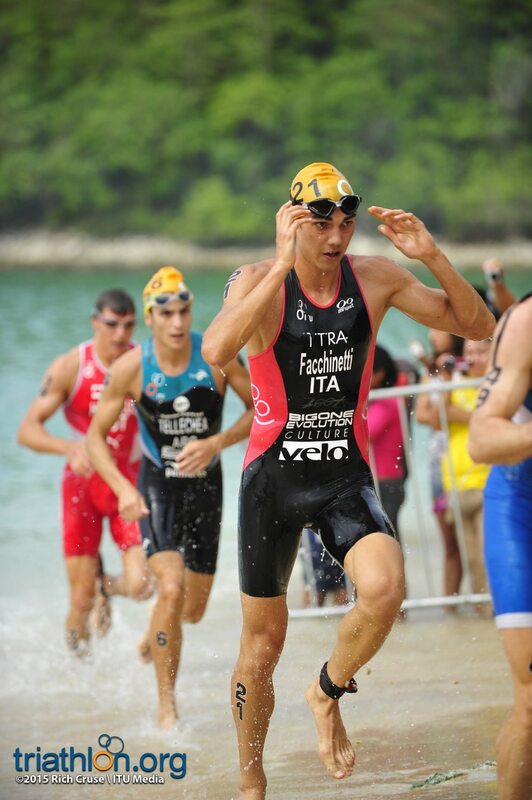 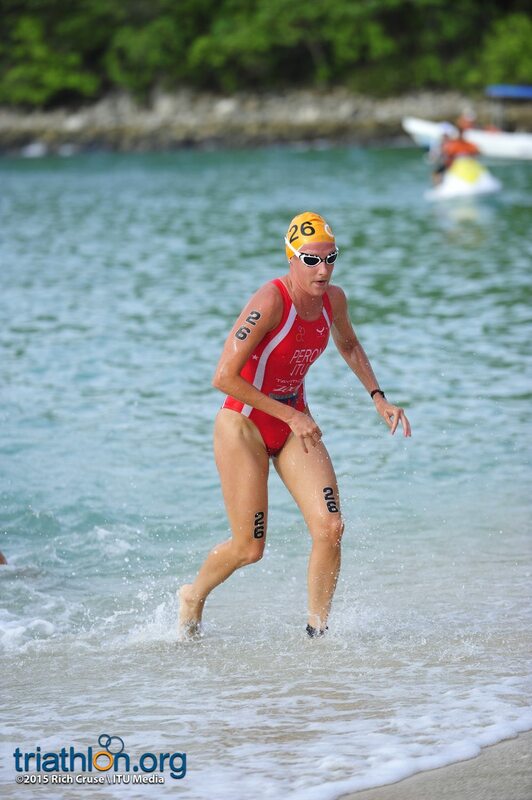 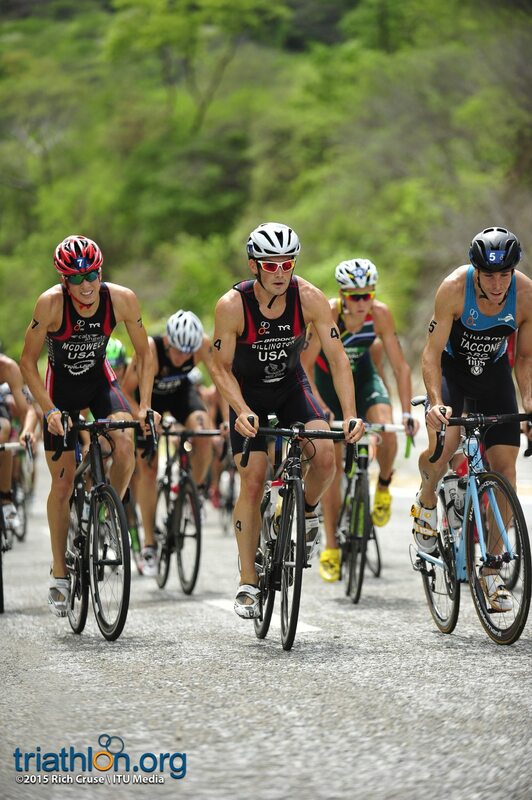 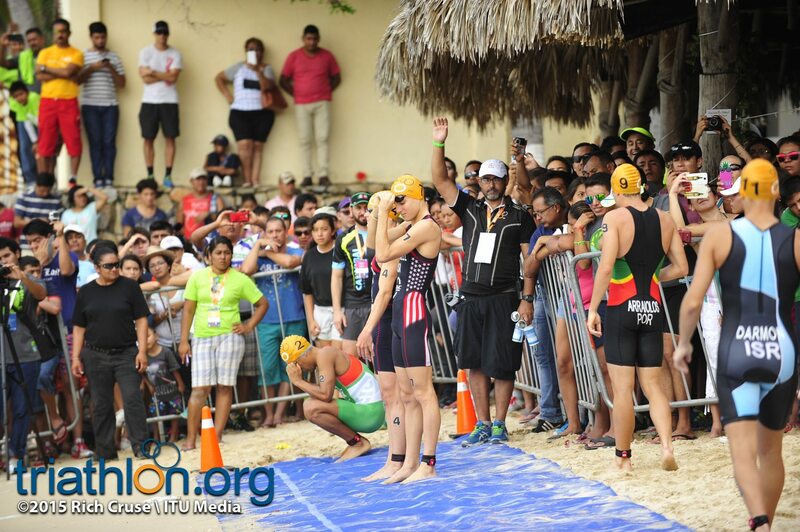 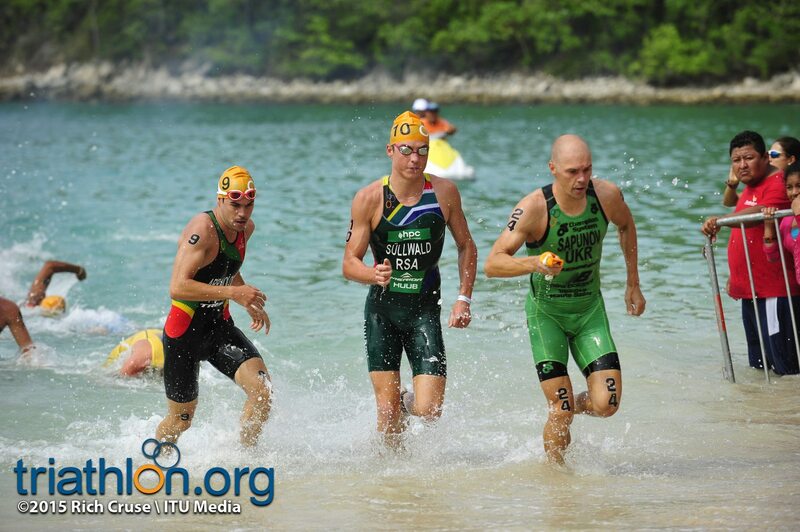 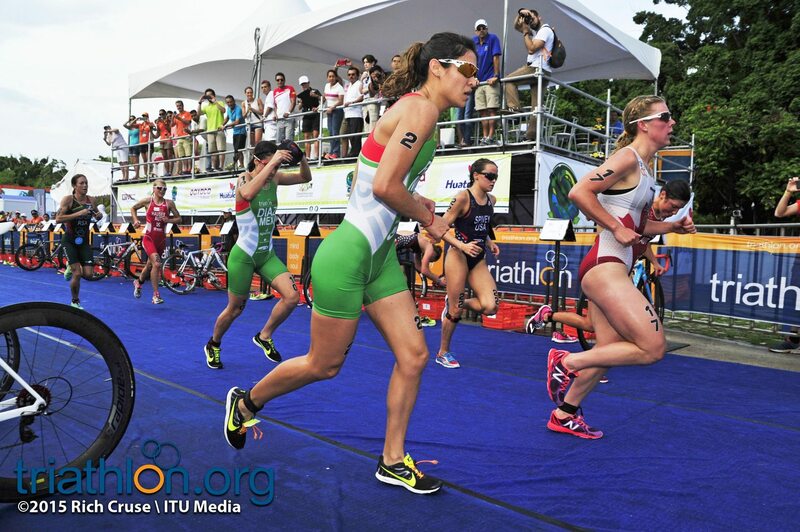 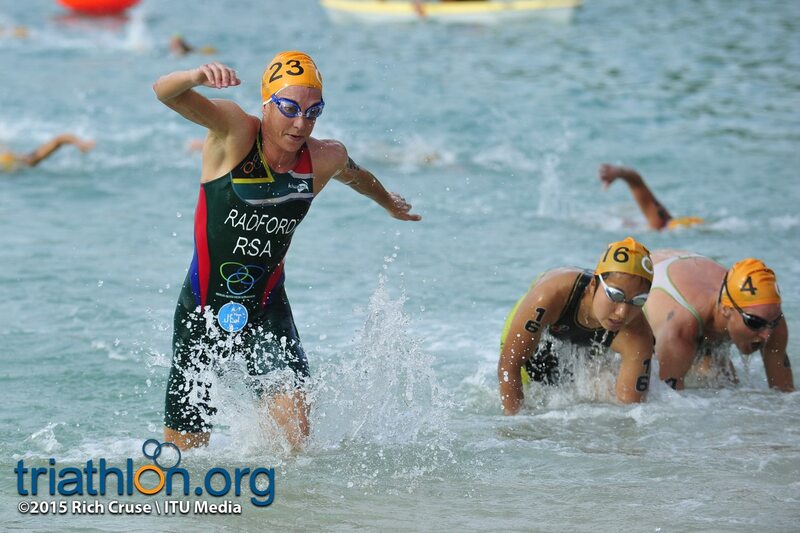 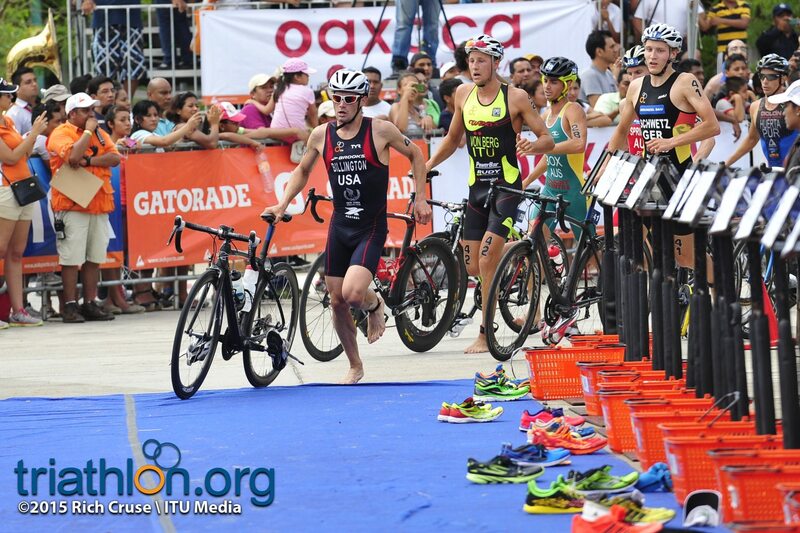 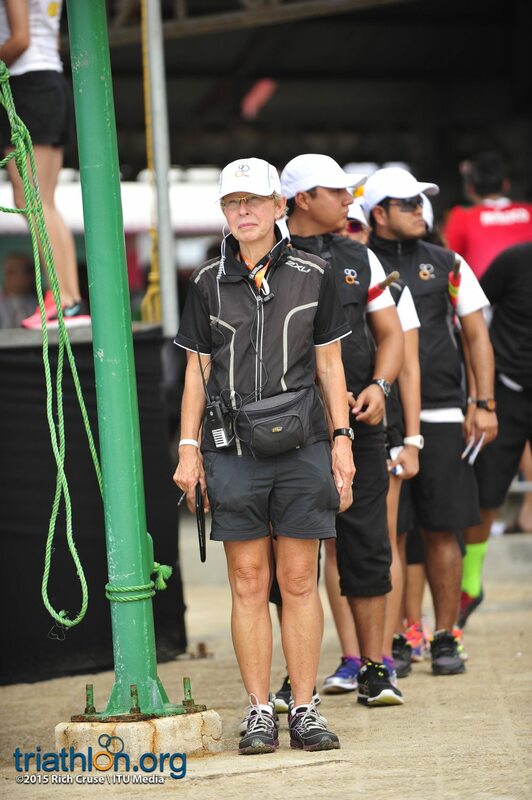 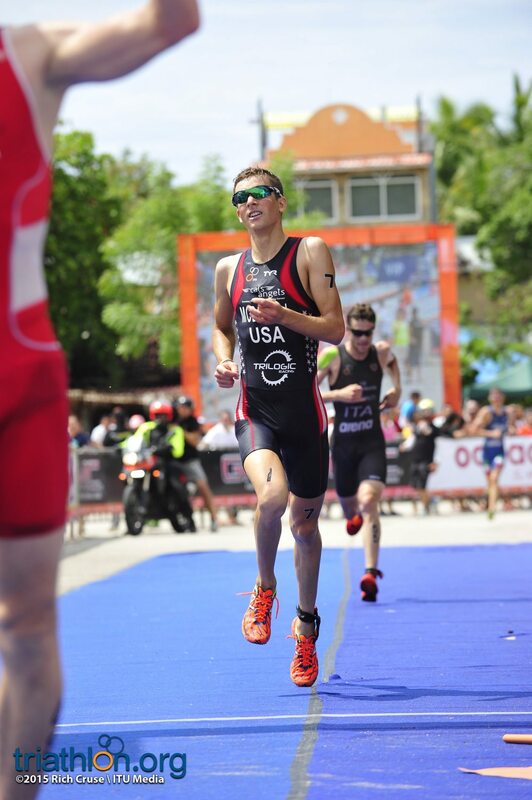 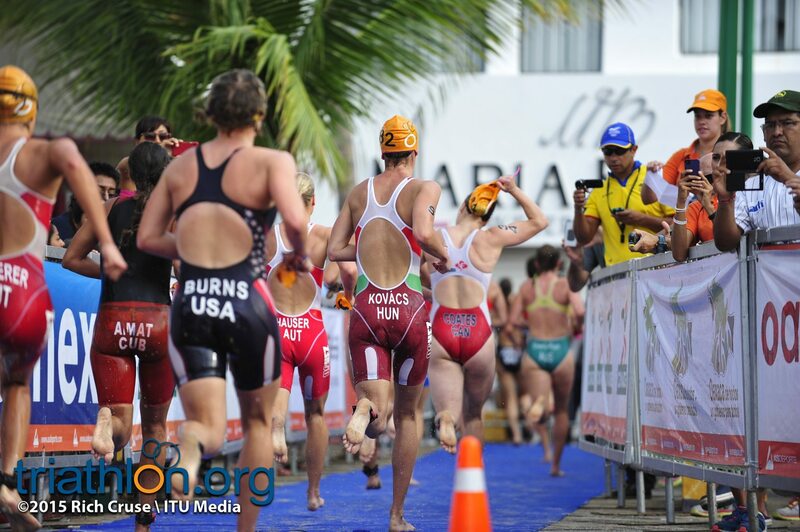 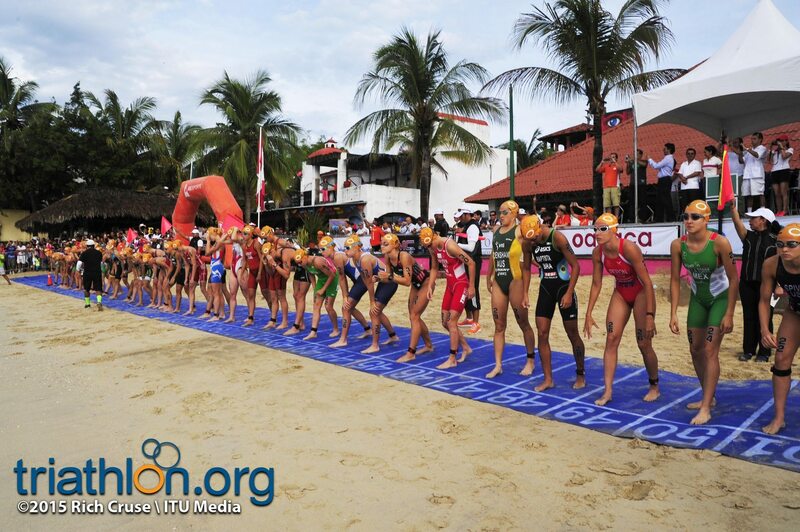 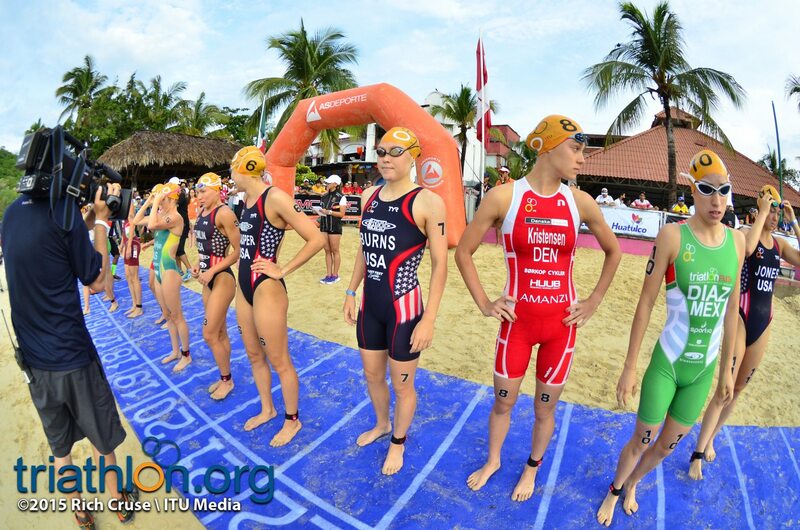 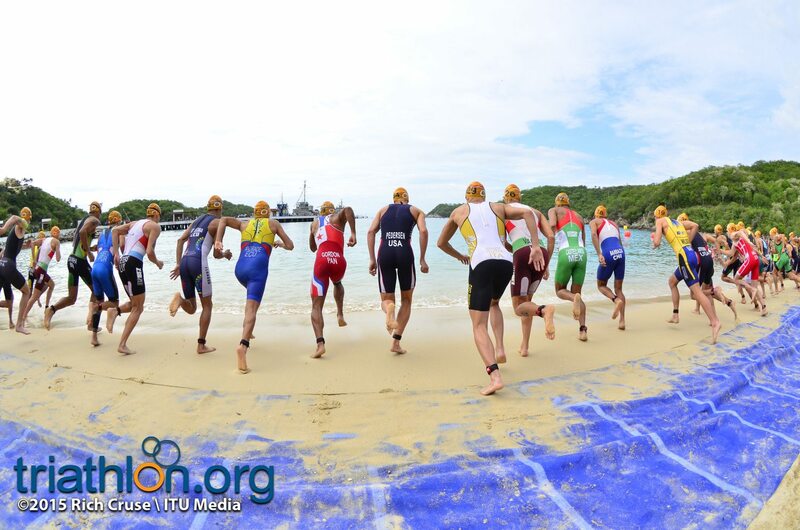 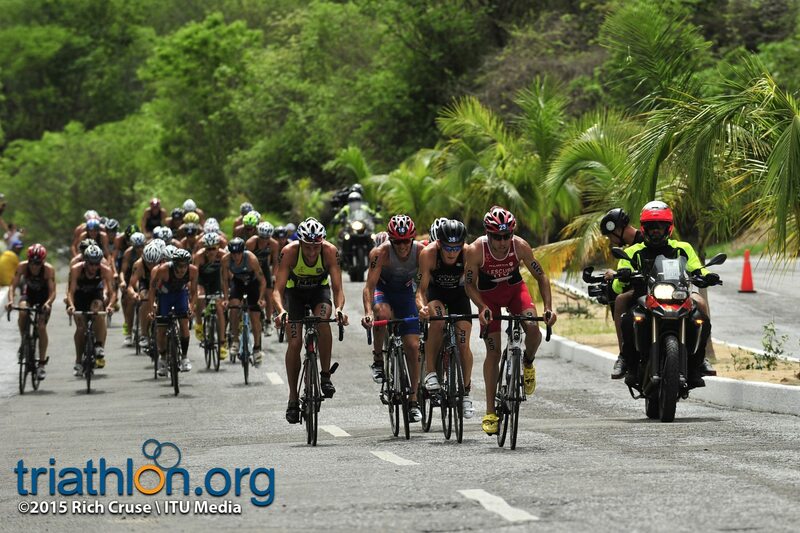 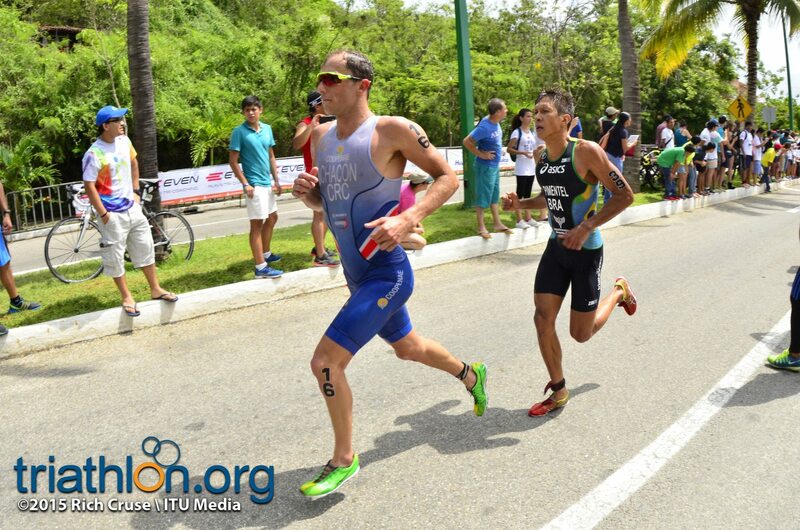 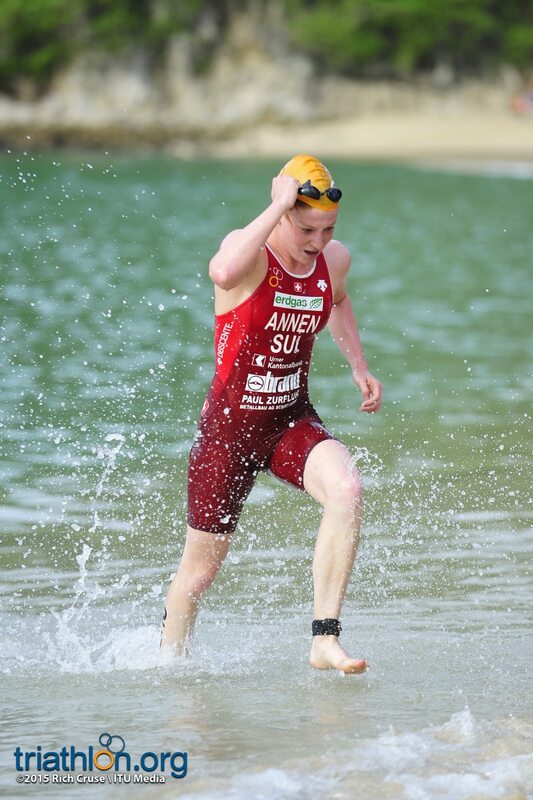 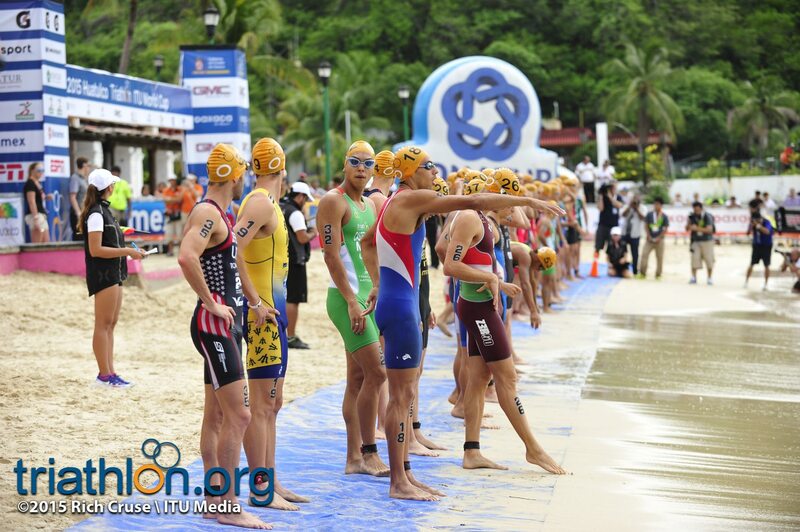 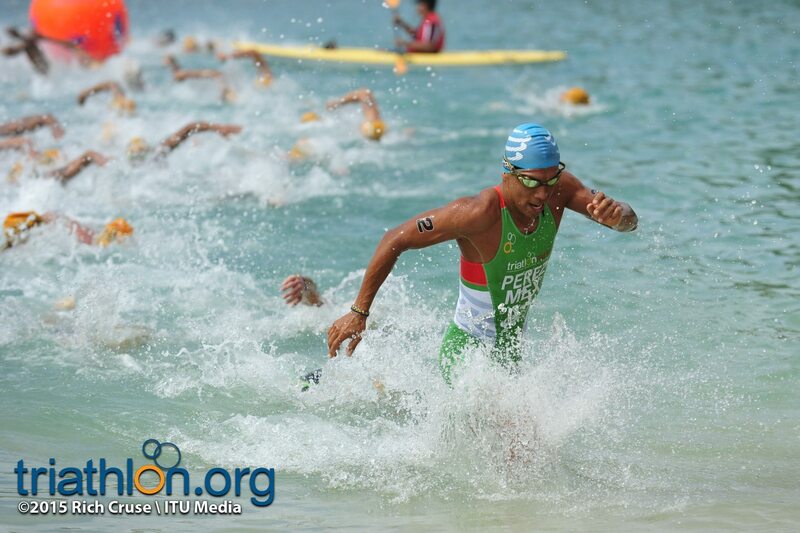 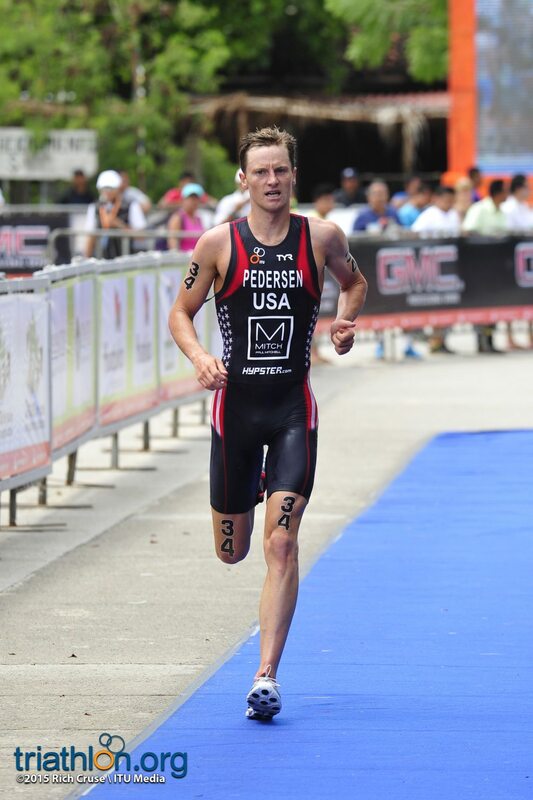 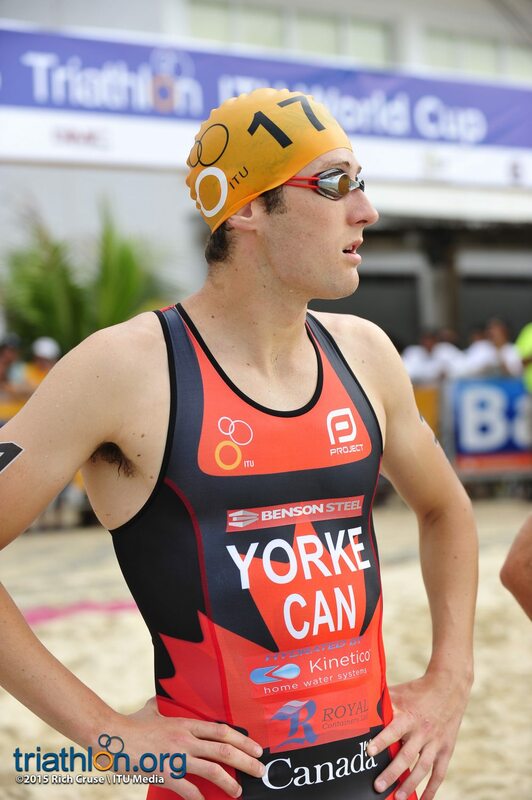 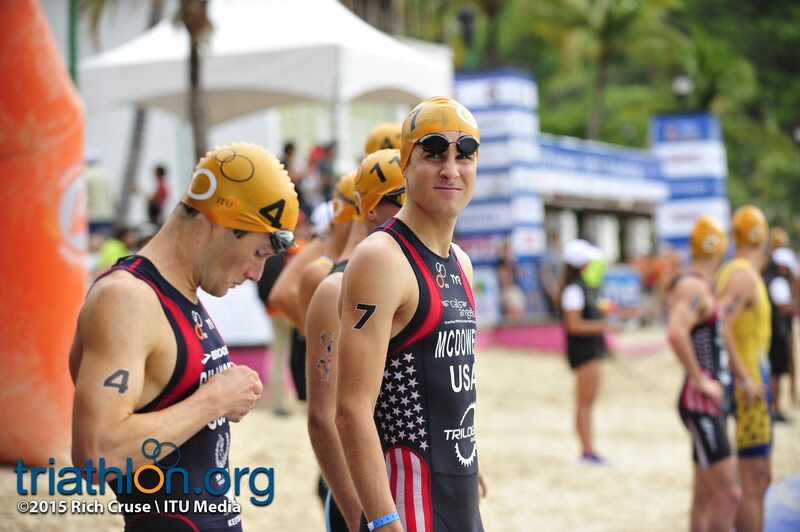 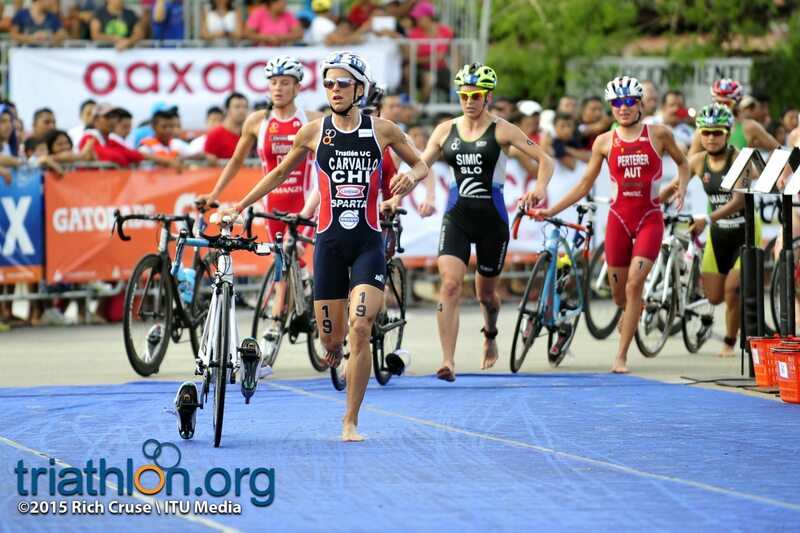 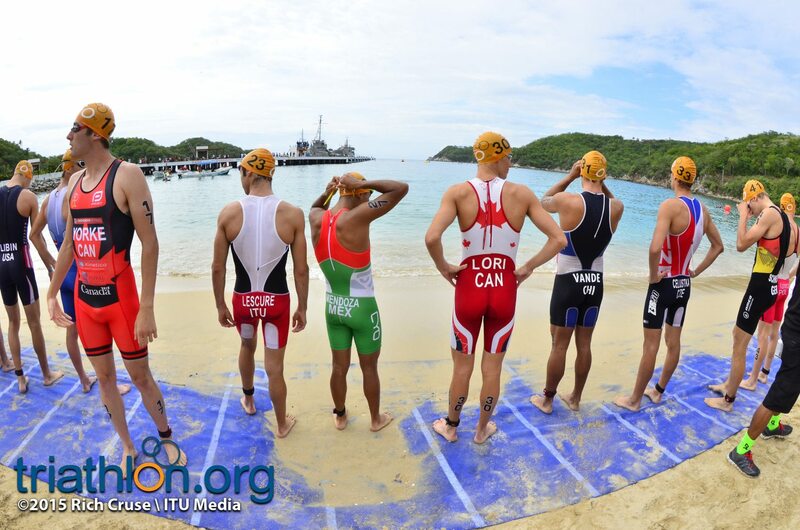 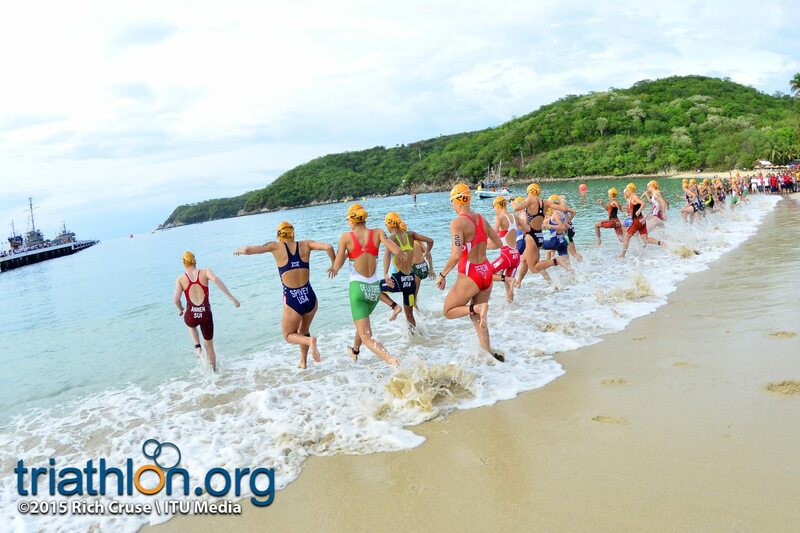 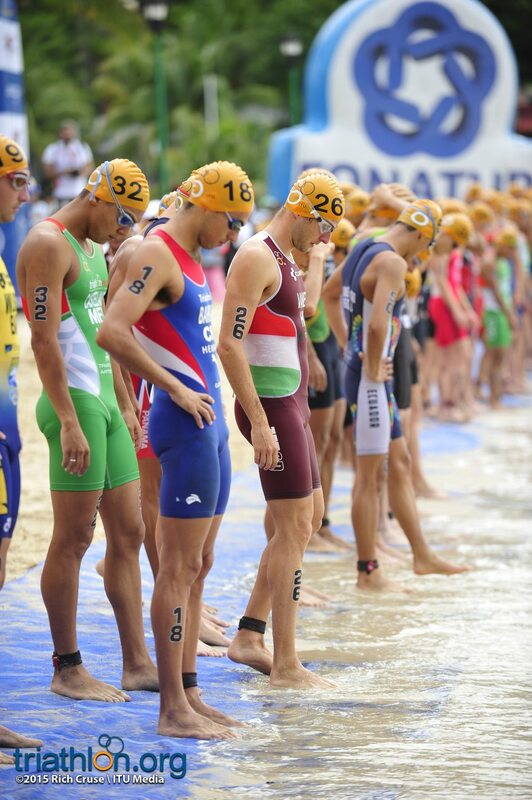 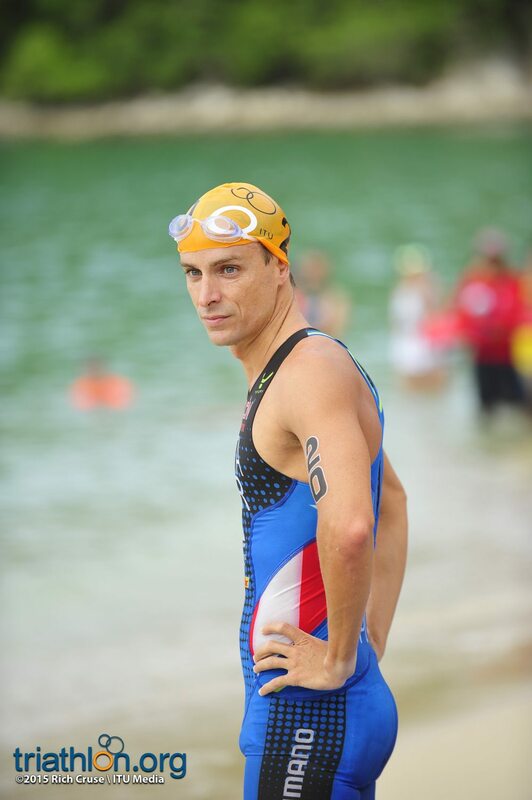 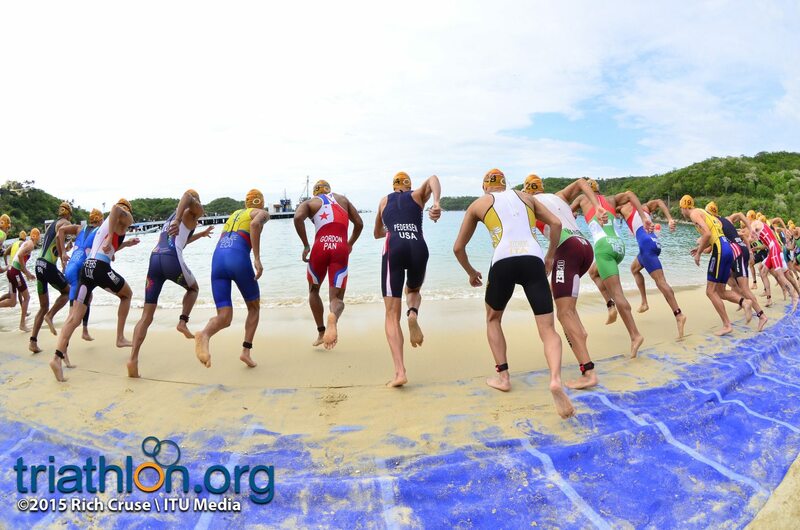 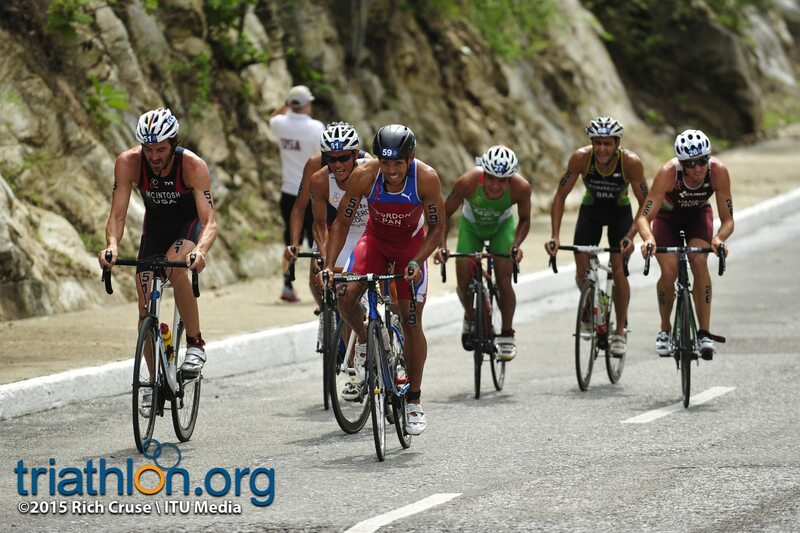 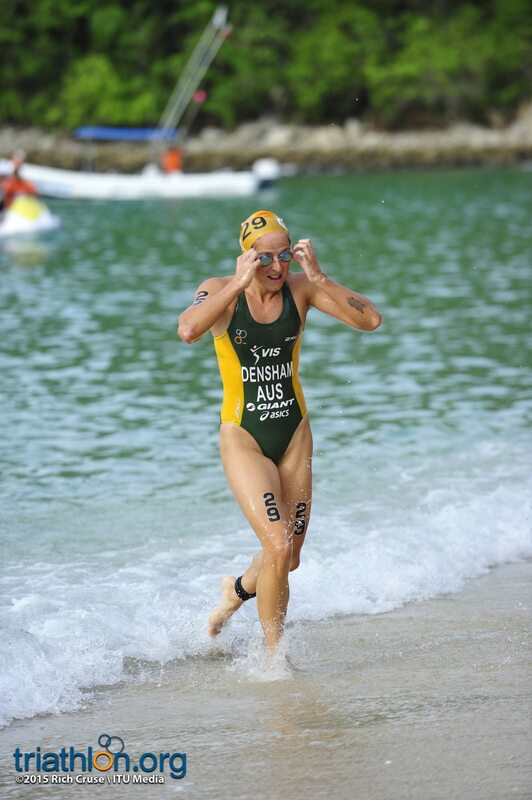 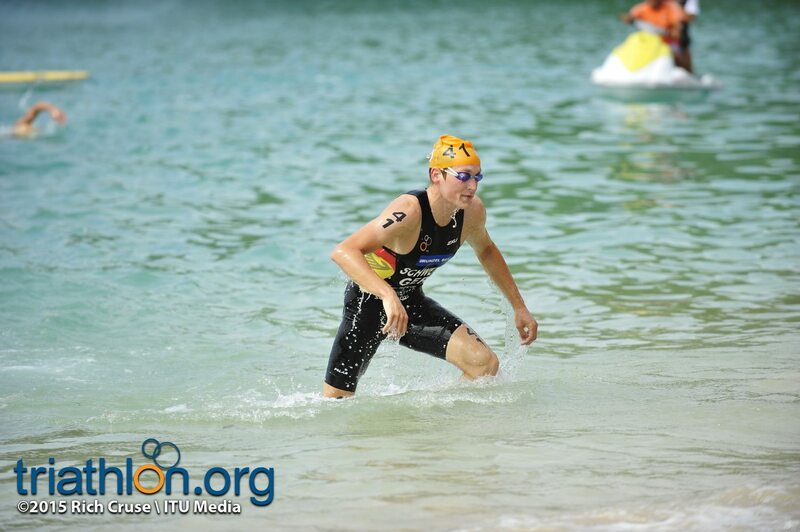 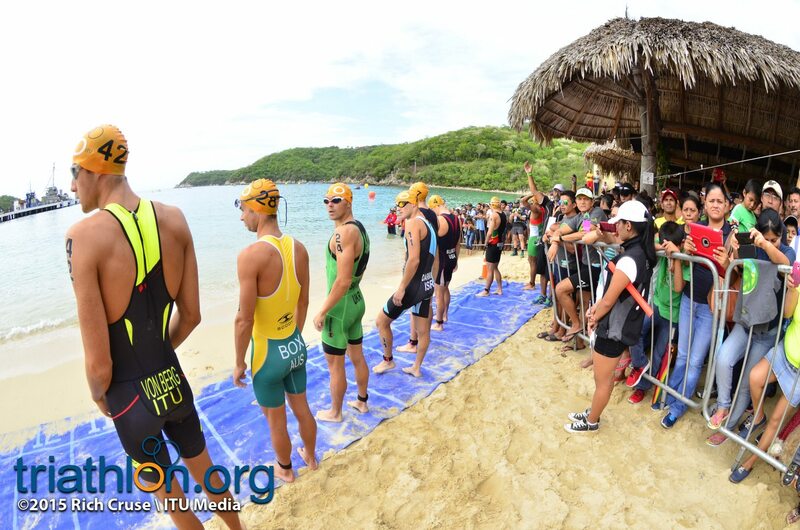 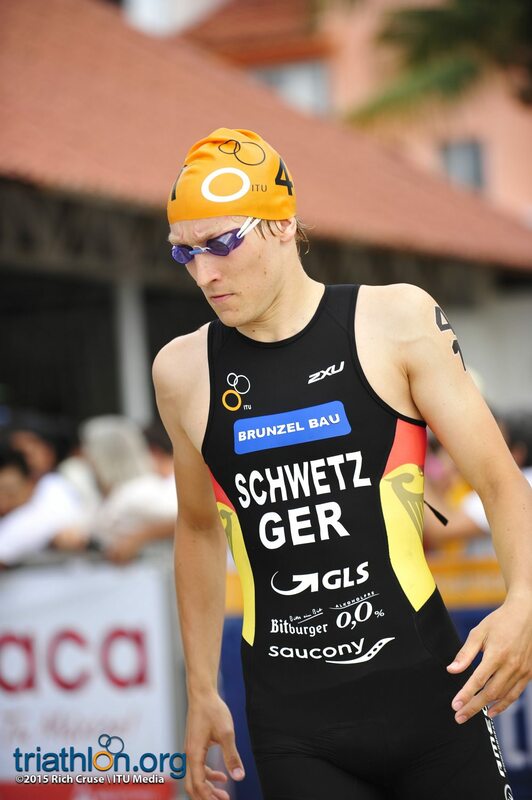 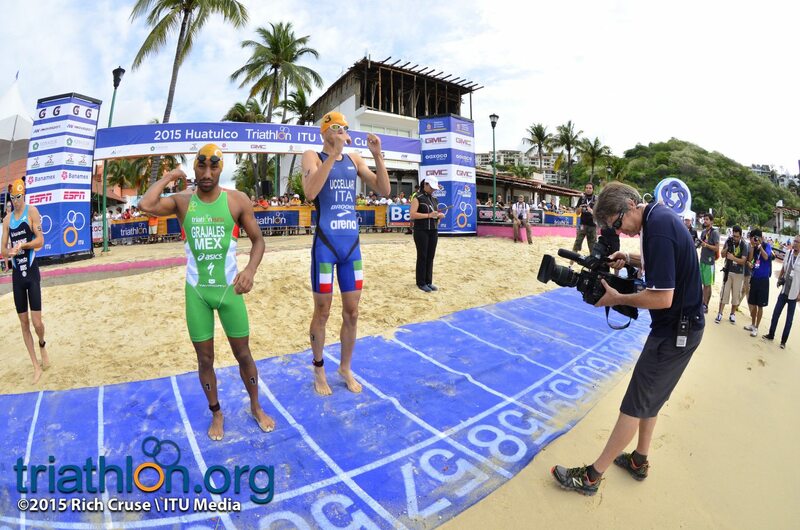 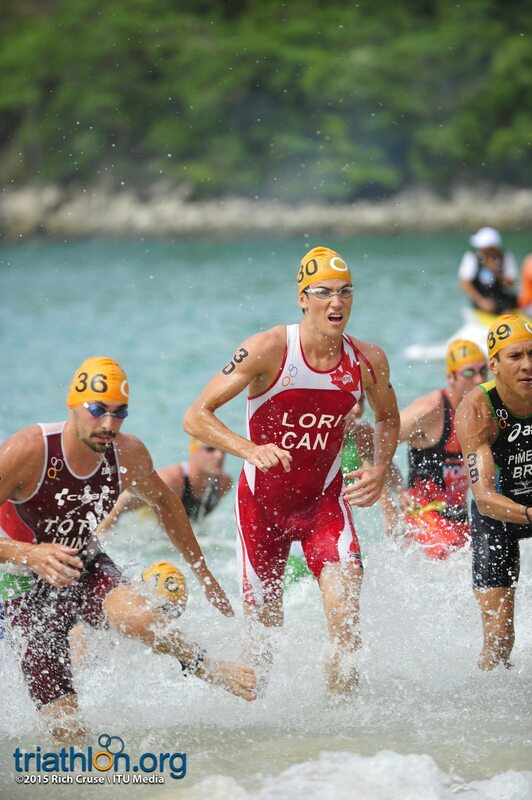 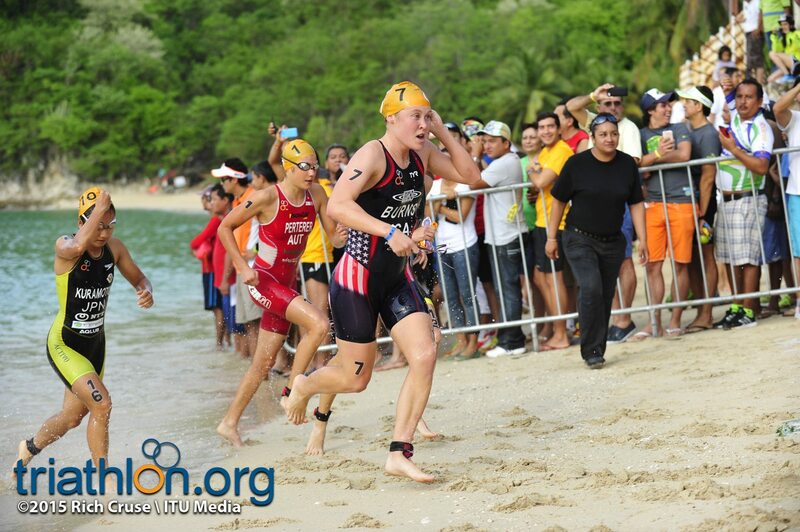 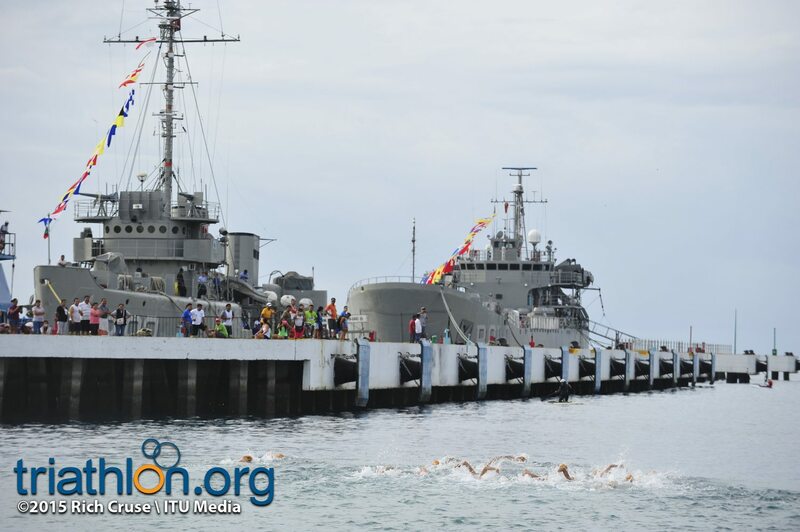 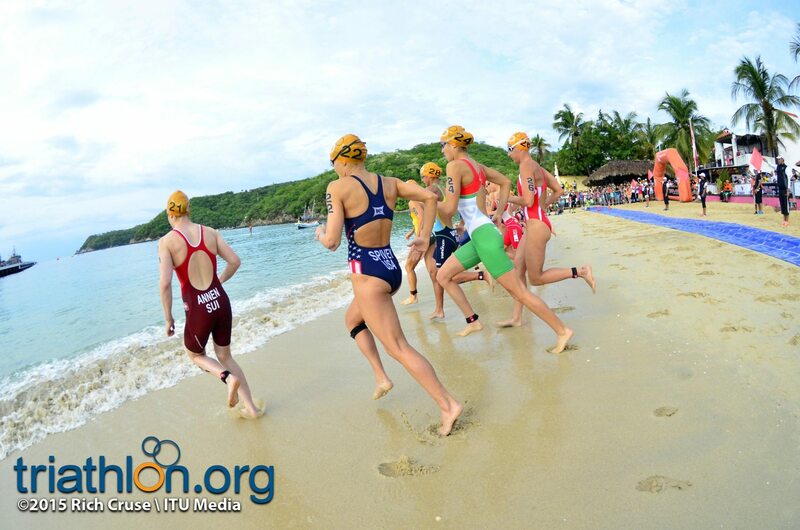 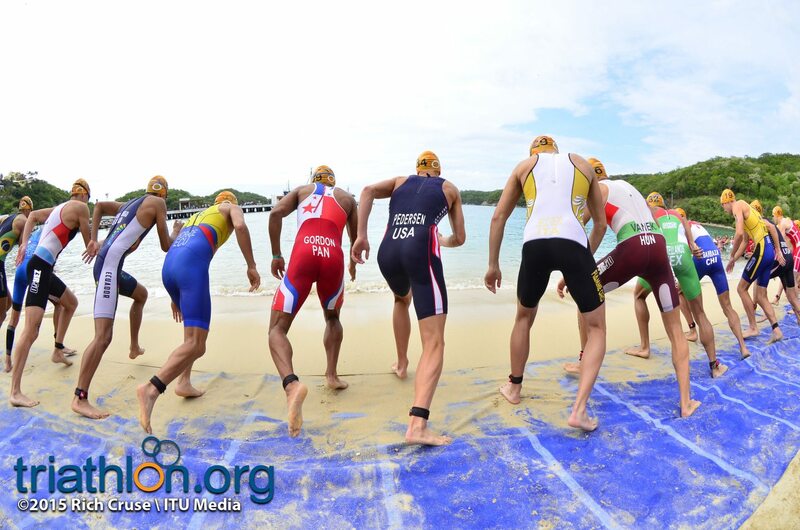 While Schwetz exited out of the one-lap 750m beach swim followed by Perez out front, it wasn’t a line to line lead for the men, as the pair headed up a massive contingency of men into a congested first transition. 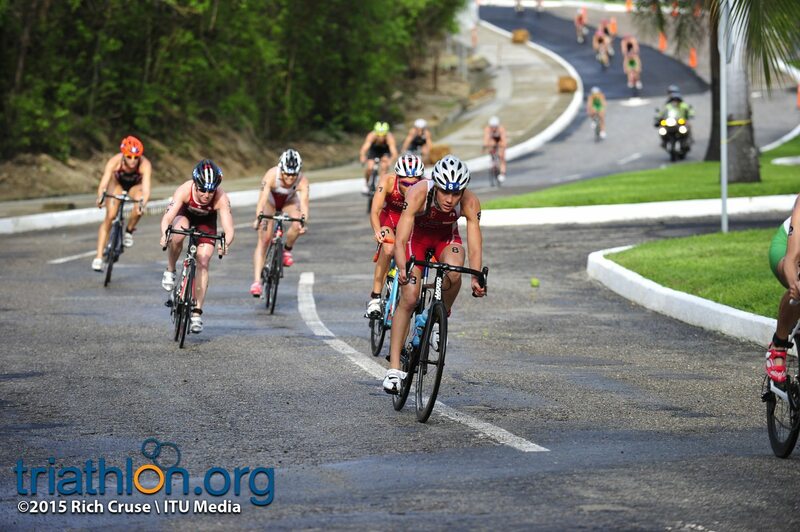 Despite the sizable hill on each of the four laps, it didn’t lend itself to splintering the pack on the first turn around the bike course. 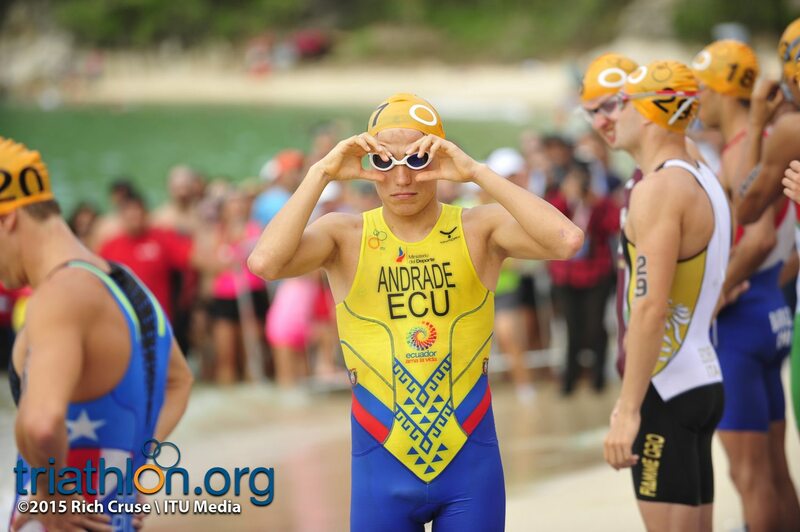 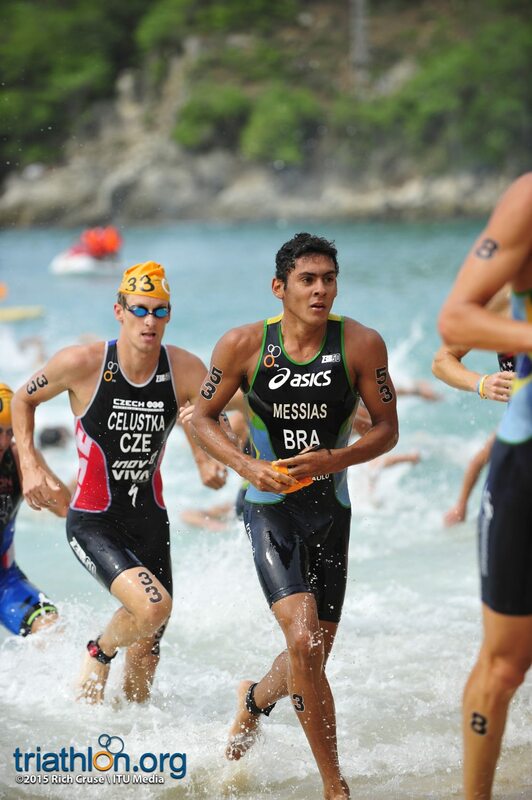 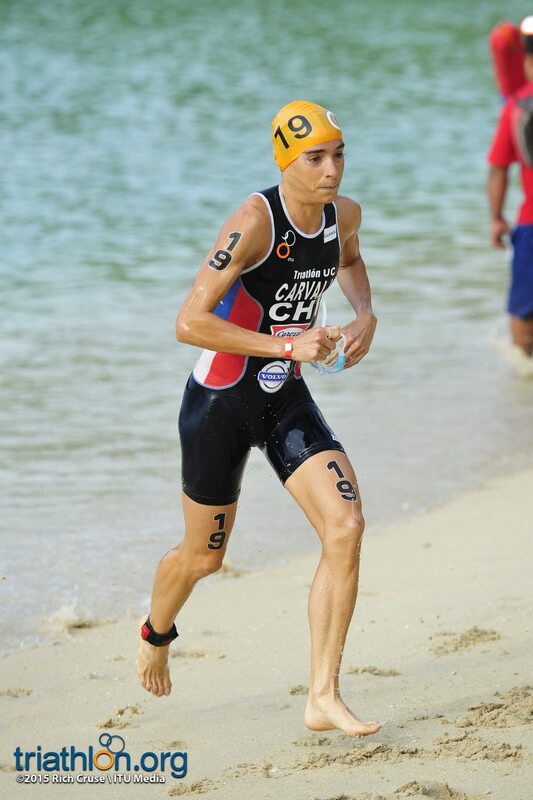 While 2014 gold medallist and bronze medallists Luciano Taccone (ARG) and Aurelien Lescure moved their way to the front, other pre-race favourites such as Crisanto Grajales strategically stayed safely in the pack. 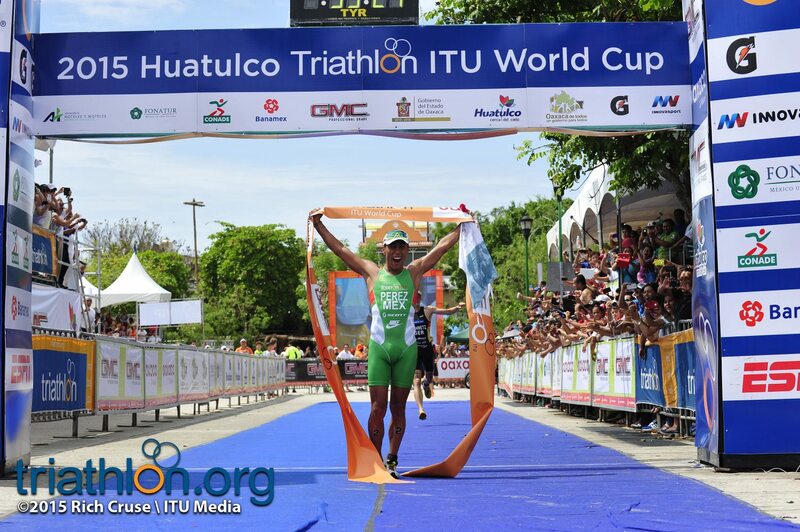 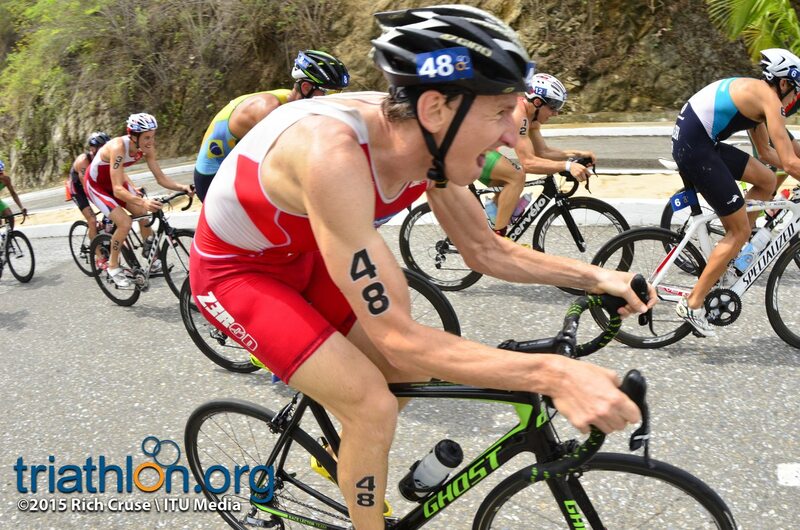 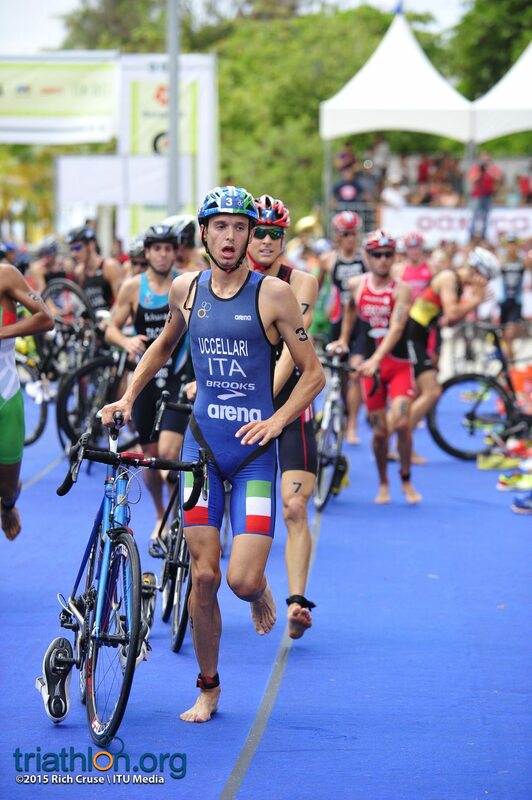 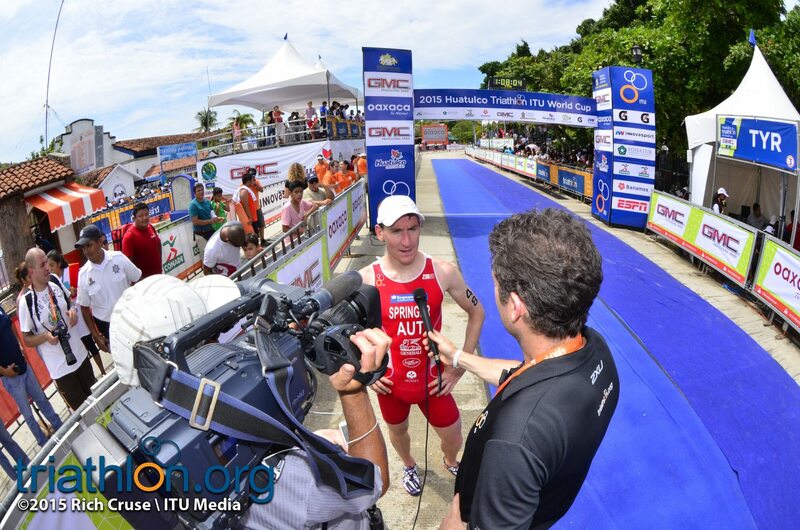 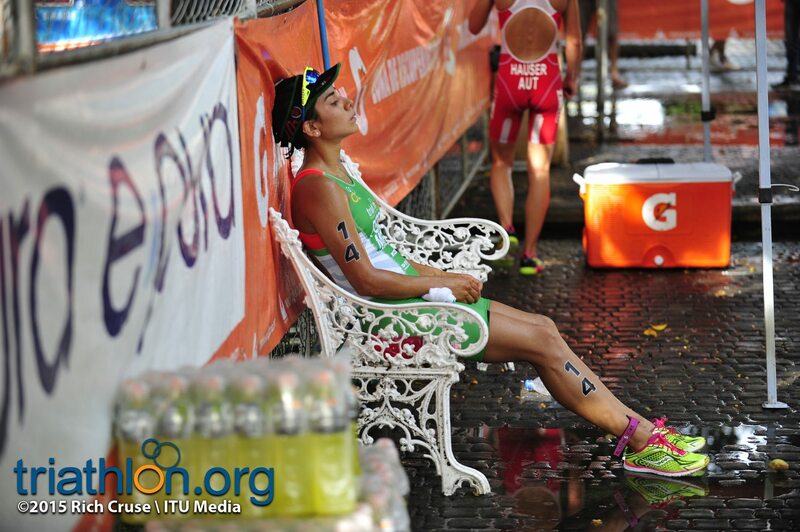 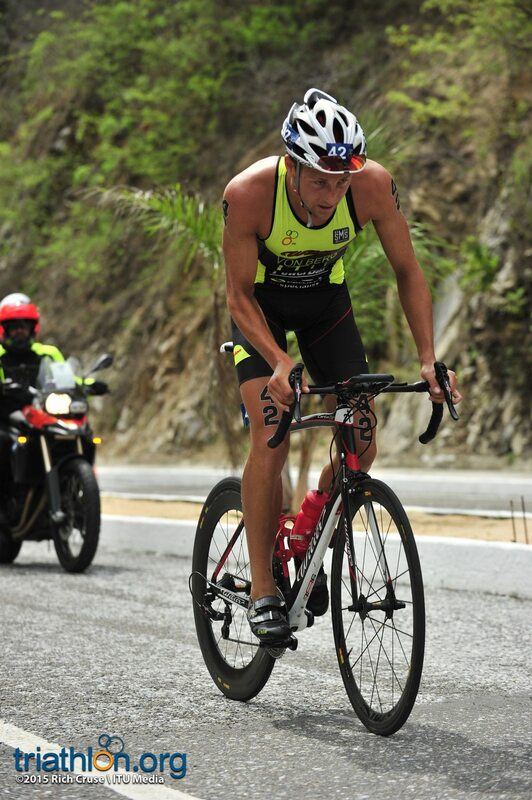 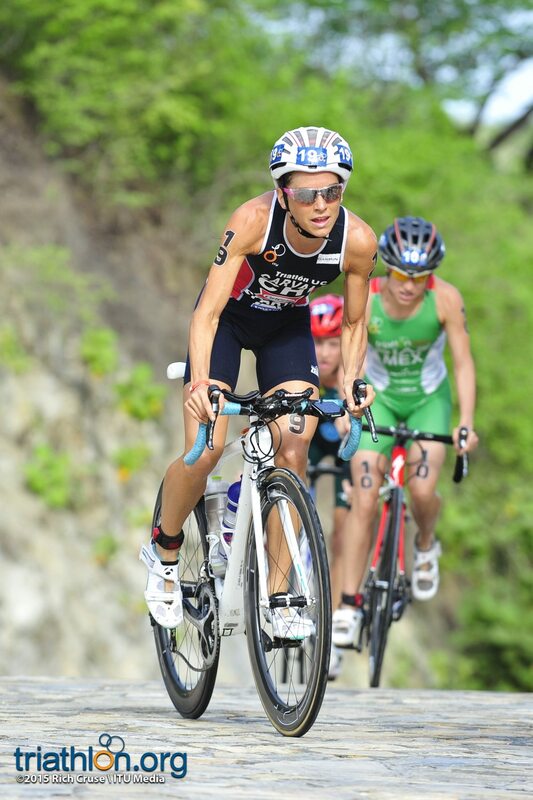 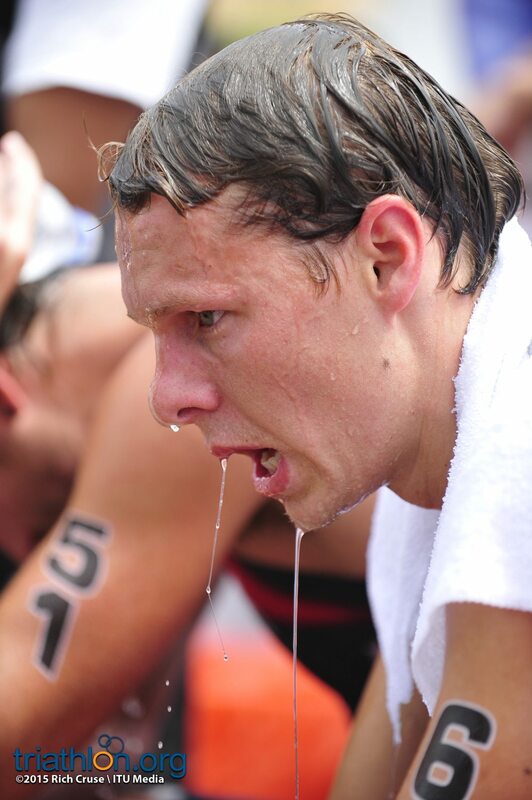 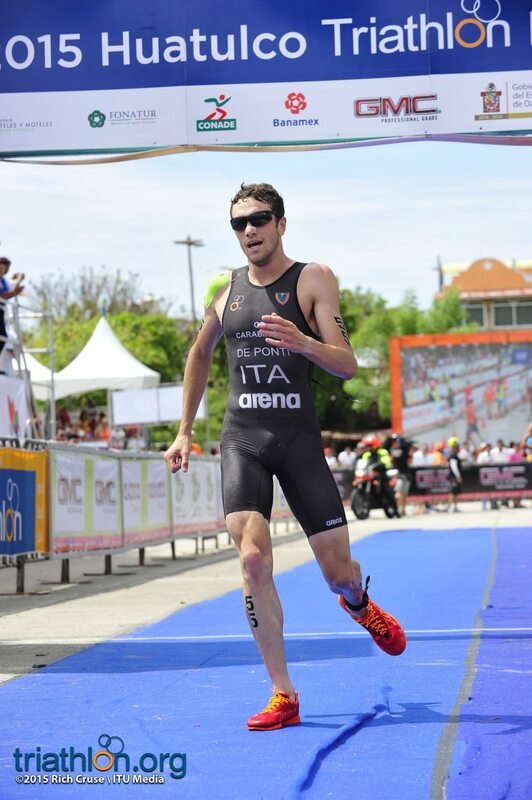 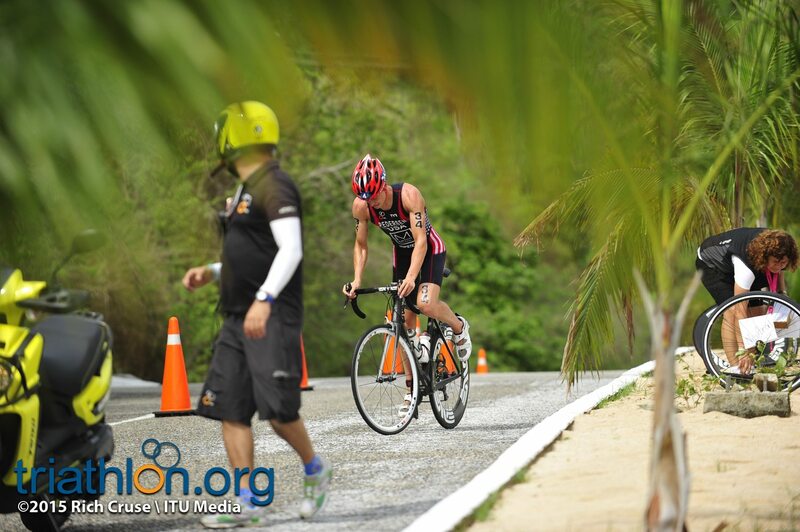 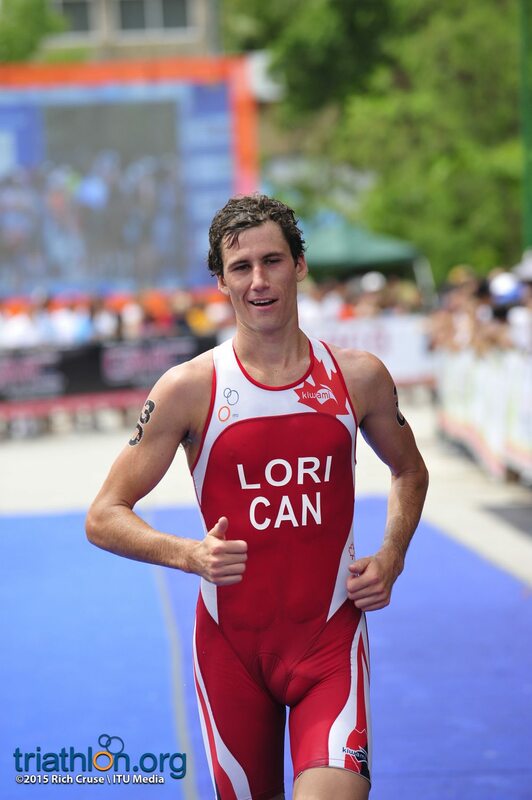 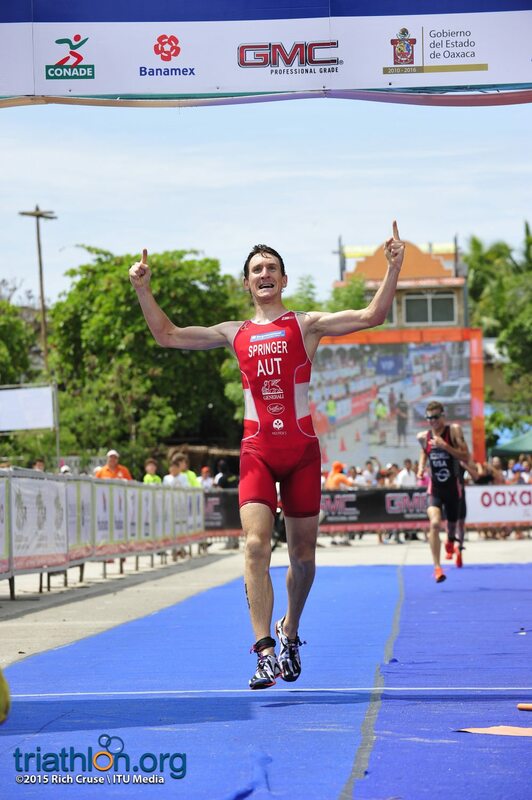 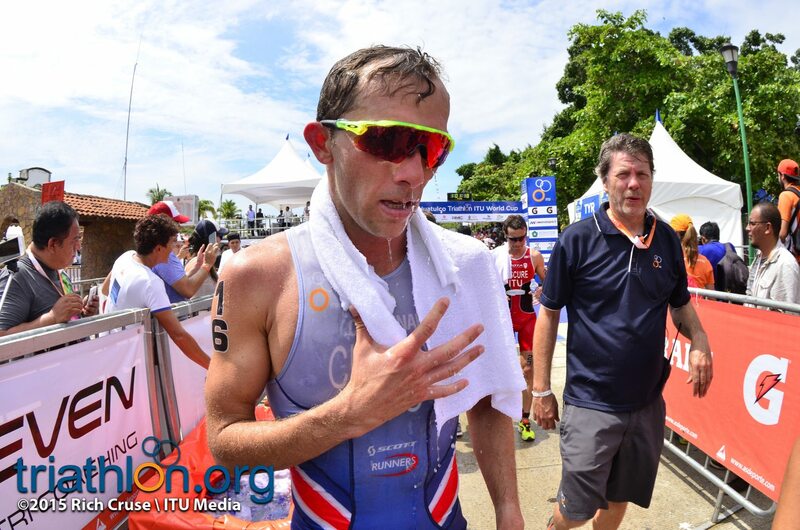 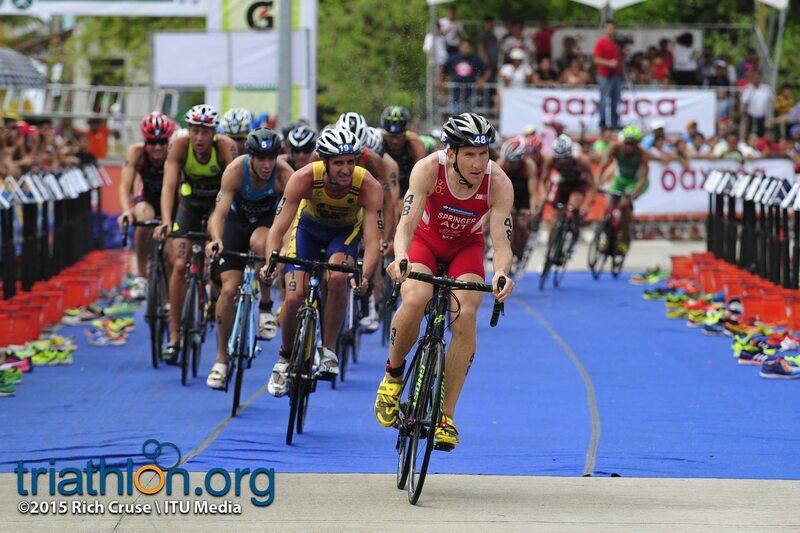 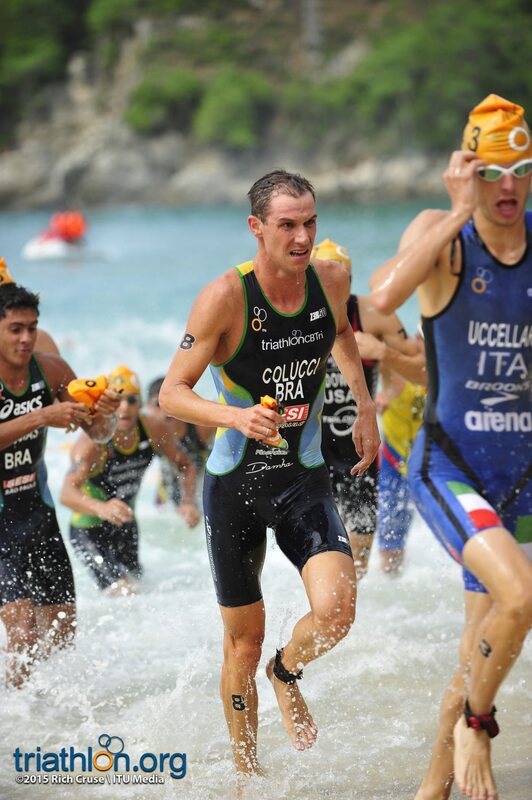 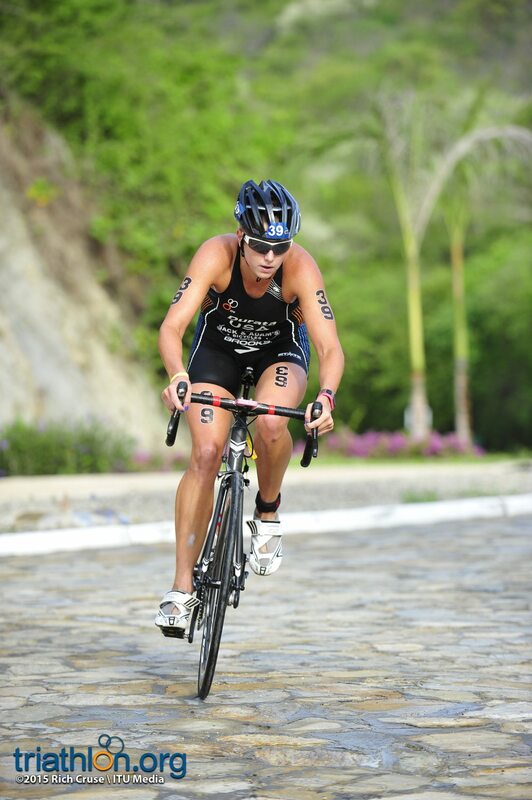 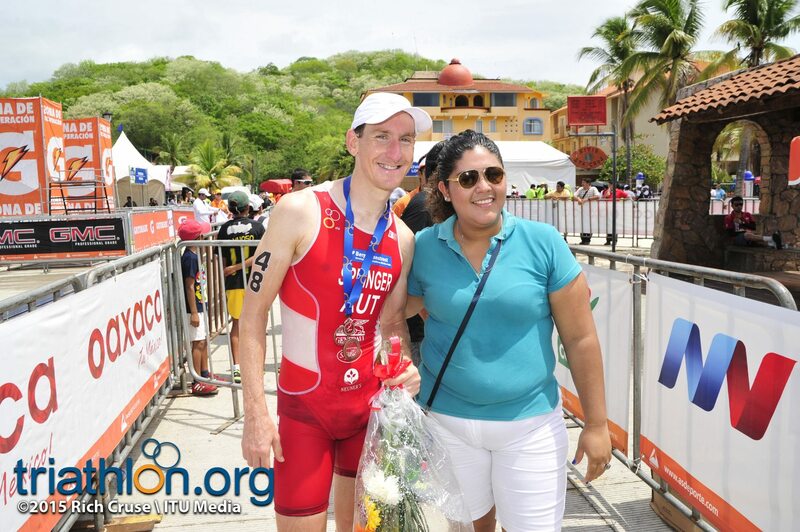 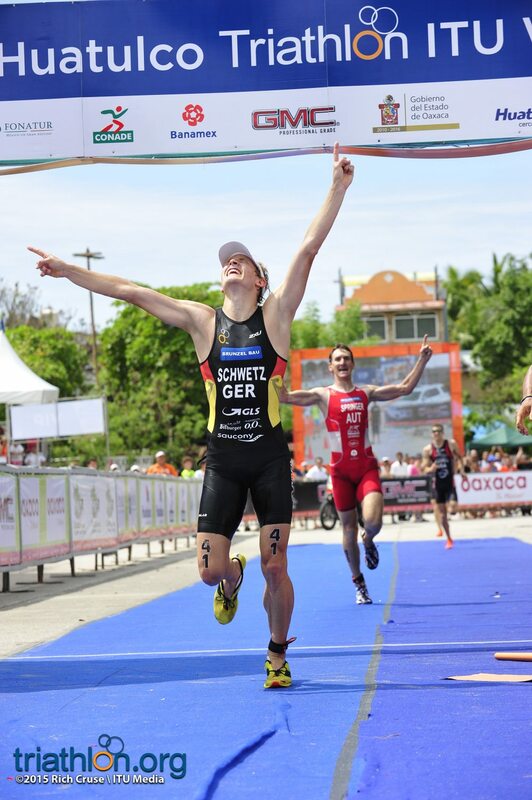 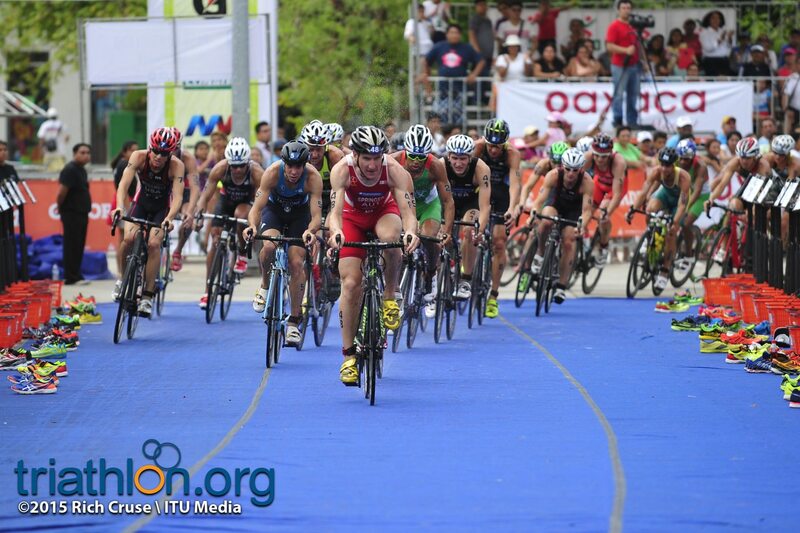 Lescure, who had the win in Huatulco wrapped up in 2014 until the final run meters when he faltered with heat exhaustion to see Taccone and Uccellari run past him, gunned it for a small break on the bike in the third lap. 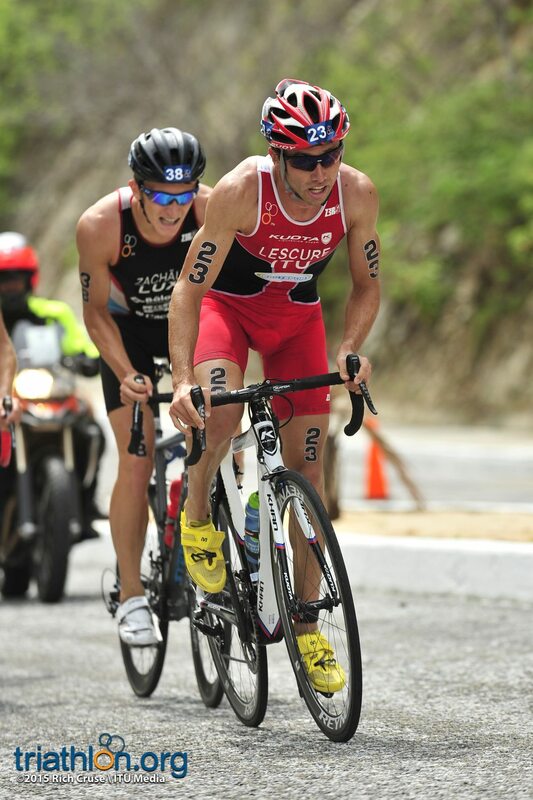 But a breakaway wasn’t in the cards for Lescure this year. 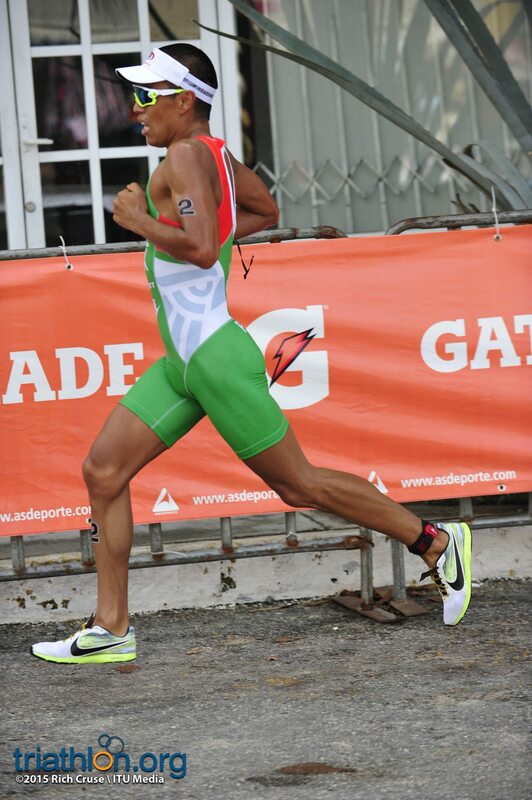 After being sucked back into the pack, the winner was to be decided on the 2-lap 5km run. 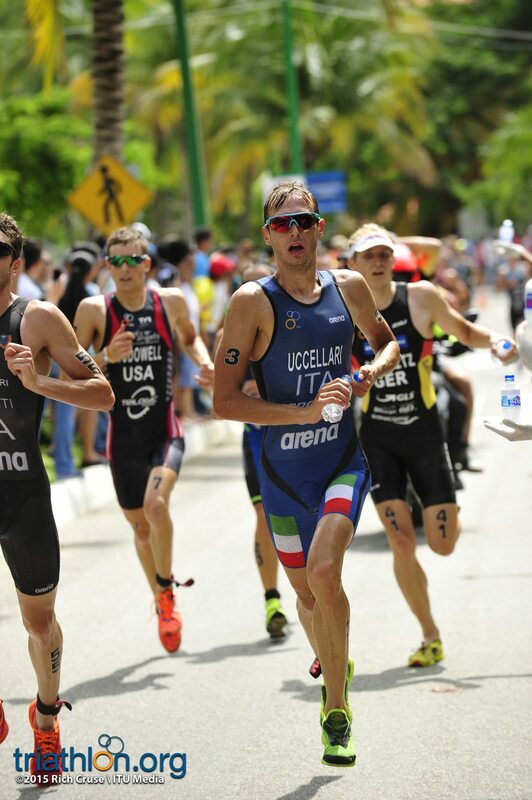 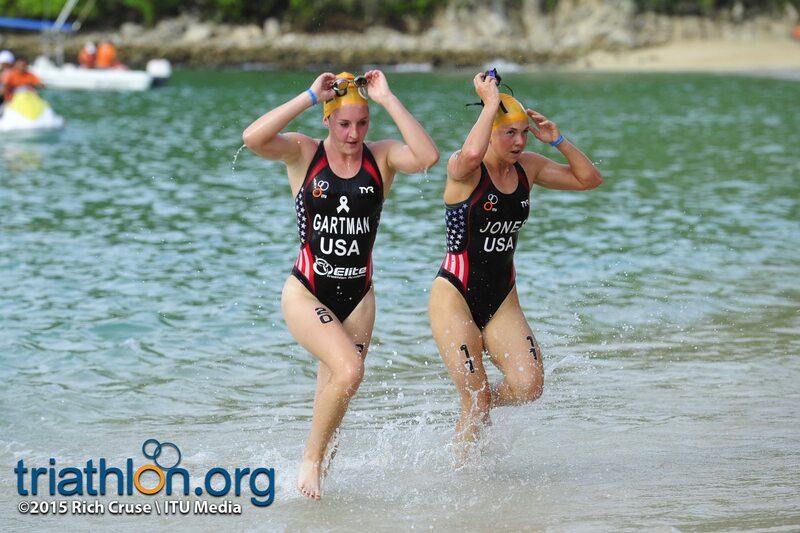 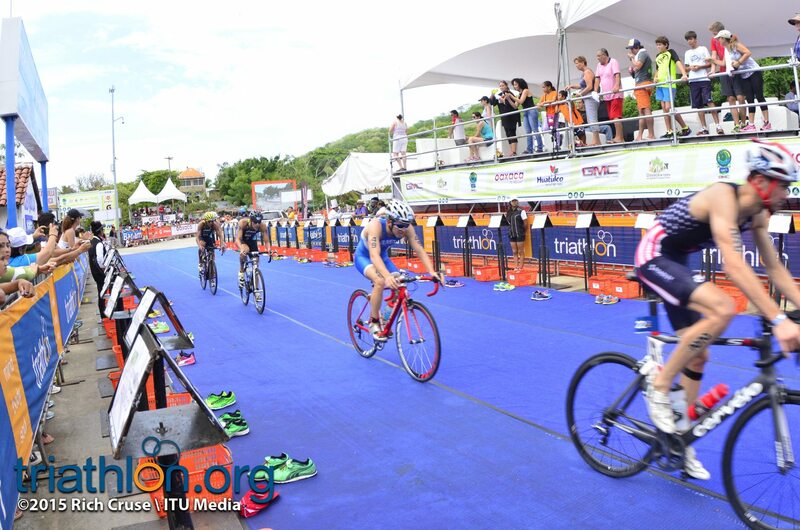 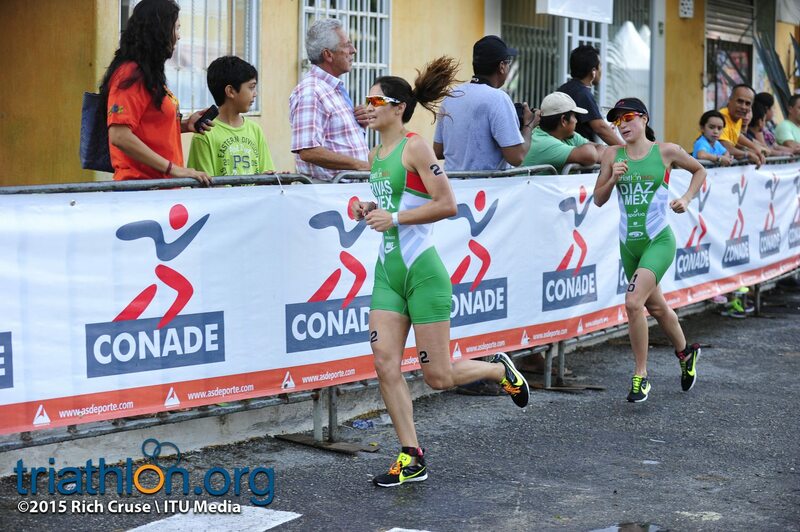 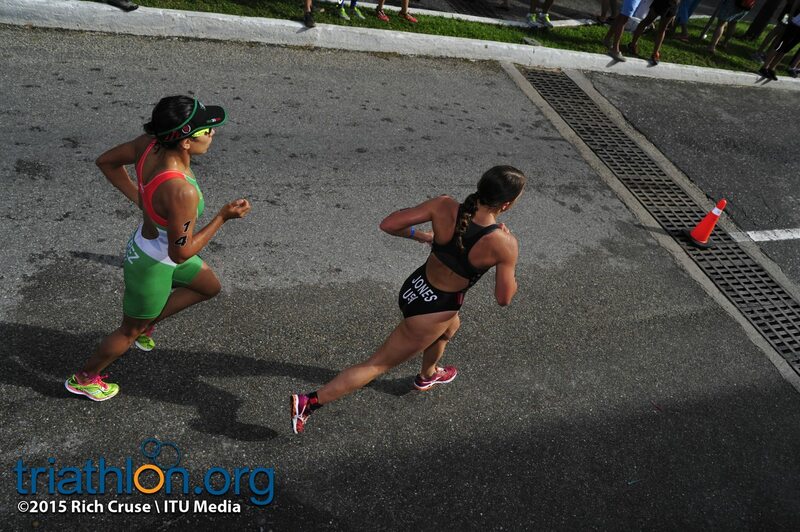 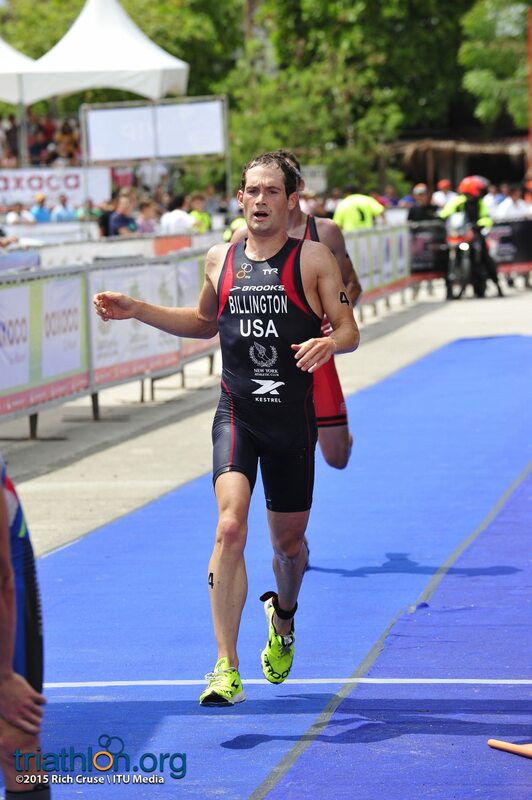 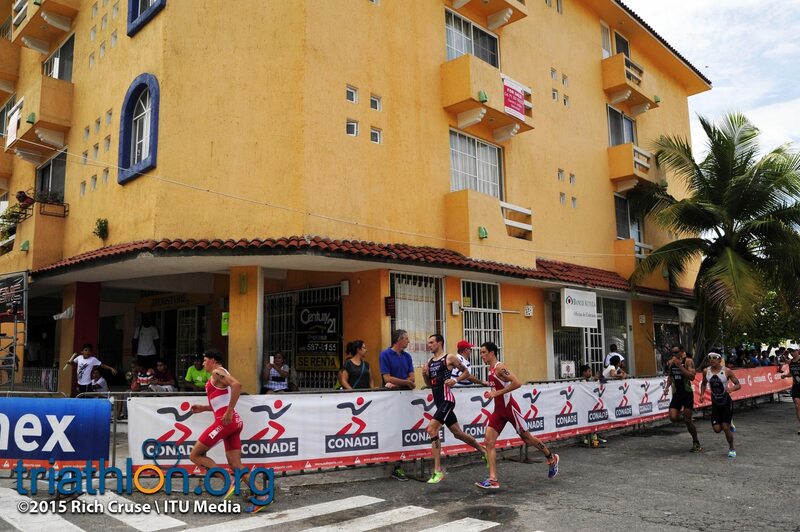 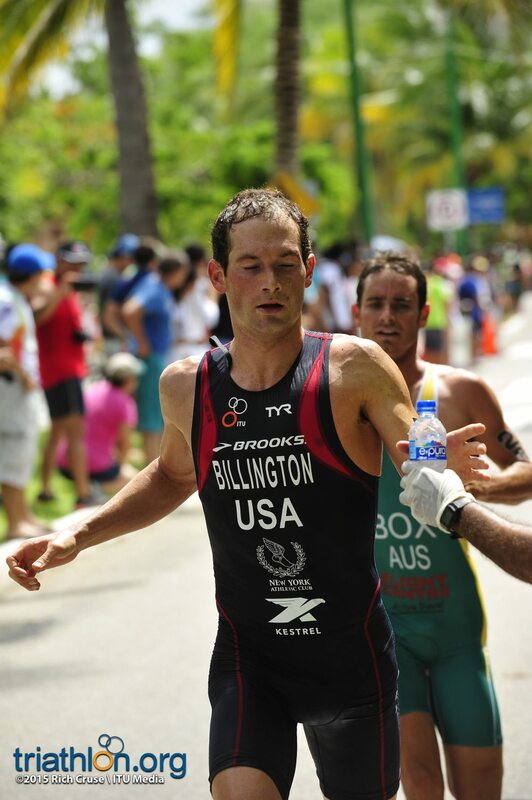 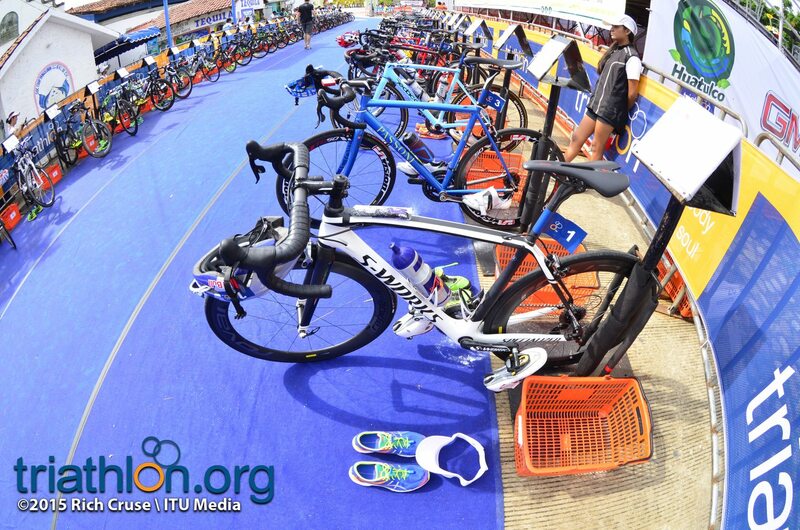 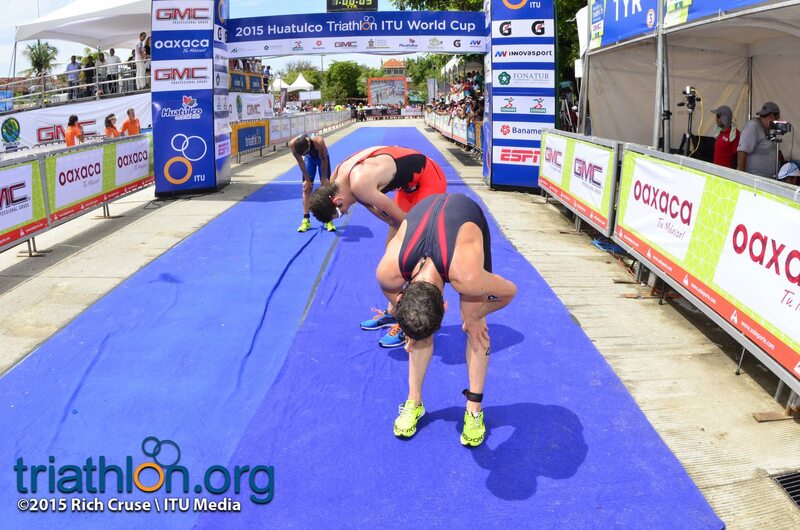 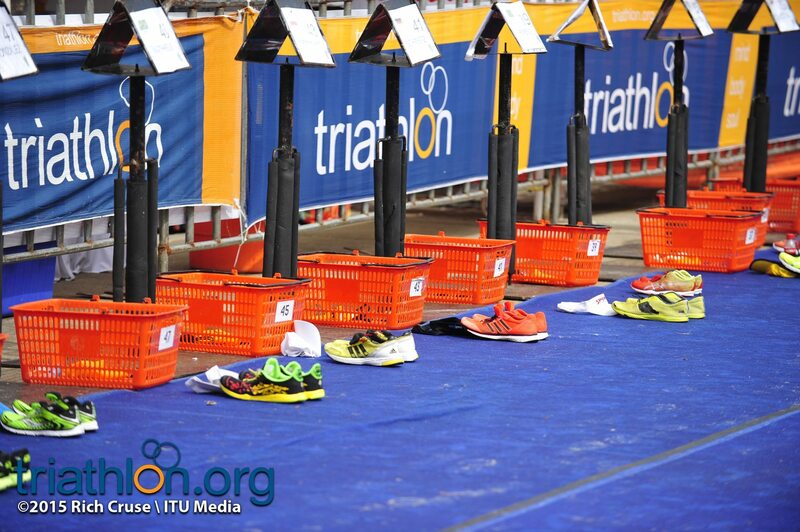 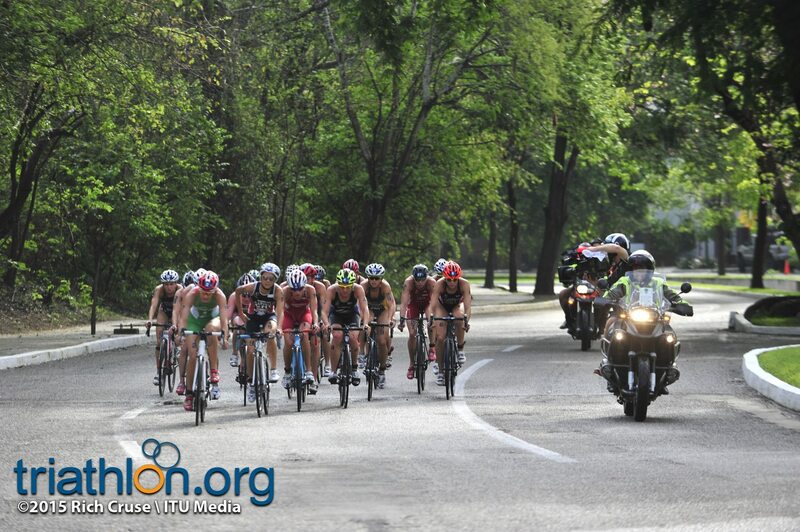 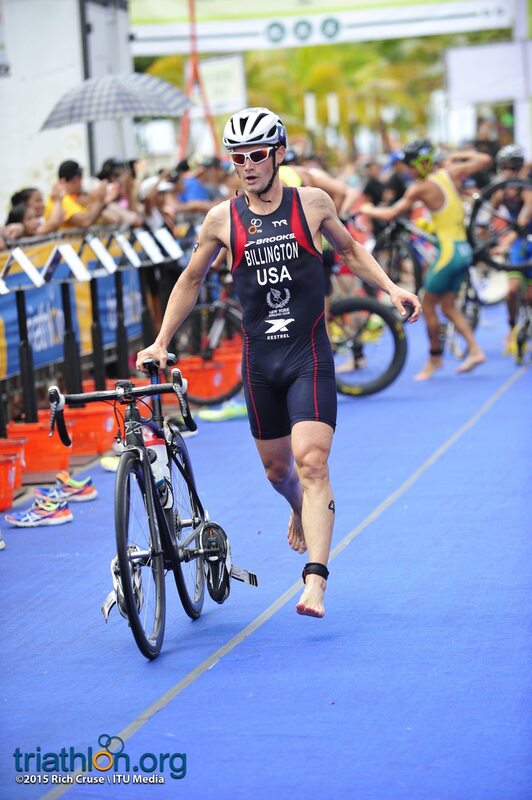 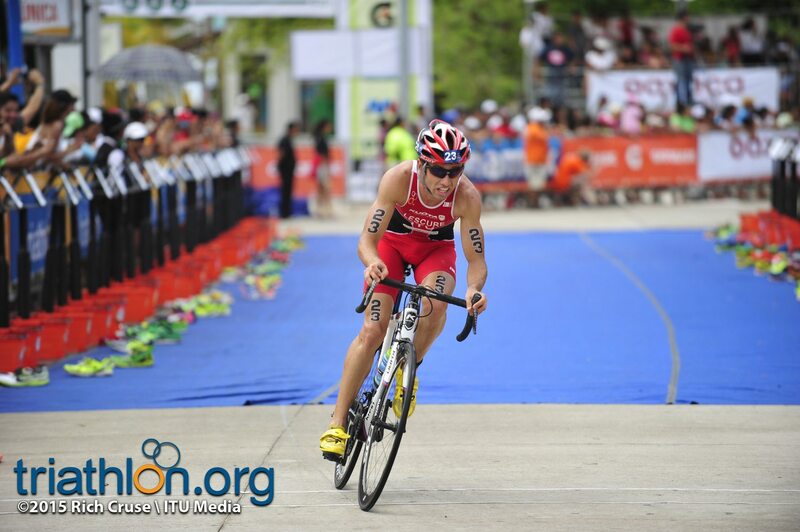 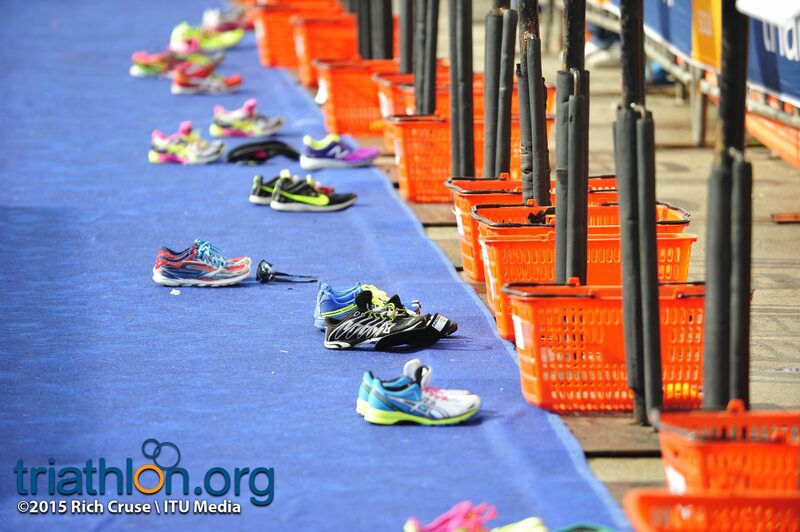 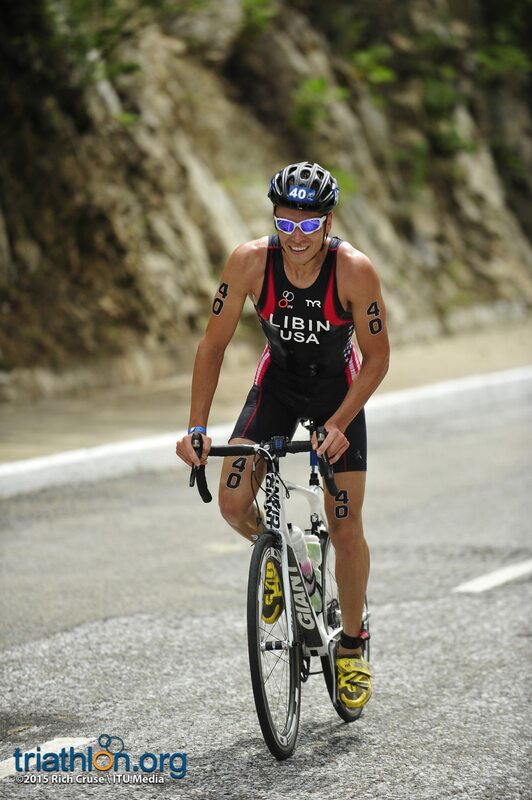 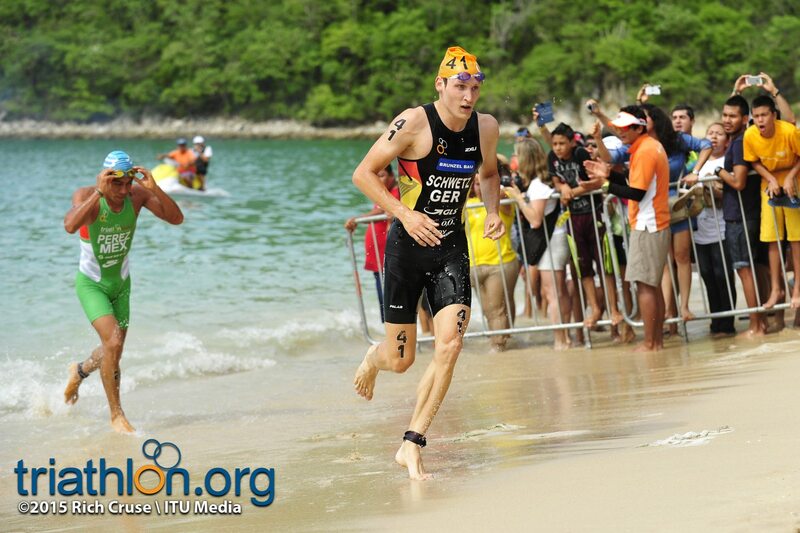 Uccellari and Gregory Billington (USA) made it out of T2 first, although no lead was to come of their speedy transition. 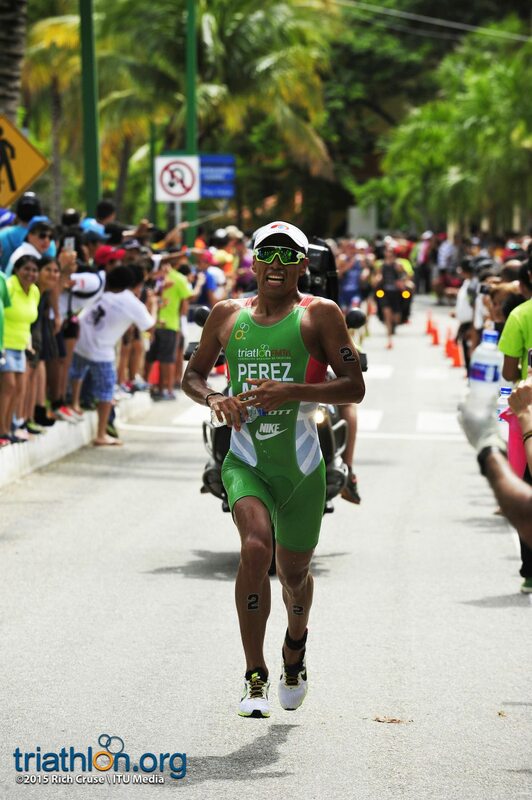 Instead, Perez powered away with the home crowd roaring him on after the first lap. 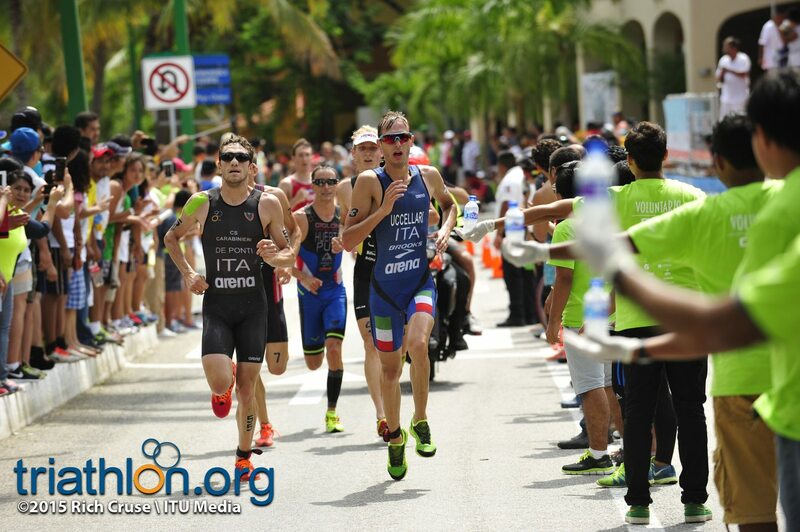 Ten seconds behind him, Massimo De Ponti (ITA), Schwetz, Kevin Mcdowell (USA) and Manuel Huerta (PUR) ran shoulder to shoulder. 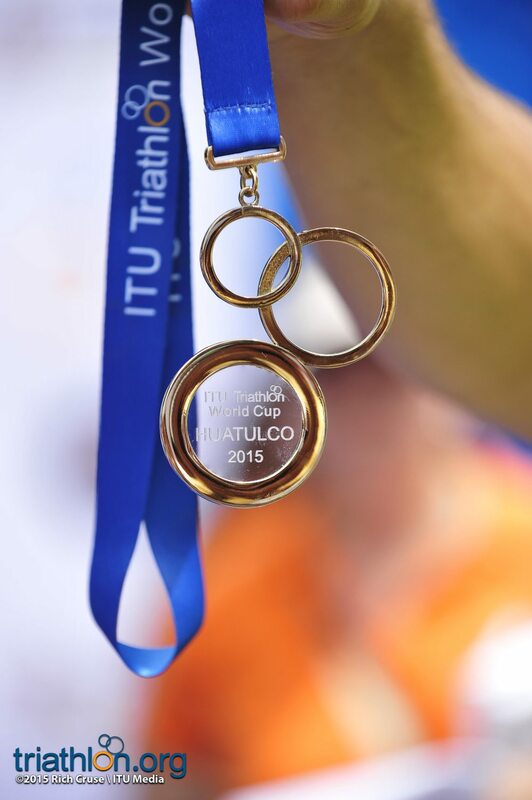 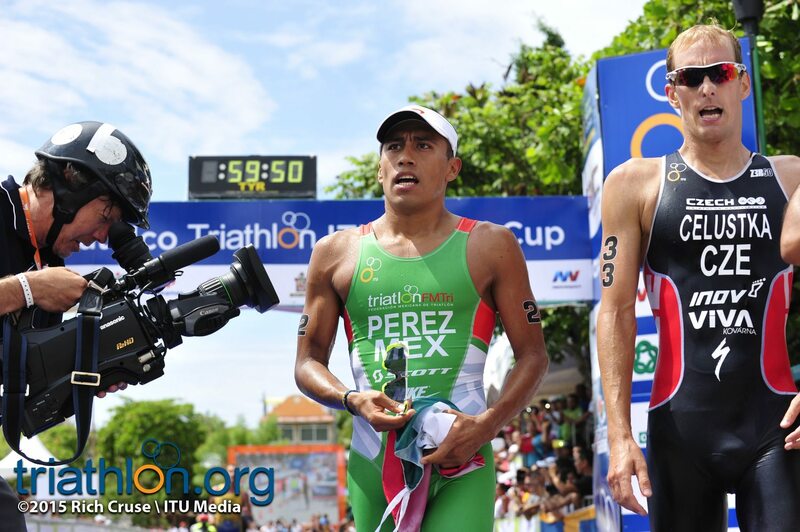 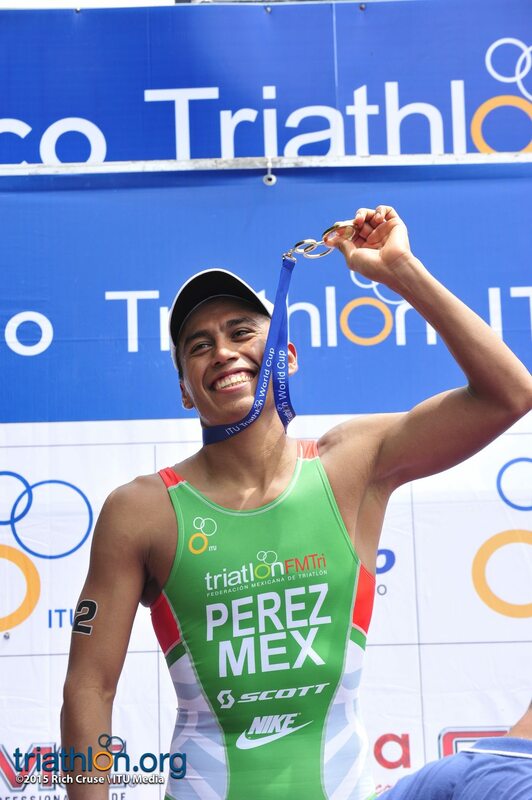 Perez maintained his pace on the second lap to score gold and steal a piece of history in the process. 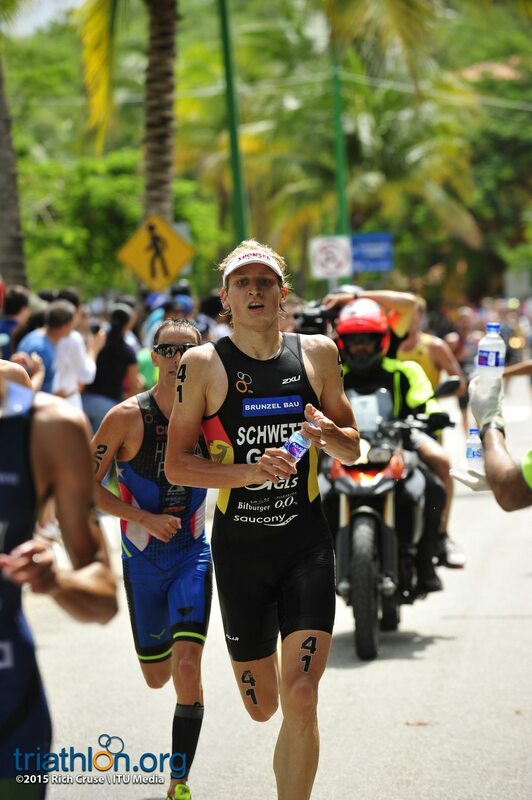 Further back, Schwetz was the first to drop the pack, a move that saw him score silver. 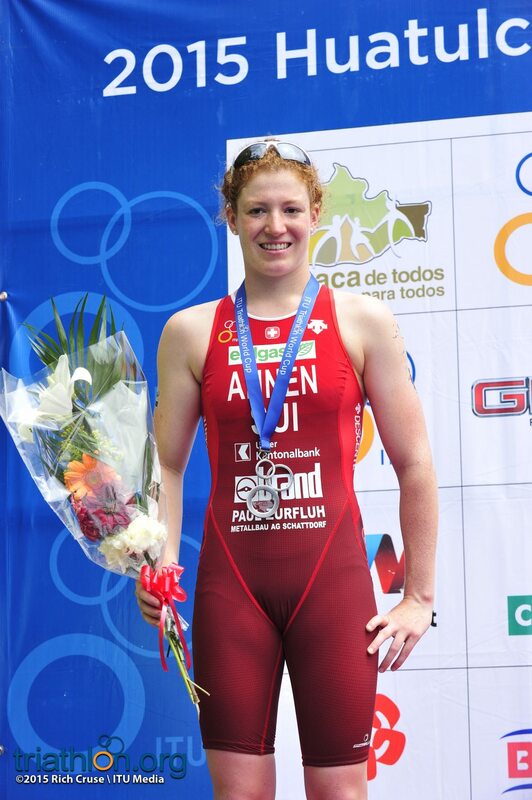 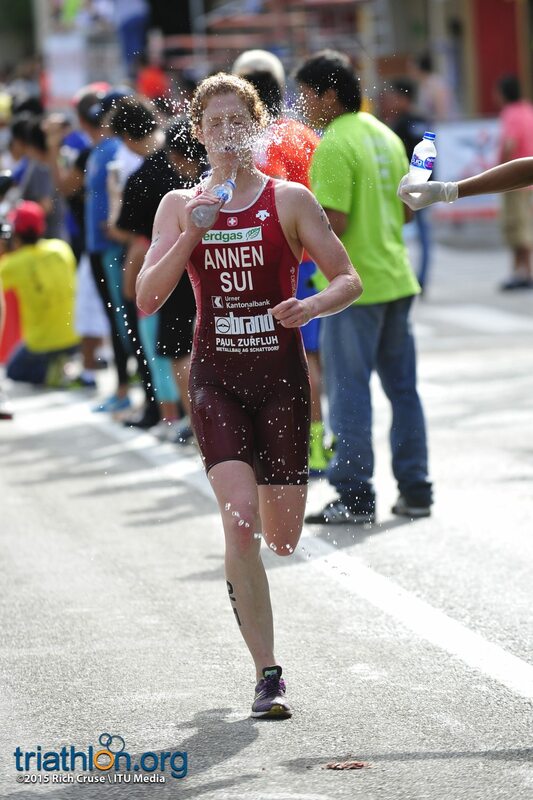 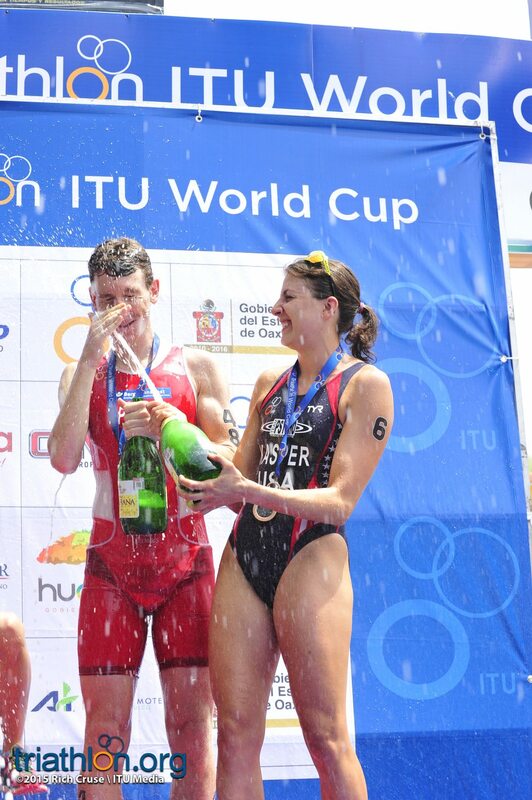 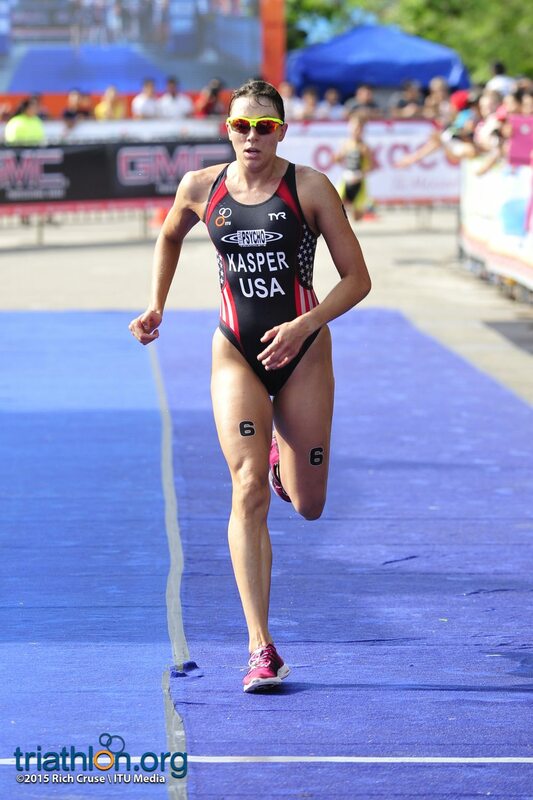 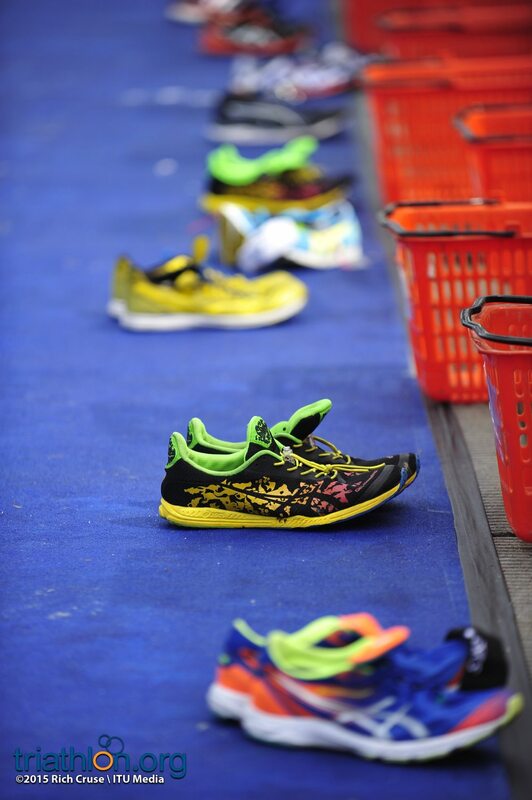 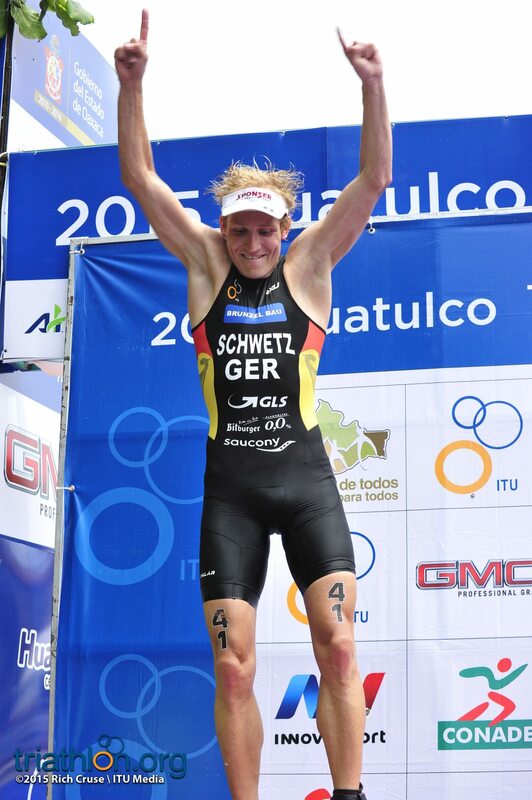 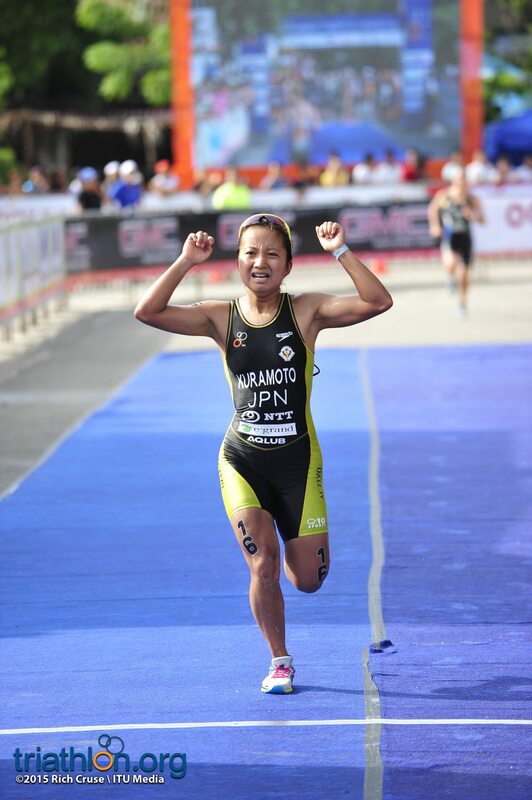 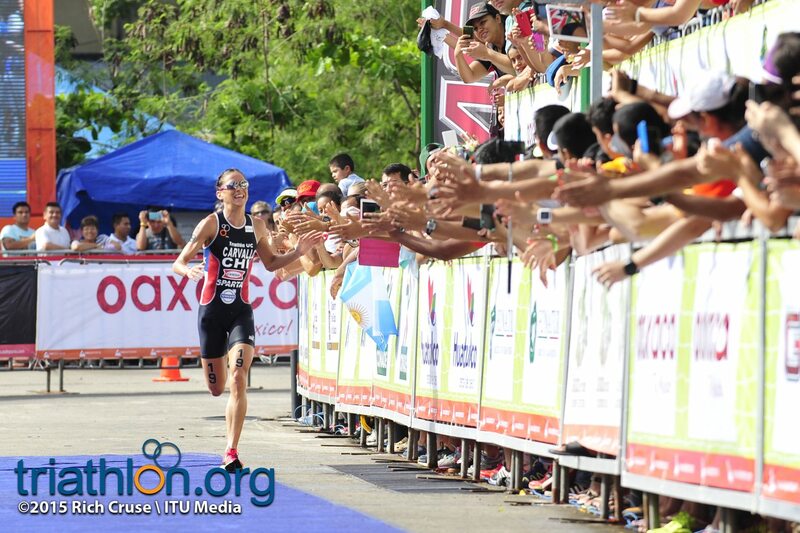 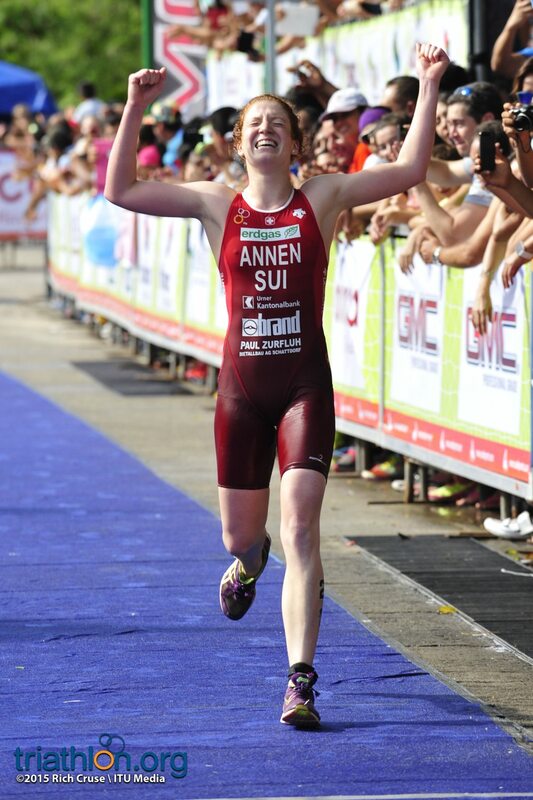 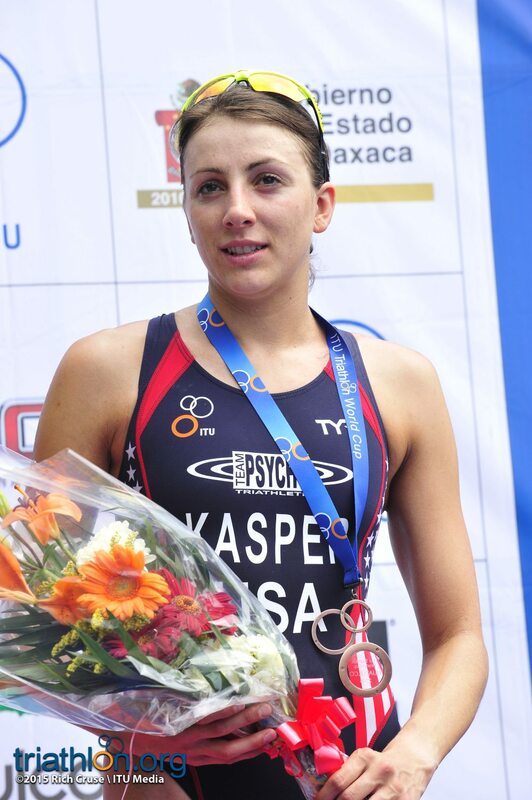 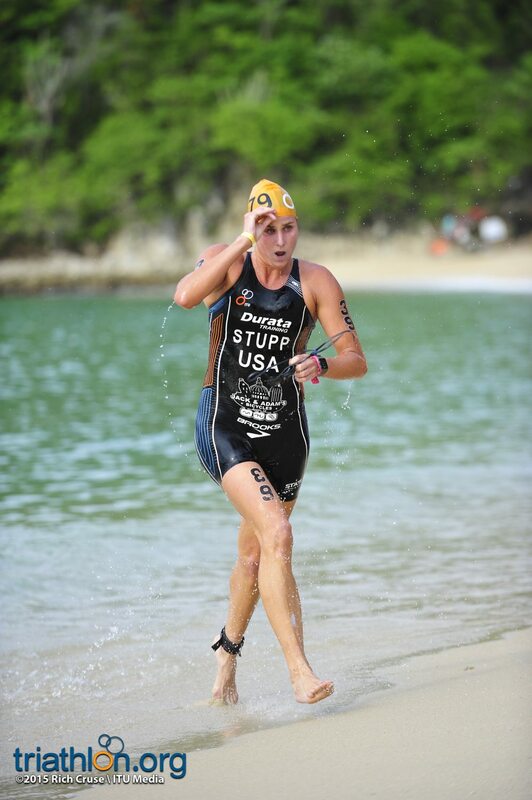 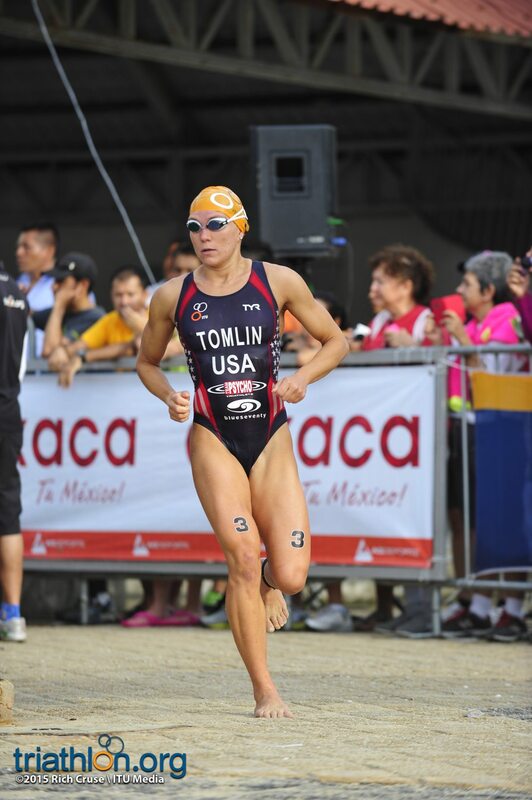 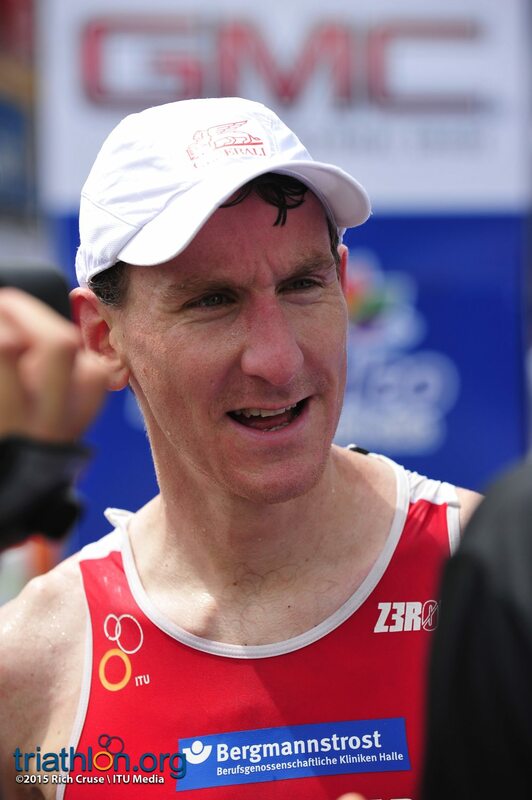 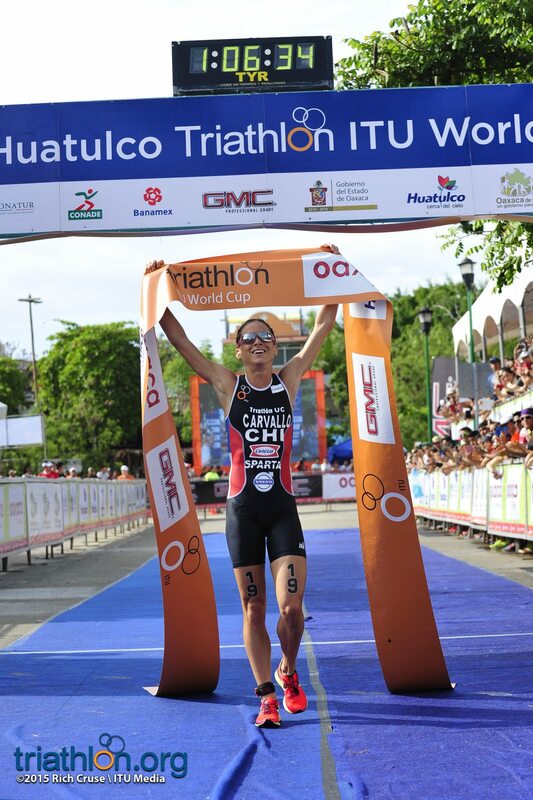 “I am so happy for this race because it was my first time winning here. 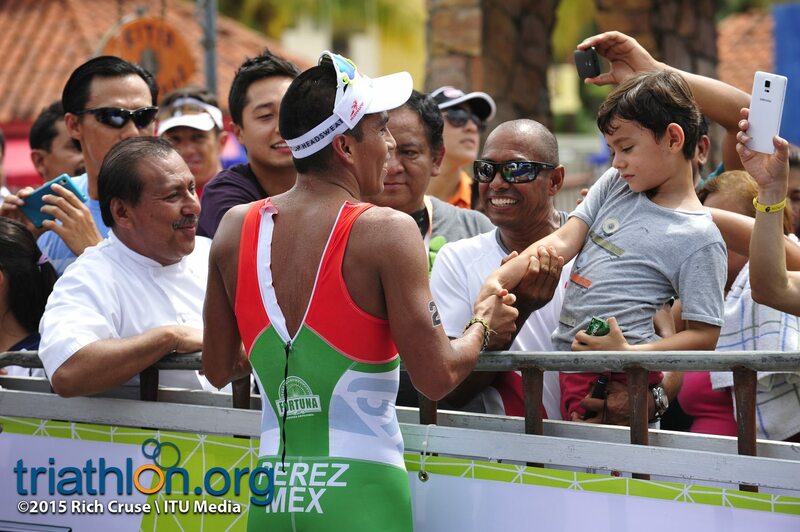 I am so happy for the Mexican team, my coach, my family and the support from the people. 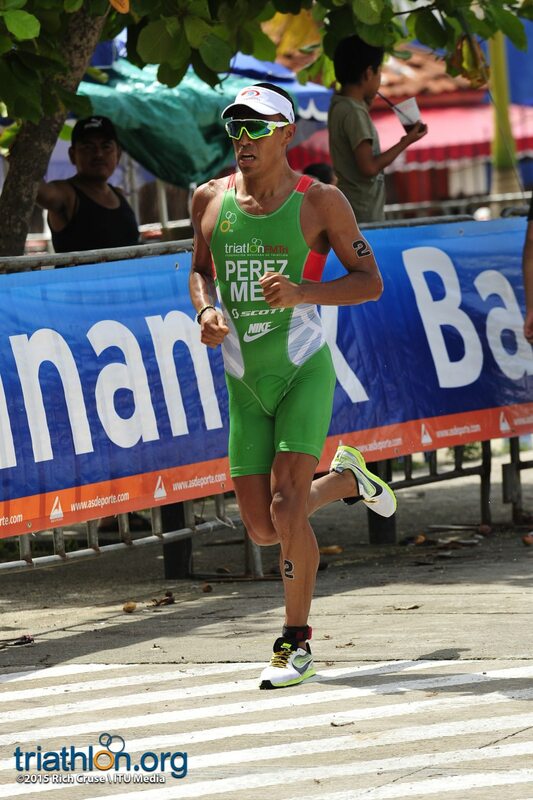 The guys were very fast, but I tried to respond and attack in the second leg, I felt very good,” said Perez. 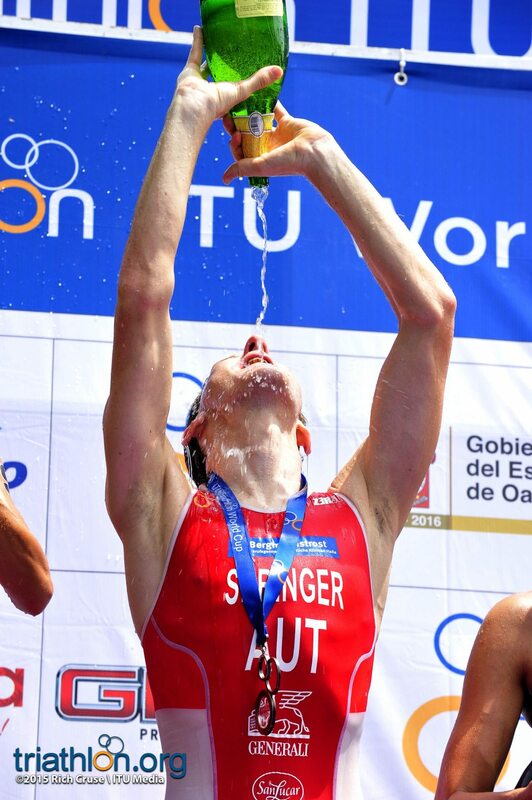 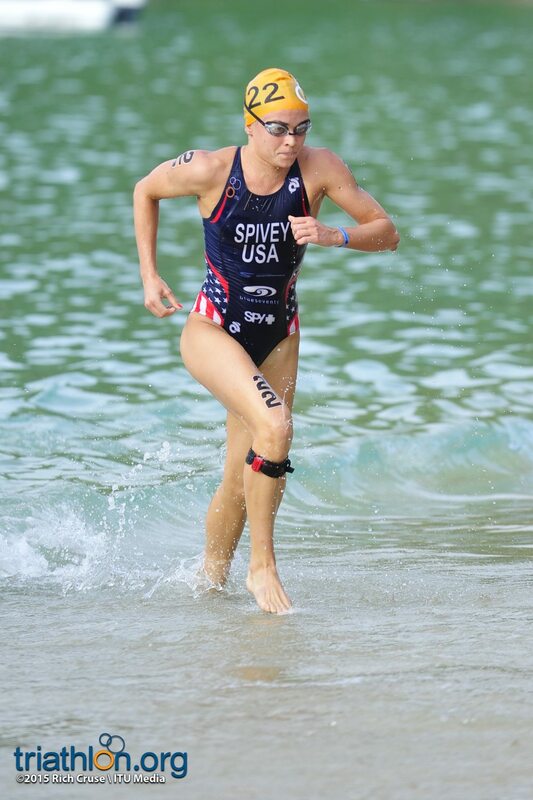 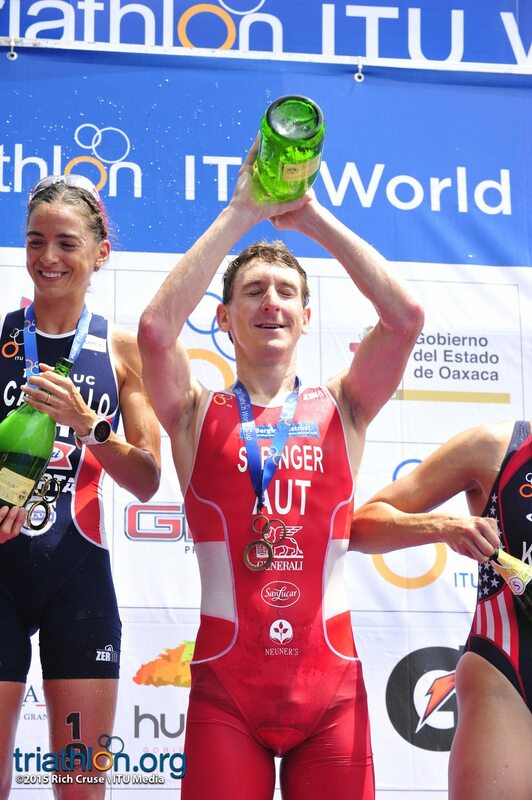 Meanwhile Springer, who nearly secured a World Cup podium in Huatulco in 2008 but fell just short in fourth, decided not to let history repeat itself. 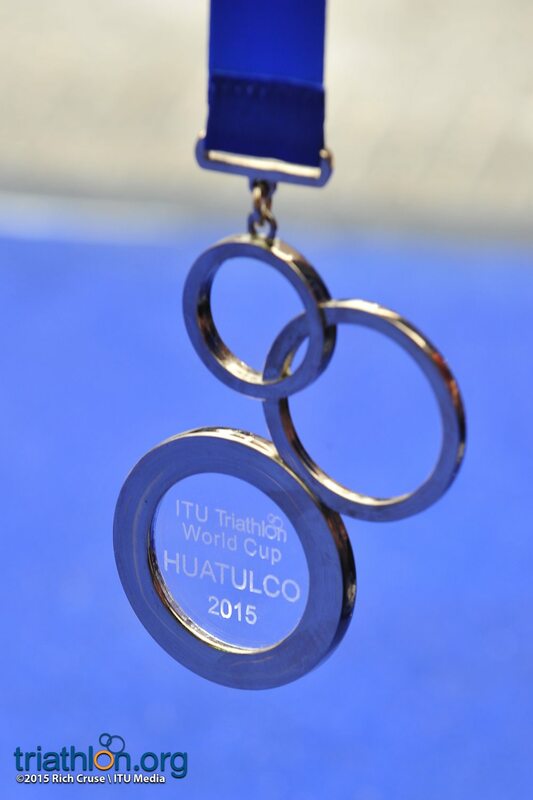 Turning his speed up to turbo just in time, he ran past a crew of men for bronze. 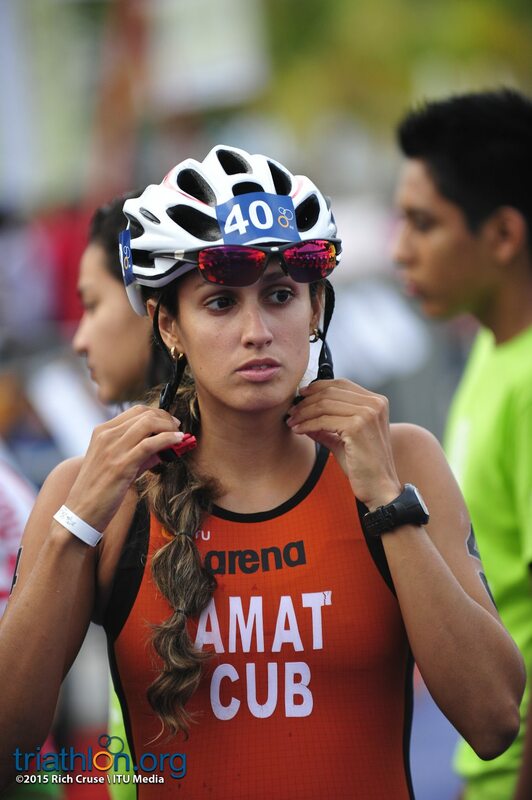 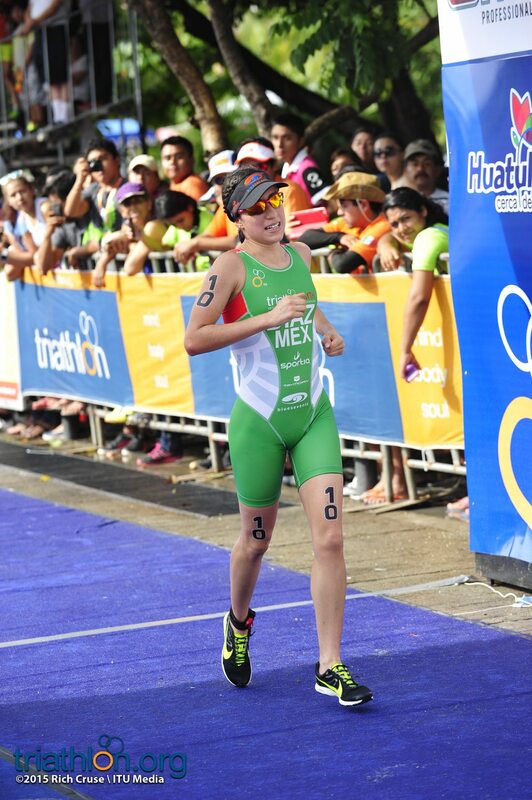 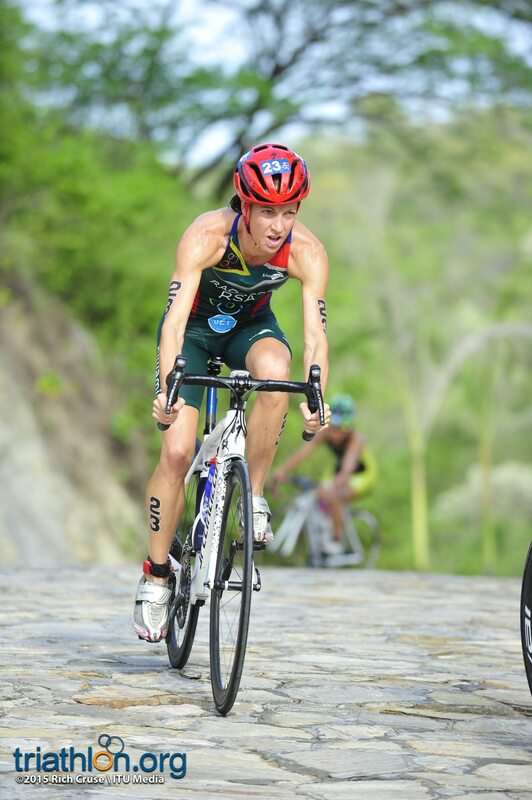 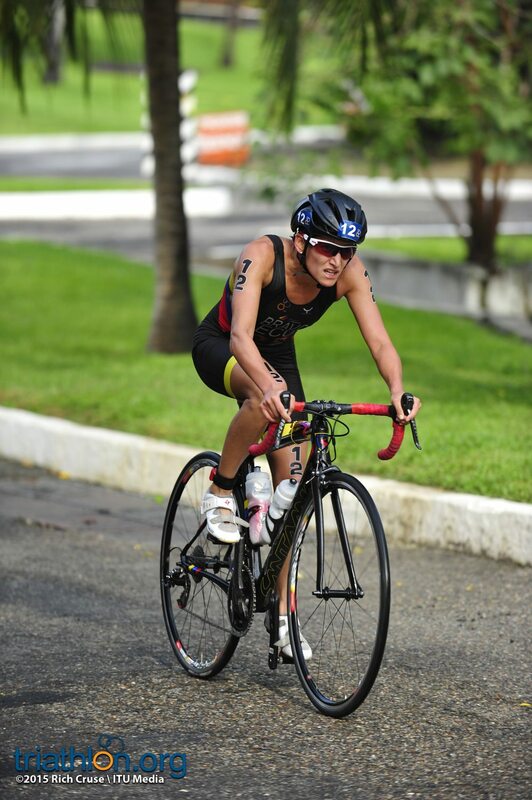 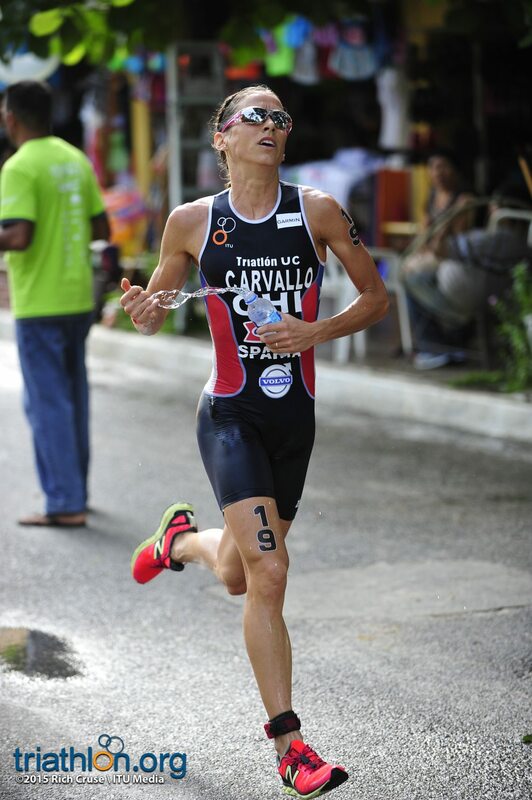 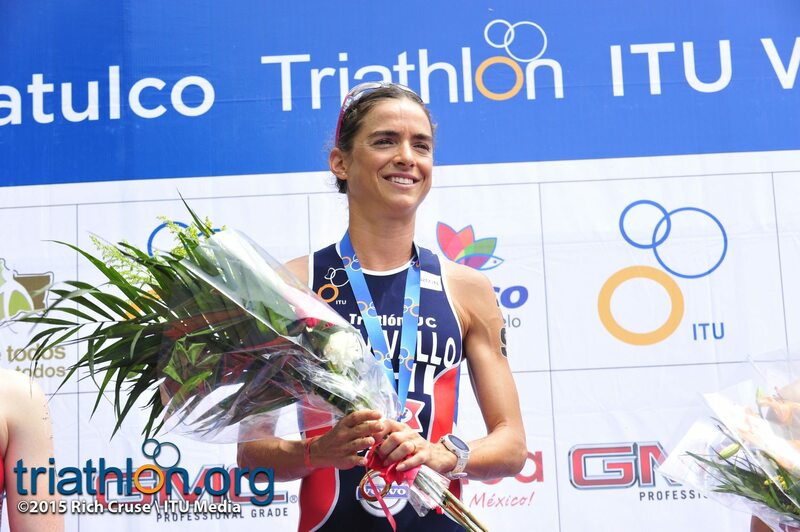 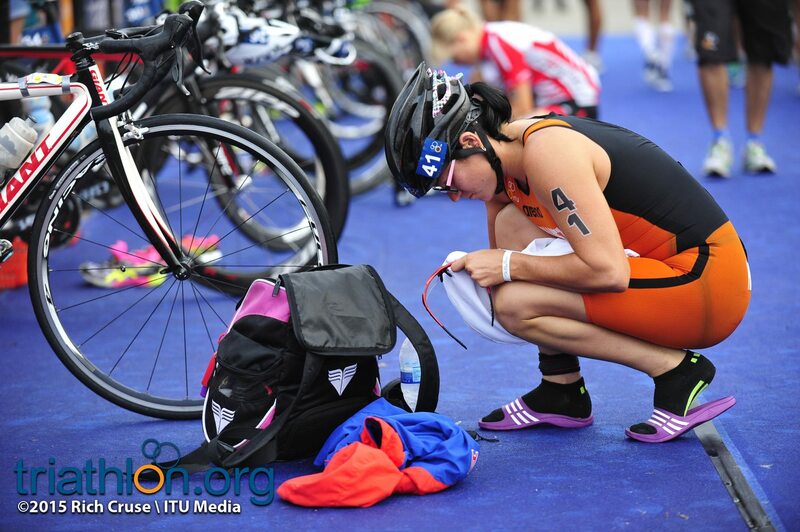 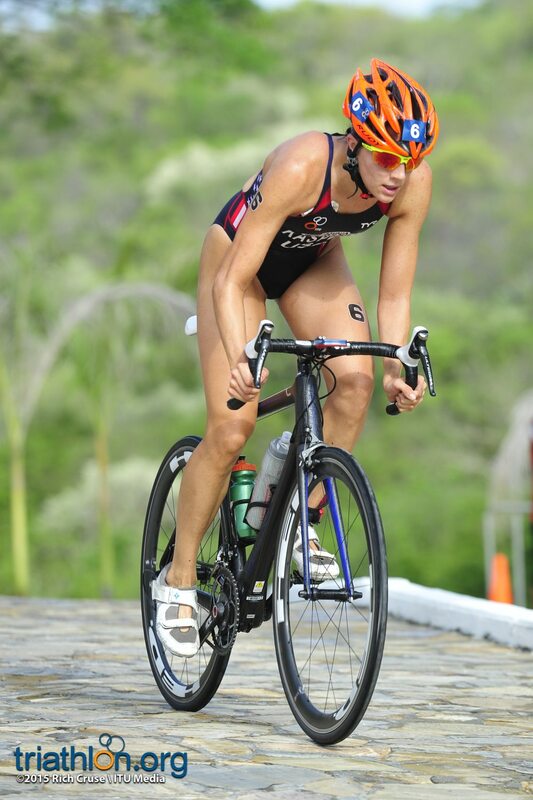 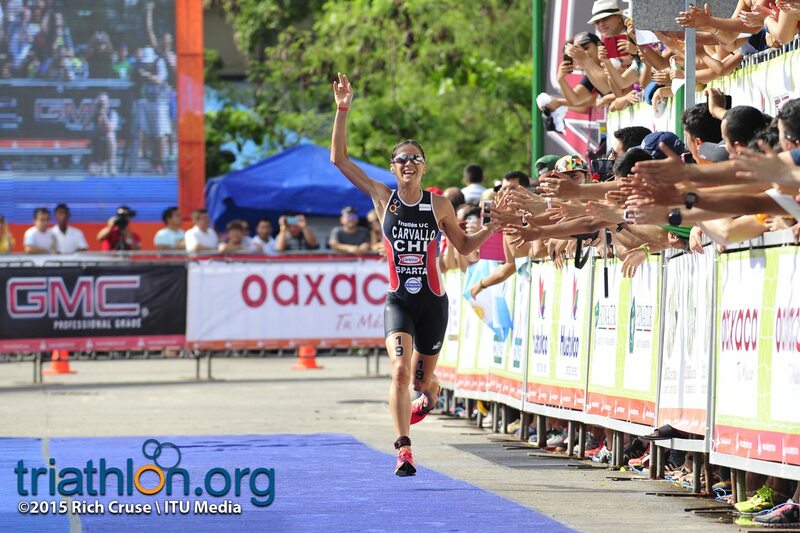 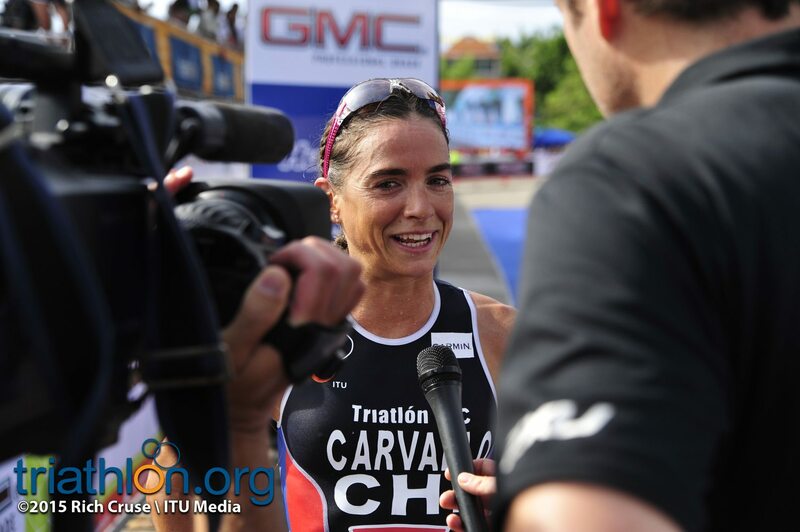 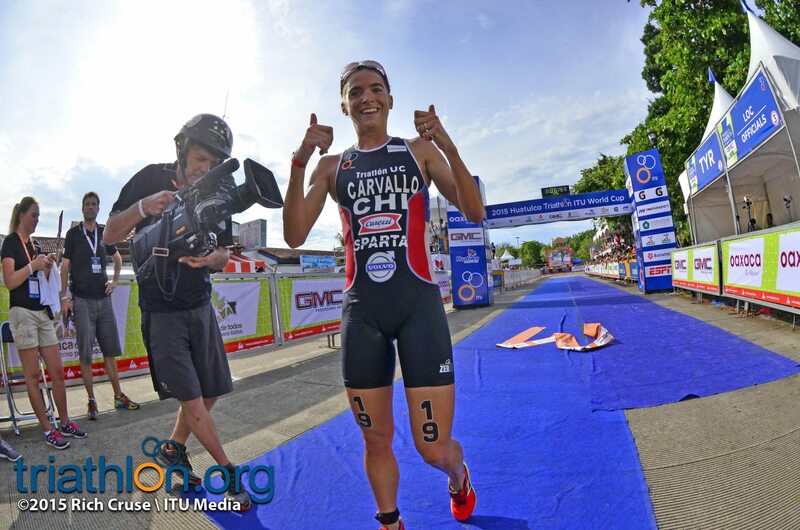 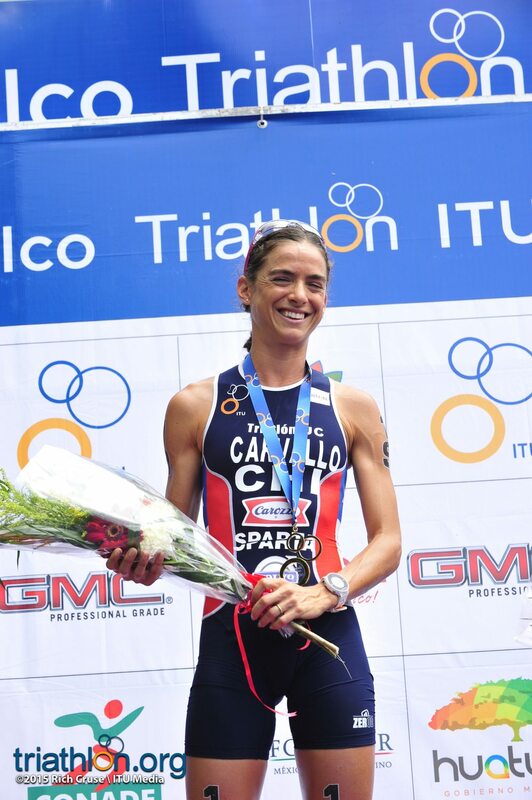 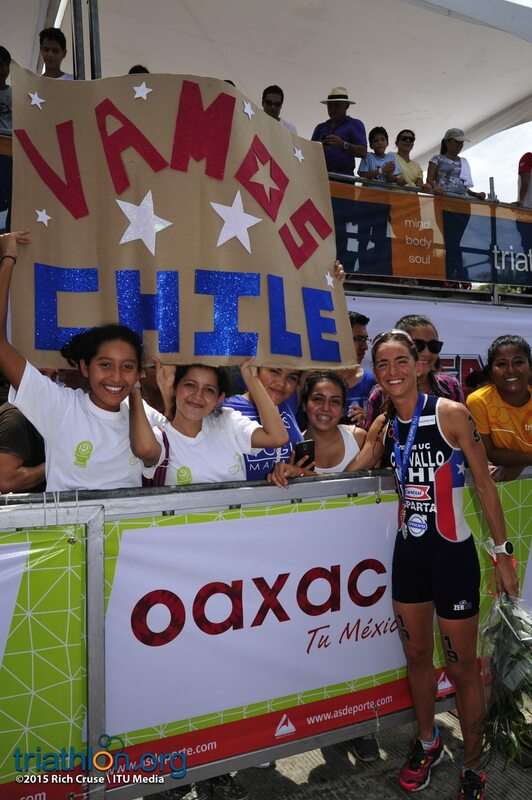 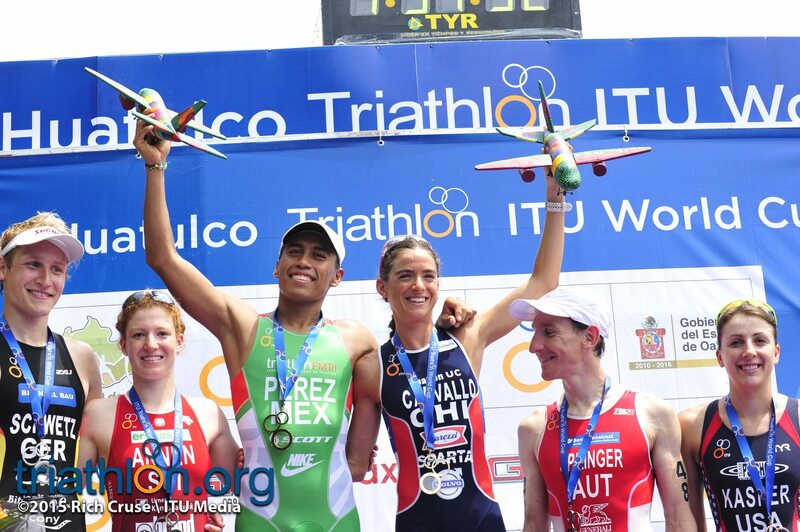 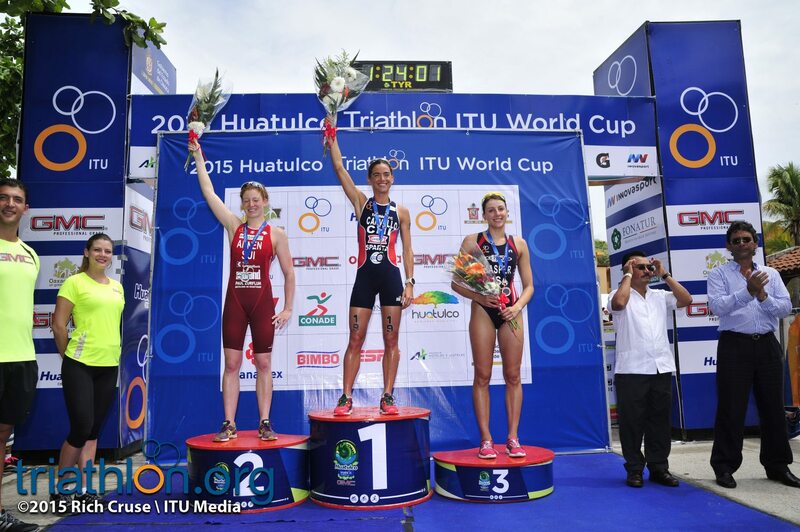 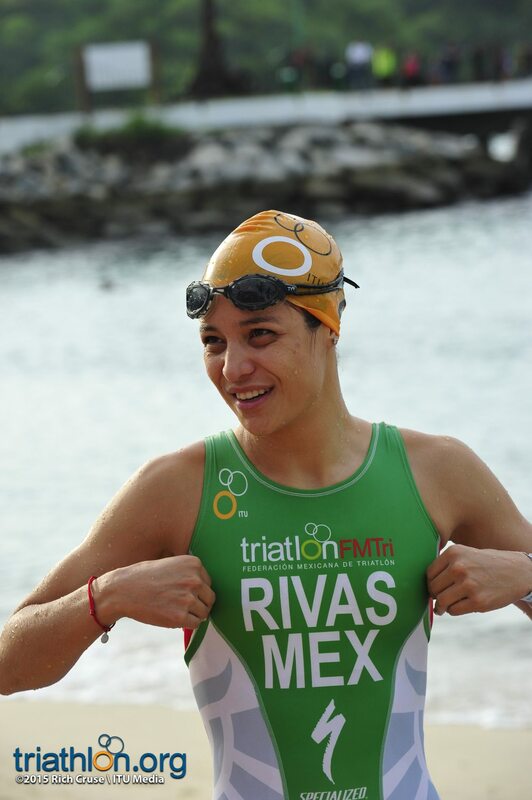 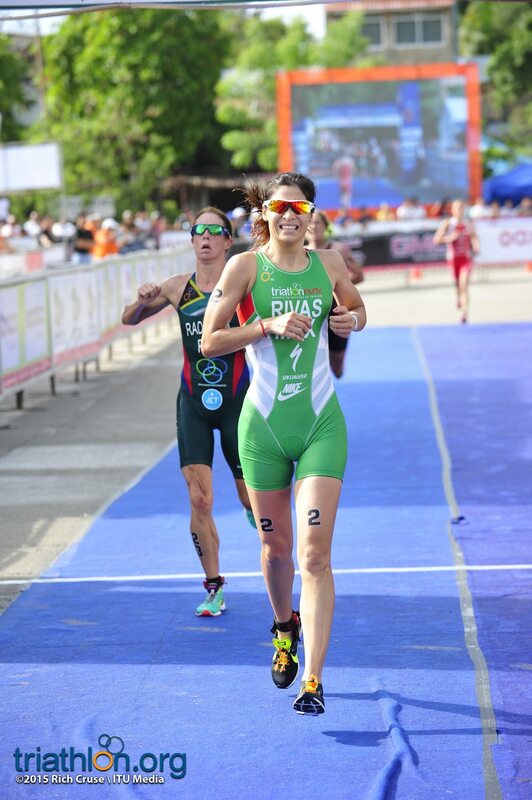 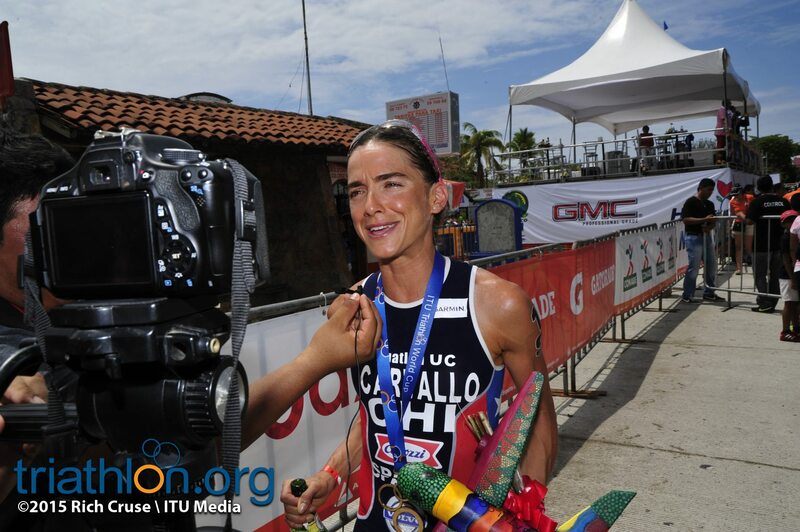 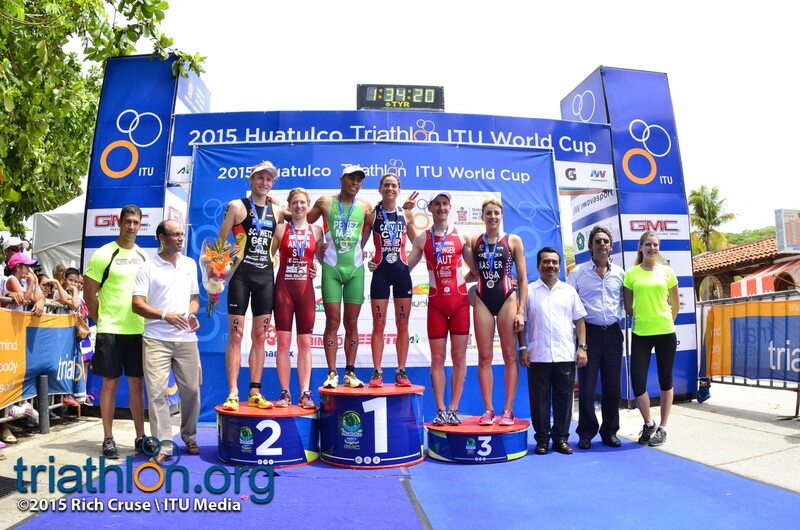 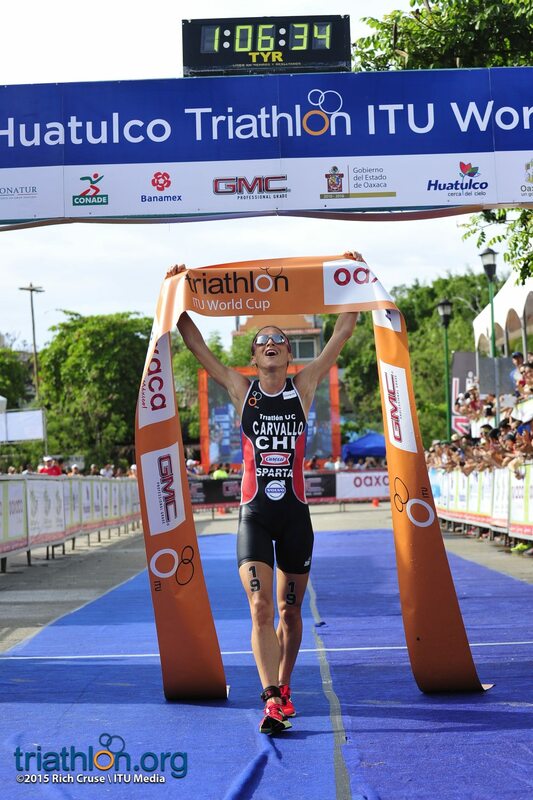 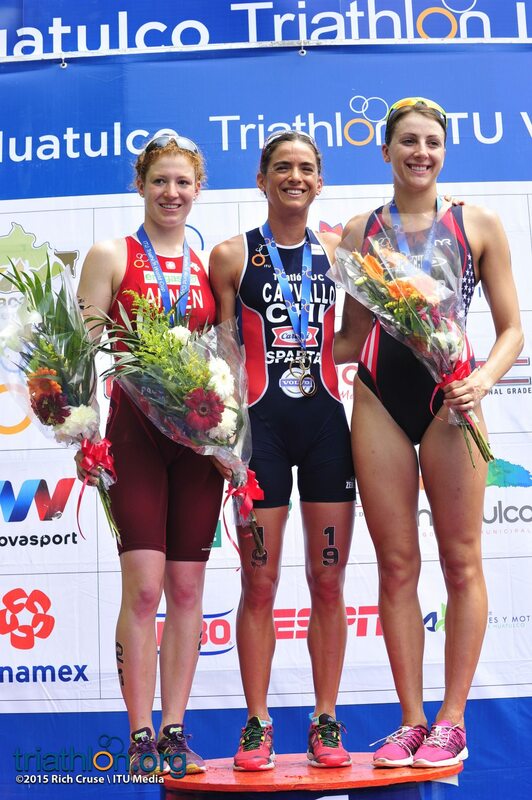 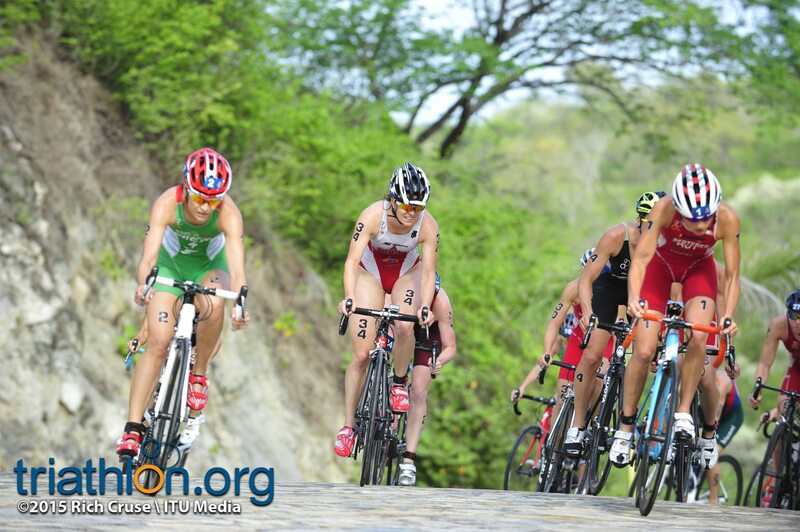 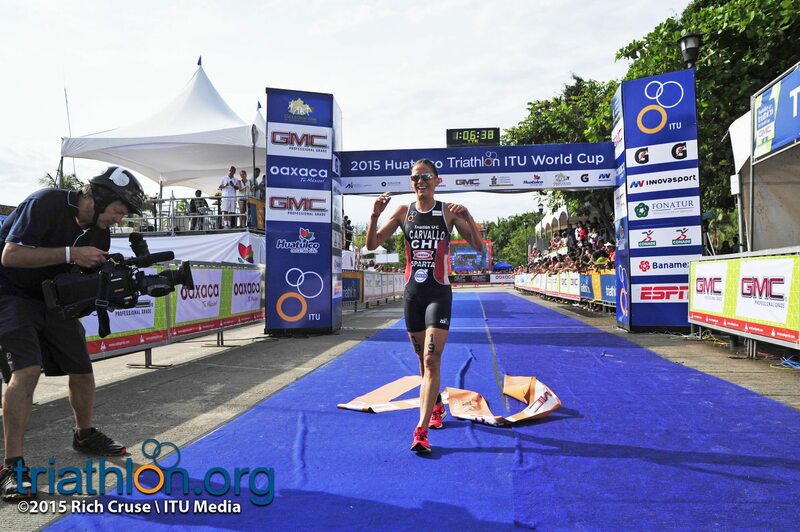 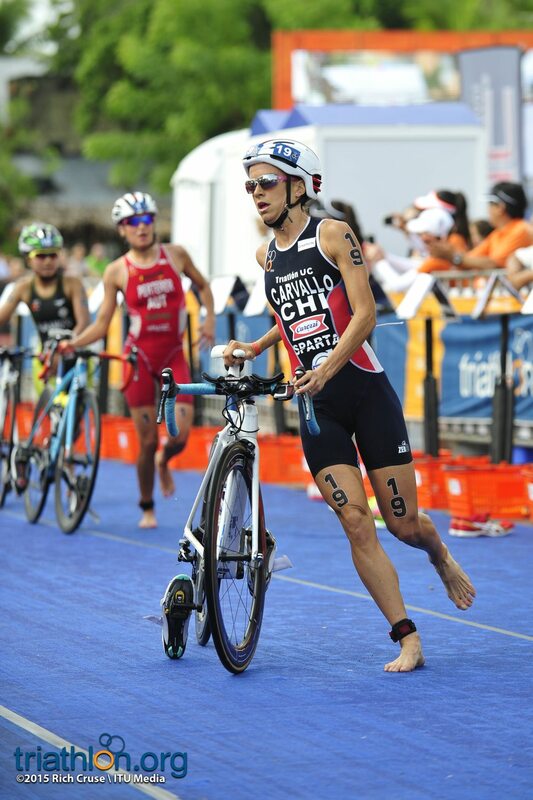 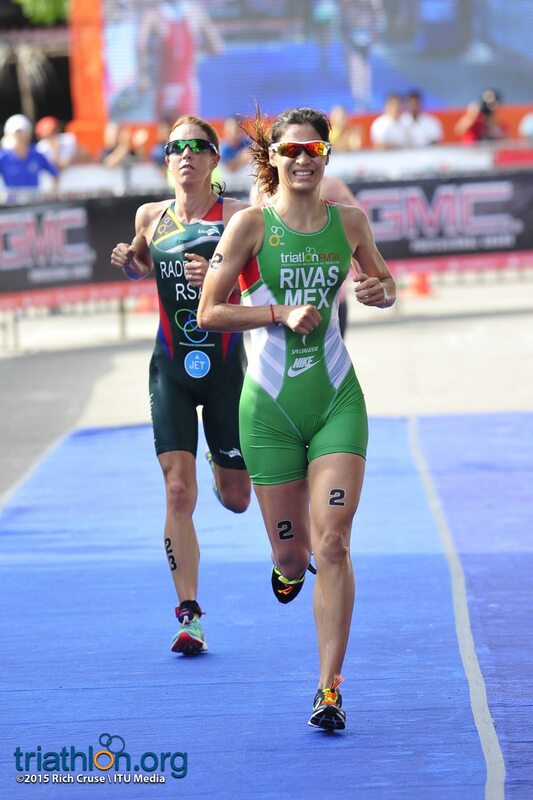 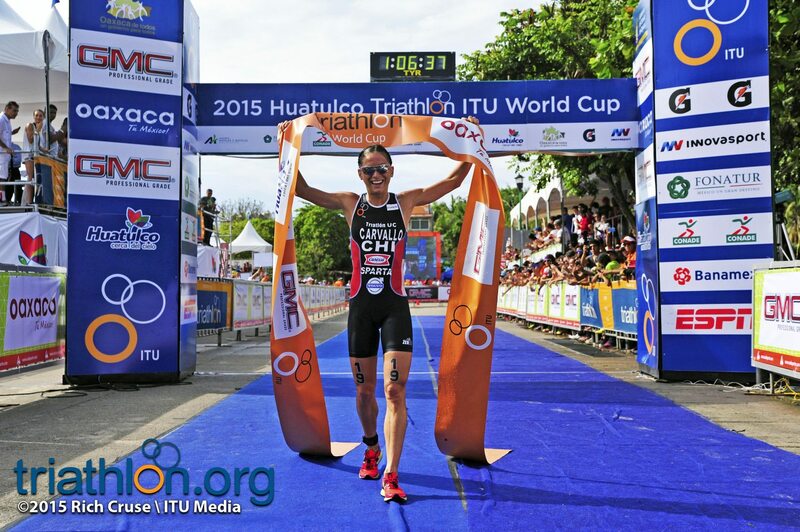 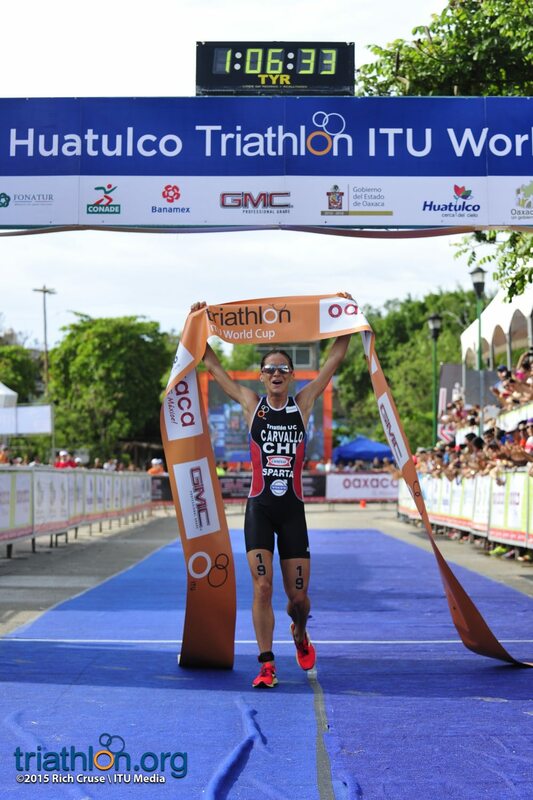 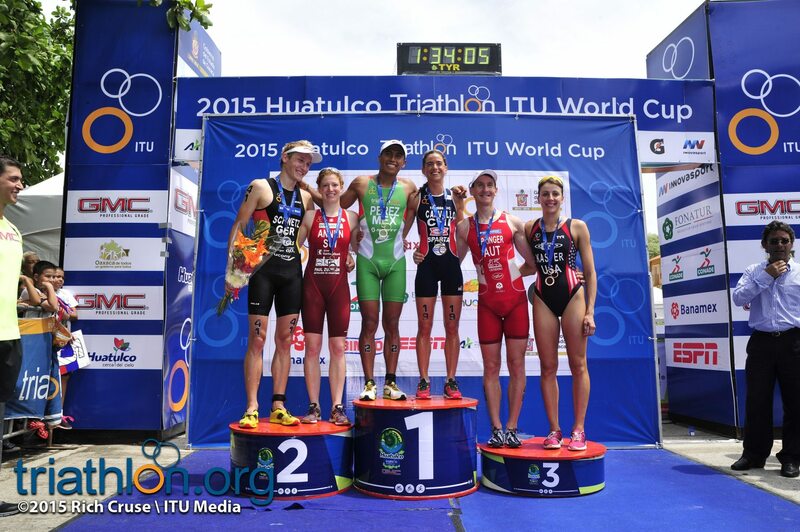 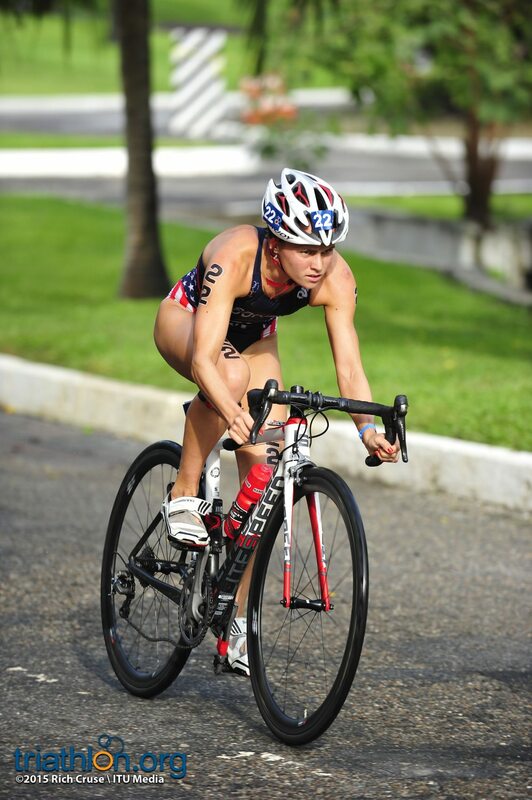 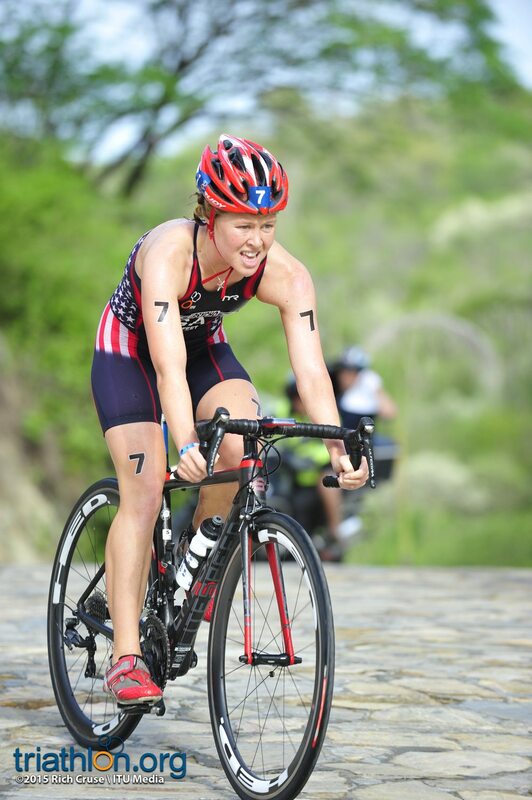 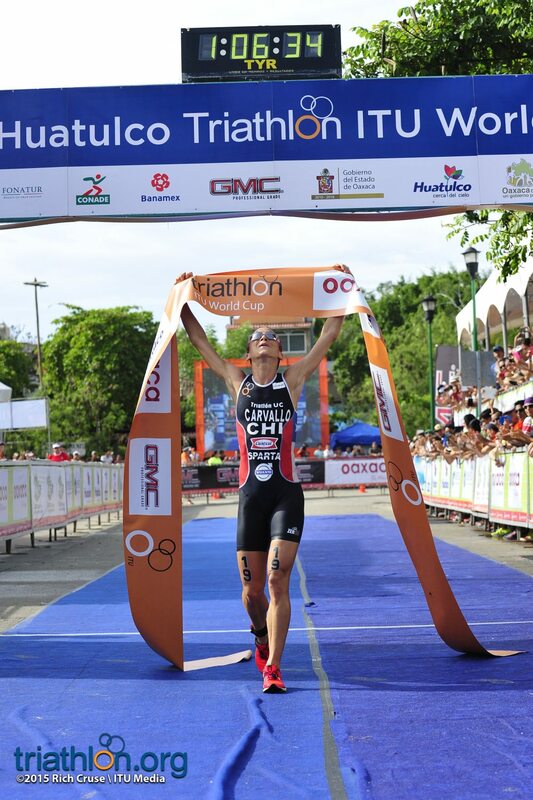 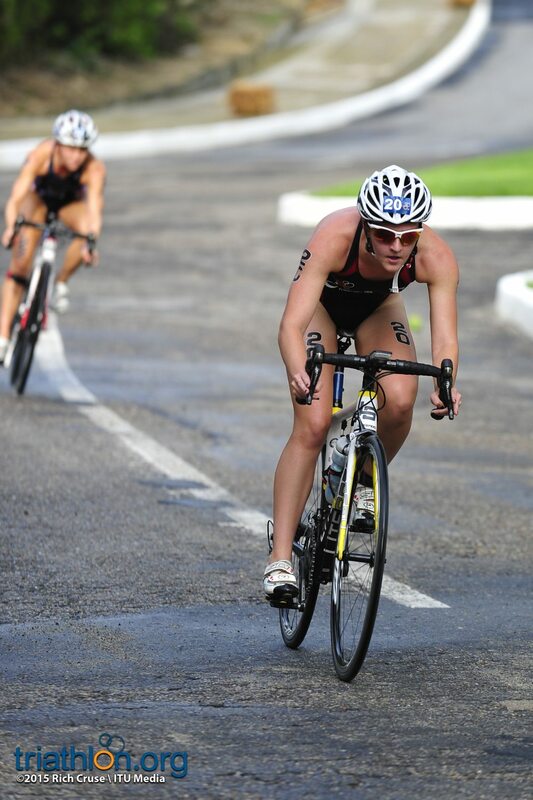 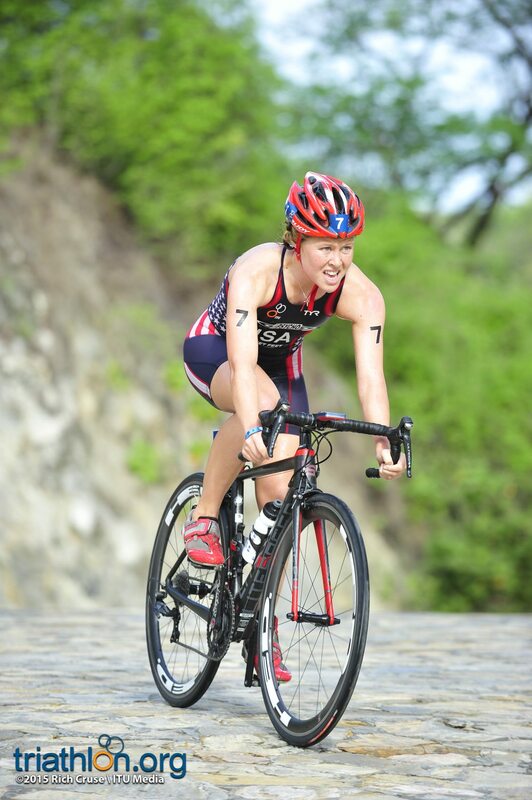 Valentina Carvallo (CHI) captured her first World Cup title after scorching through a testing bike course that she followed up with blistering run at the Huatulco World Cup.